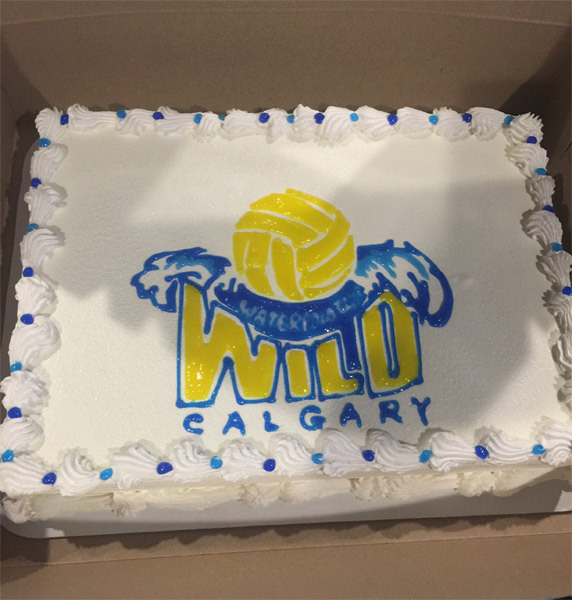 ﻿ Calgary Wild Water Polo Club | Play Hard - Play Wild! U12 Girls - 2019 Provincial Champions! 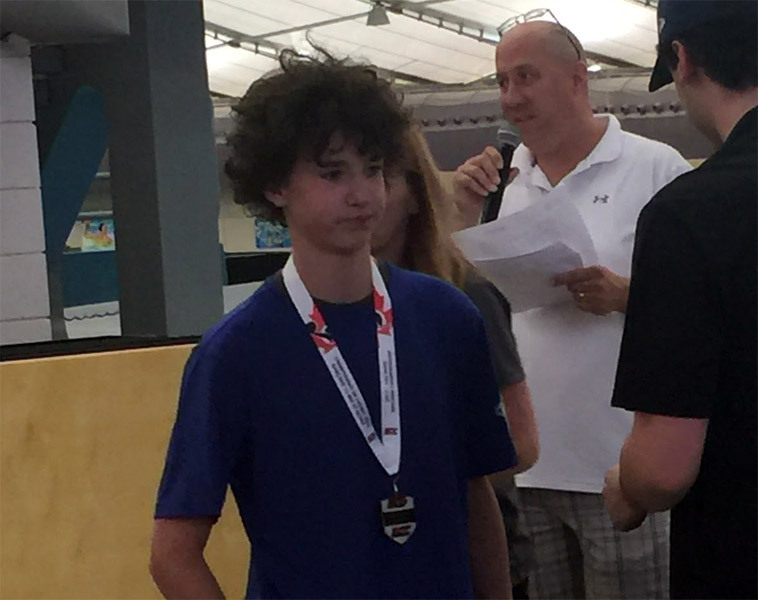 U14 Boys - Provincial silver medalist! Register early and get a 10% discount (up to 100$)! 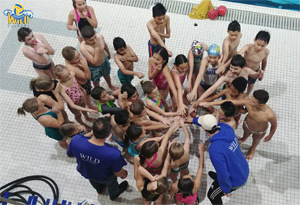 We are inviting new and returning Wild members to register for the new 2019-2020 season by filling the form on our registration page. Click the button below for more information and to register online . 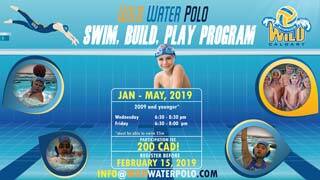 SWIM, BUILD AND PLAY PROGRAM! We are inviting boys and girls born in 2009 or younger to join Wild's Swim, Build and Play Program! 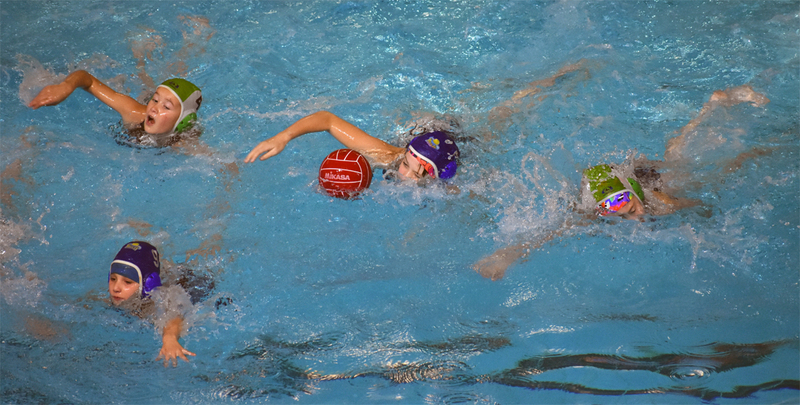 Learn fundamentals of swimming, build your skills to play amazing sport of water polo. 5 months of training for only 200 CAD! 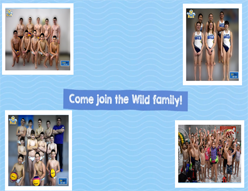 New members only - don't miss this opportunity to join the Wild family. For more information please contact info@wildwaterpolo.com or click the button below. UHD Athletes Photos Now Available! We hope your child(ren) enjoyed recent photo sessions and had fun as much as we did. 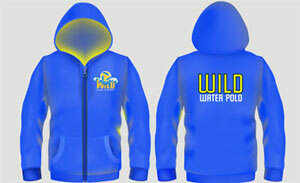 - or check our wildwaterpolo.com under Teams menu. Please consider ordering set of photos as it will help our club offset some of the extra cost caused by extension of room rental time, purchasing a green screen and lighting kit - please note all your proceeds will go exclusively to that fund - our time as volunteers is always free of charge. Our special thanks goes to Tatjana Blanusa, Vesna Djuza and Shelby Windsor for their help organizing and setting up this fun event. 5. Wait for email containing link from where to download your photos. All WILD Athletes Required To Participate! Please bring your Wild swimsuit and T-Shirt! Click images below or link above to see the promo videos. 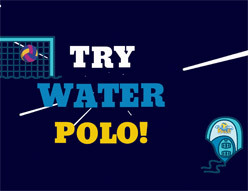 Do your everyday shopping with hundreds of great brands and earn cash back for Wild Water Polo team with every purchase! Invite your teammates and shop together to earn cash back on team expenses like restaurants, travel accomodations, uniforms and equipment. Build a team shopping list and track how much each team member earns. Please click on the button below or image / link above to register at Flip Give Wild campaign and thank you for rasing funds for Wild by doing your everyday shopping!. Wild YouTube Channel ranked 18th on the planet! 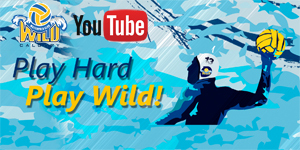 Wild Water Polo YouTube channel has been listed as one of the world's water polo top 30 sites! We have been covering games of all Wild's age groups, producing over 70 videos and 10 live streams in only one and half year of existence! Please subscribe to our channel and help us keep up the pace in the future. 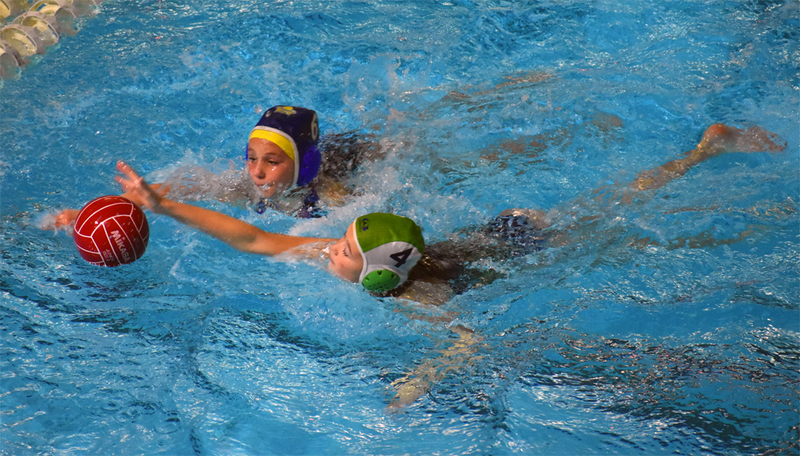 If you haven't had a chance to see our boys / girls in action click the button below, sit back, relax and enjoy quality water polo. 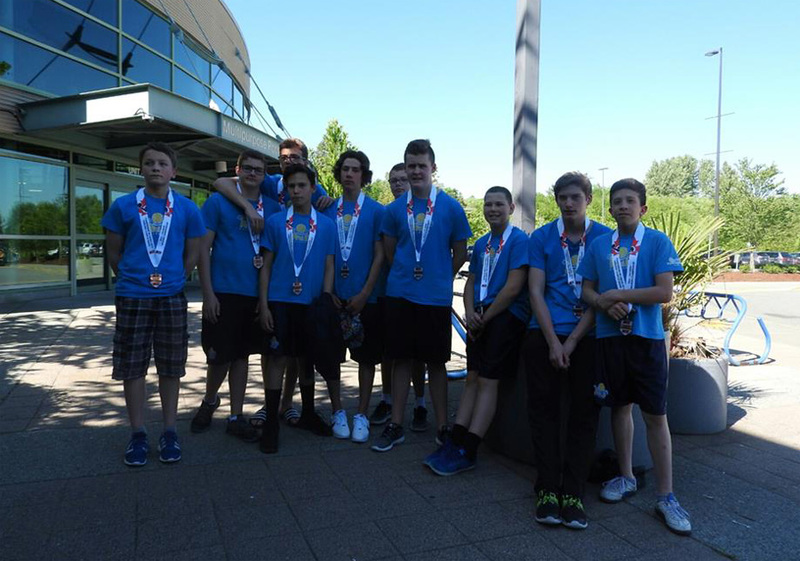 U14 Boys won Silver medal at Provincials! Congratulations for qualifying to play in Western National Championship in May! Wild boys fought hard, but today, luck was clearly not on their side - post was hit 4 times, and 4 pentalties not materialized caused first loss in the season. If you missed the action, please click image / button ↓ below or yellow link at the top ↑ to watch the final game. Click Gallery button below to open photo gallery. U12 Girls are 2019 Alberta Champions! Congratulations to our girls who played hard and defeated Edmonton Thunderbirds in the Provincial Finals. If you missed the action, please click image / button ↓ below or yellow link at the top ↑ to watch the game. 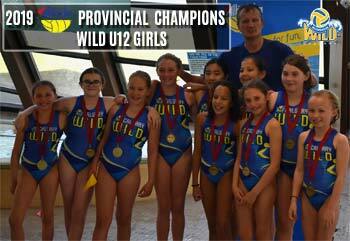 U12 Girls & U14 Boys PROVINCIALS ON WILD YOUTUBE! Our two undefeated teams in this season will be competing in Alberta Provincials this weekend in Peter Hemmingway Centre, Edmonton. 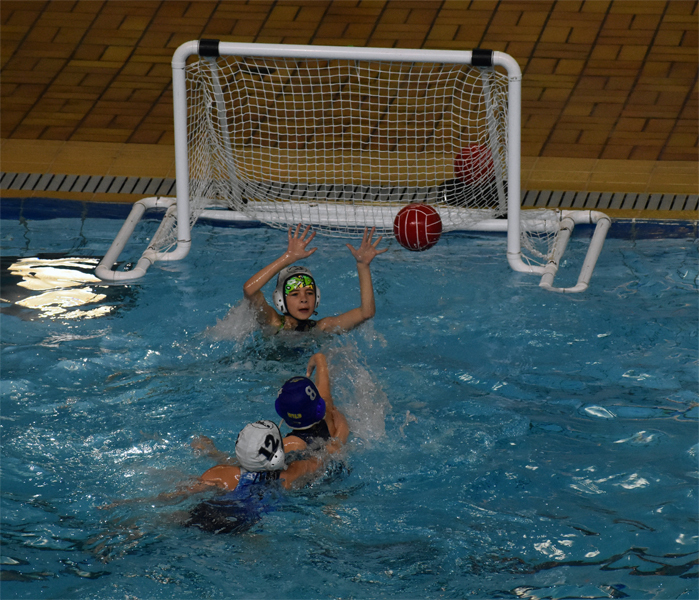 U12 Girls will play semi-final game on Saturday against Seawolves or Mako at 12:50, whereas U14 boys start their semi-final game at 12:35 on Sunday versus Mako or Tsunami. 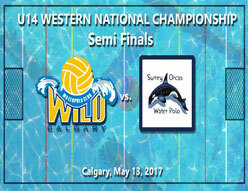 Wild Water Polo will be LIVESTREAMING U12 Girls Finals game (if qualified) on Saturday Apr 13, at 16:55 MST. 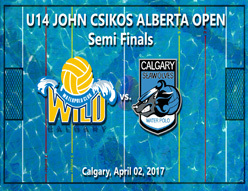 Both games for U14 Boys (semi-finals and finals, if qualified) will be LIVESTREAMED on Sunday Apr 14, at 12:30 MST and 17:35 MST. Click the image / button ↓ below or yellow link at the top ↑ to watch the games on Wild YouTube channel. Bronze medal for our U16 Boys at 2019 AO! 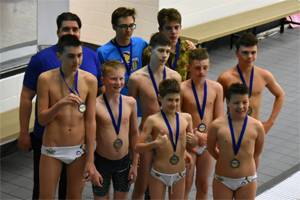 After unfortunate loss vs Kraken Water Polo in the semi-finals, our boys rose up to the challenge and beat Edmonton Tsunami 7:3 to claim the bronze medal at 2019 Alberta Open. Achiving the success while being the youngest U16 team in the tournament is definitely sign of an exciting future! Go Wild Go! 2019 ALBERTA OPEN STARTS ON THURSDAY! 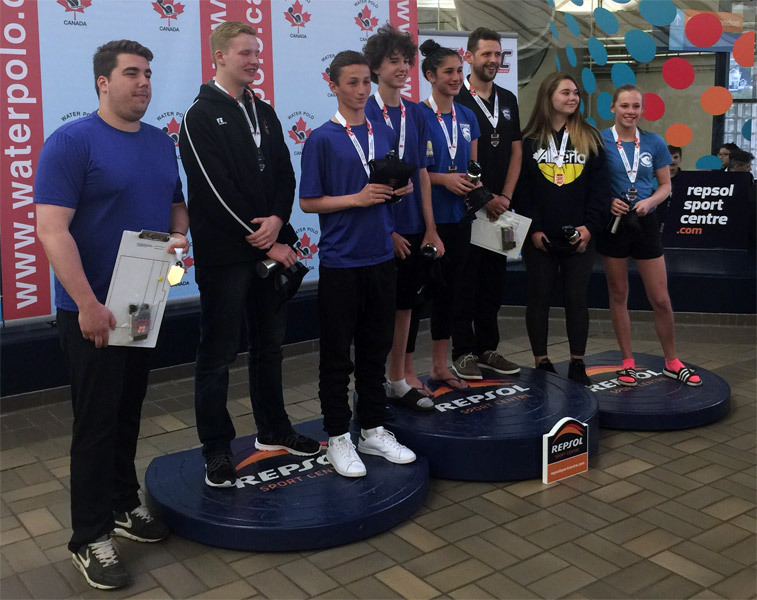 Our U14 girls and U16 boys will compete in Alberta Open tournament in Calgary from March 14-17, 2019. Boys play first game against Mako Grey on Thursday, March 14th at 21:10 MST whereas U14 girls opener is on Friday, March 15th at 11:50 vs Team Sask White! 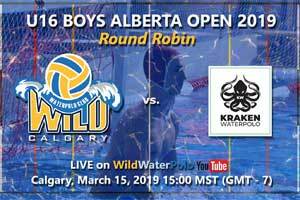 LIVESTREAM: Tune in to Wild YouTube on Friday at 15:00 MST as we will be streaming U16 Boys game against Kraken Water Polo from Kitchener. Click the image / button ↓ below or yellow link at the top ↑ to watch the game. 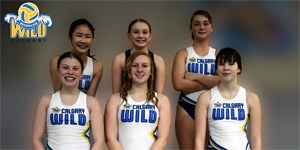 Per your 2018-2019 registration, Calgary Wild Water Polo athlete families must raise a minimum of $150 per family through fundraising activities. For the clear majority of our members, participation in raffle fundraiser is the only way you will be able to meet your fundraising commitments. If you do not wish to sell raffle tickets and provide the bottle donation, as required in your registration contract, you can buy out of your fundraising requirements for $150. 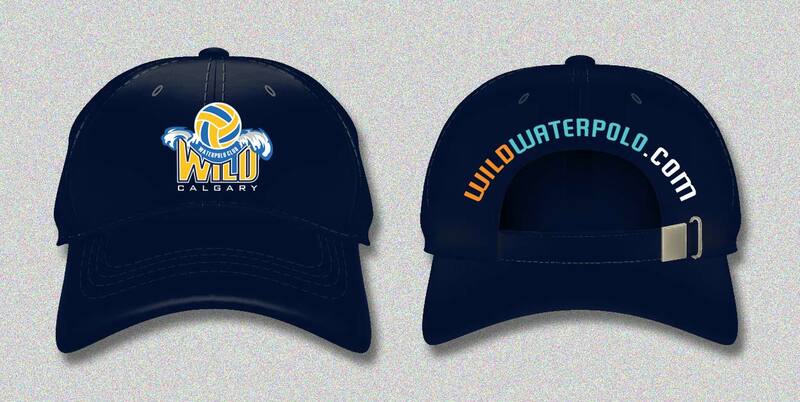 Please let Shelby Windsor (president@wildwaterpolo.com) or Tatjana Blanusa (registry@wildwaterpolo.com) know if you would like to proceed with that option. U14 Boys have won the 17th game in the row! 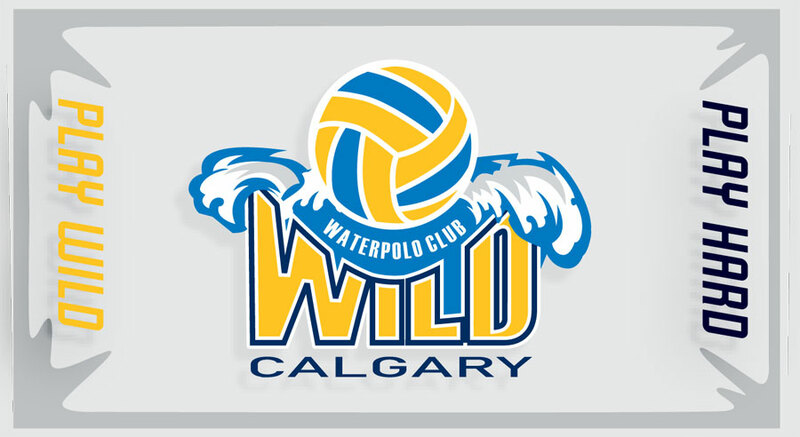 Wild defeated Tsunami 23:1 at Provincials held today in Repsol Centre in Calgary. Great job boys - keep it going! Click on the image/button below to access the gallery. BOTTLE DRIVE ON SAT, FEB 2nd! Saturday is the day for our SUPER EASY BOTTLE DRIVE! Bring in your (and your neighbours') bottles this Saturday. No sorting, no mess. Just drop them off Saturday, February 2nd to the Manchester at 410 38A Avenue SE anytime between 8:00am - 6:00pm. 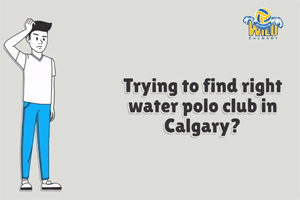 Proceed to the loading door and let them know that you are dropping off bottles for the Calgary Wild Water Polo Bottle Drive. They will have a separate section for our bottles. Then they will do all the sorting! EASY! THANK YOU IN ADVANCE for supporting our budgeted fundraising efforts that support all members of our club! 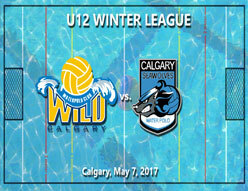 U16 Boys NCL Weekend Calgary - Wild vs Manitoba, Live on Wild YouTube! 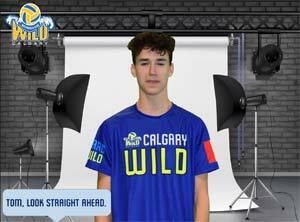 Tune in to Wild's YouTube channel on Thursday, Nov 10, 2018 at 19:30 MST (GMT-7) for the first game of NCL Calgary weekend in Repsol Sport Centre. Please subscribe to our YouTube channel and never miss future games. Every family is asked to donate 1-3 bottles of wine. You can provide them from your own collection, or request donations from your favorite wine merchant. We have attached a letter that you can use to request those donations. Every family will need to sell a package of 10 raffle tickets priced at $10 each. They will be available for pick up at your practices this week. You pay the $100 for the 10 tickets. You can then keep them all for yourself to win a prize OR sell them all to your family and friends and drink the wine with them when they win :)! Please bring your bottles of wine to your practices and give them to Laura Hartwell or Jelka Knežević who will be at the REPSOL pool practices. - Third prize valued at $360: Small sized basket of a selection of wines. Remember, bring your $100 and 1-3 bottles of wine with you to practice this week. You can leave them with Laura Hartwell or Jelka Knežević. - Third prize: Small sized basket of a selection of wines. Prizes will be delivered to the winners at our Year End Party on Sunday May 28. Remember to respond to the E-Vite invite by TODAY. 6-12 bottles of beer (lots of craft beers to try!)? and/or a bottle or two of liquor (vodka, rum, tequila, gin)? -	A non-perishable snack item that compliments your favorite cocktail: salsa for your margaritas, mixes for your liquor: soda, coke, margarita mix, cocktail mix and/or popcorn for your beer or crackers for your wine. Or any other thing you come up with! each. They will be available for pick up at your practices this week. 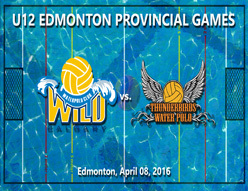 You pay the $100 for the 10 tickets by cash or e-transfer at pay@wildwaterpolo.com. You can then keep the tickets all for yourself to win a prize OR sell them all to your family and friends! Please pick up your tickets and drop off your donations at practices this week and next. You can do that with either Shelby Windsor (cell 403-969-0263) or Tatjana Blanusa (cell 403-971 3564) who will be at the REPSOL pool. 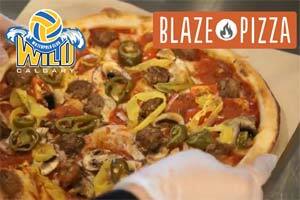 Raffle draw will be help at Blaze Pizza on Friday, March 8th during practice (7-8:30pm). Prize winners will be contacted for pick up at Repsol pool during the following week. You can provide your donation from your own collection, or request donations from your favorite liquor merchant. We have attached a letter that you can use to request those donations. Every family will need to sell a package of 10 raffle tickets priced at $10 each. They will be available for pick up at your practices this week. You pay the $100 for the 10 tickets. You can then keep them all for yourself to win a prize OR sell them all to your family and friends and attend their party when they win :)! We will be tracking all donations (please provide receipts so we can estimate value) and ticket sales per our Alberta Gaming & Liquor Commission raffle license. - First prize is valued at approx $600: larger sized basket of a selection of donated items. - Second prize valued at $250: medium sized basket of a selection of donated items. - Third prize valued at $150: Small sized basket of a selection of donated items. This will be held on May 12, 2018 from 3:00pm-4:30pm. We will NOT be driving home to home asking for bottles (yay!). Instead, we ask that you please start collecting bottles from your own home and/or business and any of your friends and family. Then on May 12 please bring all the bottles you have collected in large garbage bags to the SE corner of the Repsol parking lot. We will then transport those bags to the bottle depot and they will do all the sorting! EASY! 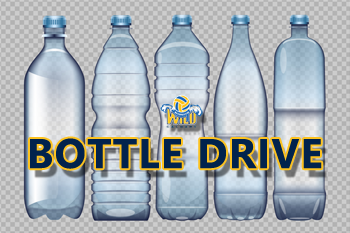 We will need the assistance of any members who have trucks to transport the bags of bottles to the bottle depot. Please let Laura Hartwell (vicepresident@wildwaterpolo.com) if you and/or your truck can help be part of the collection crew from 3:00 – 5:30pm. We estimate we will need 5-10 volunteers and 3-5 trucks. Every family is asked to make a donation with a minimum value of $50 (but you can donate more 😊) representing your favorite taste of summer. A bottle or two of liquor (vodka, rum, tequila, gin)? A non-perishable snack item that compliments your favorite cocktail: salsa for your margaritas, mixes for your liquor: soda, coke, margarita mix, cocktail mix and/or popcorn for your beer or crackers for your wine. Or any other thing you come up with! Please bring pick up your tickets and drop off your donations at practices this week and next. You can do that with either Laura Hartwell (cell 403-589-5454) or Shelby Windsor (cell 403-969-0263) who will be at the REPSOL pool. 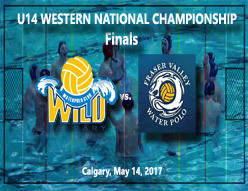 All sold tickets are to be returned to the Calgary Wild Water Polo folder available at the REPSOL Centre Service Desk by May 25 by 4:00pm. - First prize is valued at approx $800: larger sized basket of a selection of donated items. - Second prize valued at $600: medium sized basket of a selection of donated items. - Third prize valued at $300: Small sized basket of a selection of donated items. 2. Discussion of specific squad goals for next season from Head Coach Gyula Toth and Squad Coaches Benji Brunner and our NEW U10/U12 Coach Bojan Glišić! We will also be taking registrations that night so please print the 2017-2018 registration form and bring it to the pool that night. Also, remember to bring your cheque books (for September post dated cheques) and your credit card information. That allows us to get rosters ready and do some squad planning before September! Thanks, much appreciated! 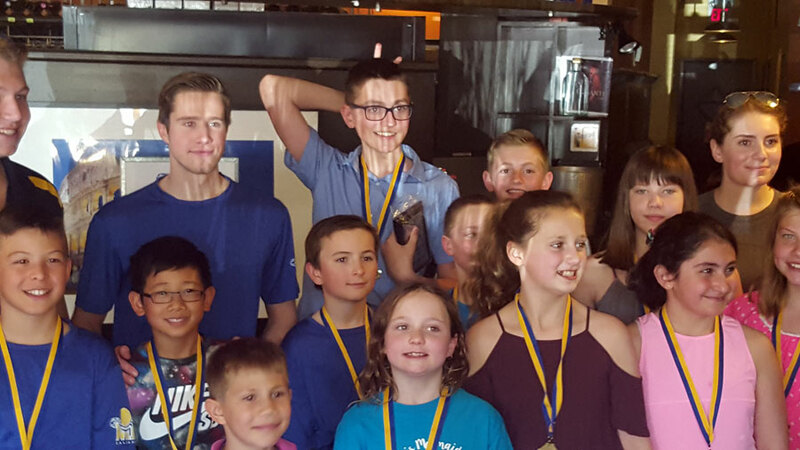 Click below for 2017-2018 registration package and 2017-2018 program, training schedule,competition plans and fundraising commitment info. 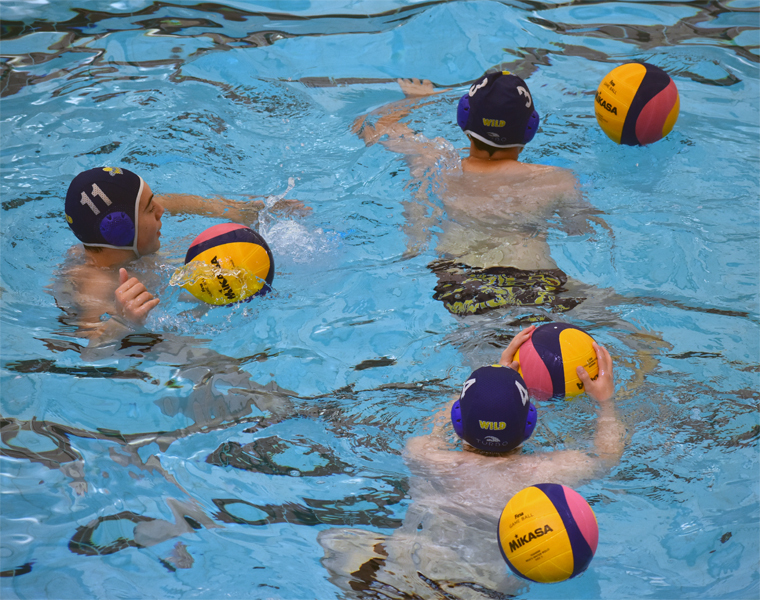 Our U14s continue to practice hard with the enhanced Seawolves boys. 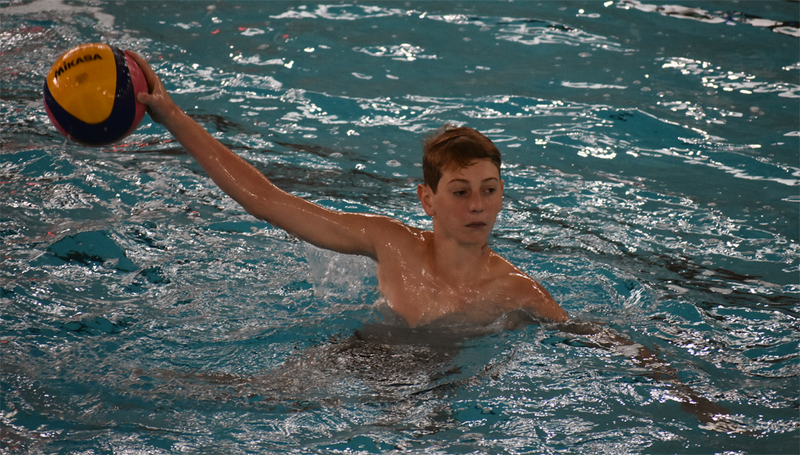 The U14s boys too are working with a few Dolphins in the City and Provincial Leagues. A few our our older U12 girls and boys will also be joining in practices and playing up this year! And our U14 Girls will play Provincial games with Polominos. 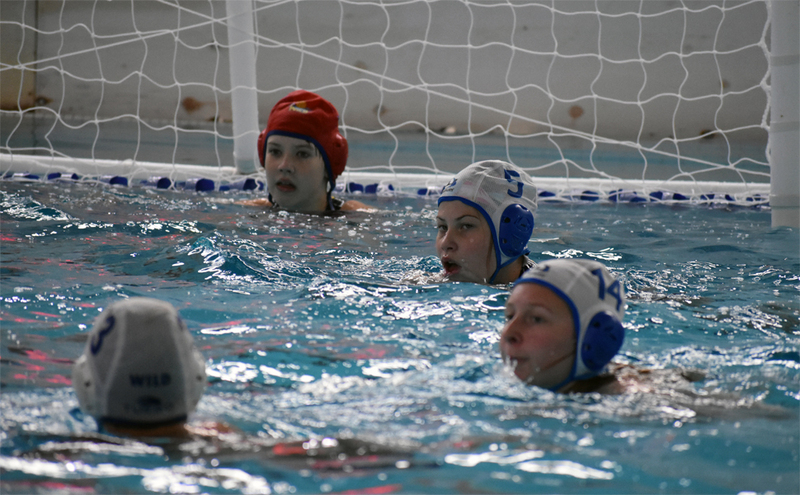 U16s continue to get ready for their first NCL games of the year in early December in Surrey. Our strong team also includes some new players that have joined us from the Seawolves, the season should be exciting. We have U17 Girls City League team this year as well! We're working with the Polominos to provide our new U17s this experience! Very excited and happy to have this new group. 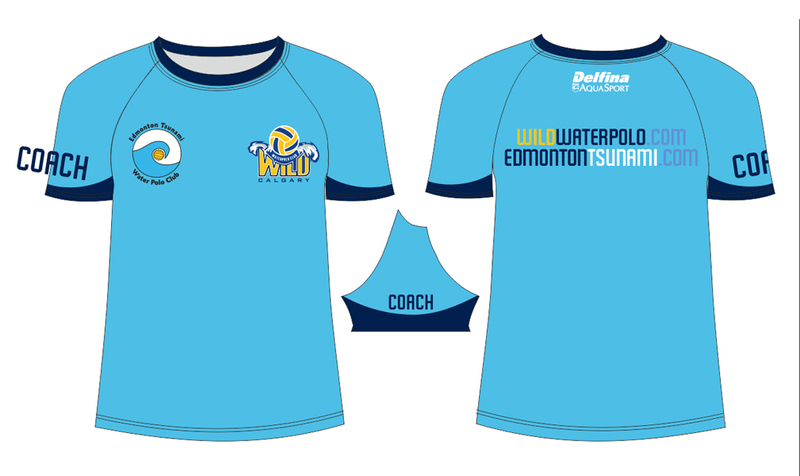 Our U19s have joined forces with the Edmonton Tsunami to play at the NCL level. Based on our strong relationships with BC players, we also are welcoming a few Spartans to the team at the NCL U19 level. Our AGM was held on the long weekend in October and the turn out was great! Thank you to all of those families that could make it. With the AGM comes some changes to our Board. Firstly, we would like to thank last year’s board for all of their hardwork. With changes, we’d like to thank Katarina Galic, Sanja Govedarica, Pred Ninkovich and Cor Koster for all their contributions as they step down this season. Our new board is seeing a great representation across the gender and age groups including Sean Wood – Treasurer, Laura Hartwell – Vice President, Shelby Windsor – President, Liza Kiegler– Secretary, Jelka Knežević – Registrar, Goran Palibrk– Marketing and Phillip O’Neill – Fundraising and Facilities. 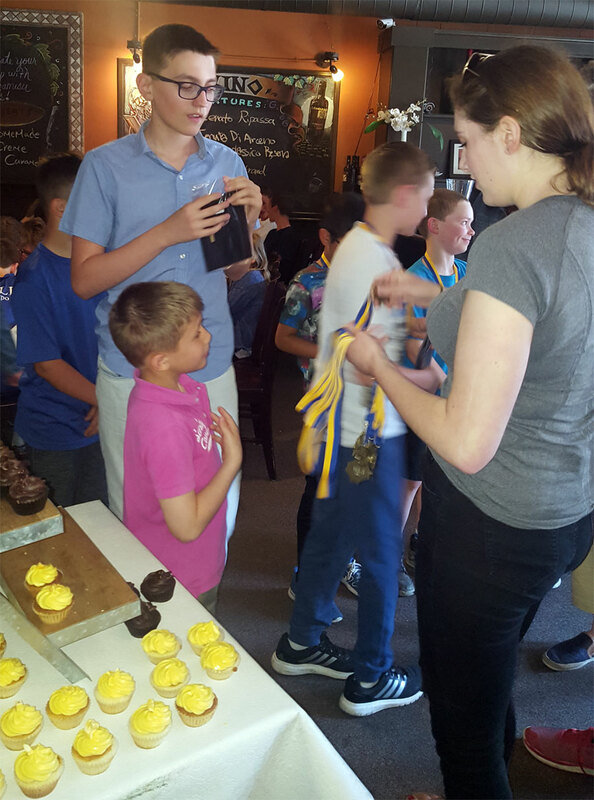 As well, we had a lot of volunteers step up to take on roles that don’t require board positions including Cor Koster – Social Committee, Pred Ninkovich– Bingo Coordinator, Frank Wang – U12 Boys Squad Manager, Tanja Blanusa– All Girls and U16 Boys Squads Manager, Vesna Djuza– U14 Boys Squad Manager and Darrell Fitzpatrick – U19 Boys Squad Manager. Recruiting remains one of our main priorities this season and our website continues to play a major role with this. Keep checking here for information like pool changes, Instateam calendar, photos of practices and games, as well as athlete profiles and game results. Another initiative for recruiting this year will be Bring a Friend/Open House. We are looking at a Sunday to host this and need to confirm pool availability. Repsol has many weekend events and we get calendar information only weeks in advance. We are close to picking a date so please look out for this. We will have brochures to bring to school, community boards, anywhere we advertise. Your help with this task would be greatly appreciated and our athletes and club could greatly benefit from it. 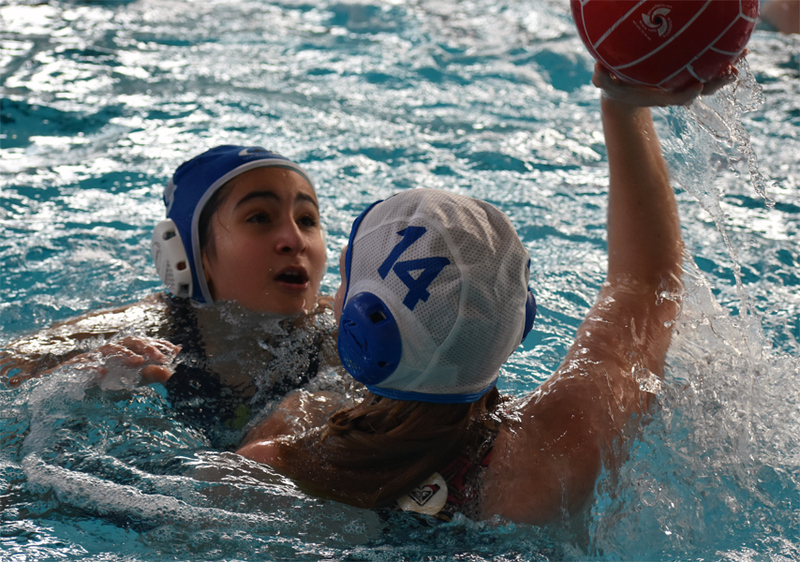 The best way to recruit is through the passion our athletes feel for water polo and sharing it with their friends! As well, if your athlete has a friend interested, please send me an email and we can accommodate a friend or two during a regular practice so long as we have notice. We continue to work with other clubs in the province to promote the sport and get our athletes the most out of working together. We hope to announce some dates soon for scrimmages with other clubs and continue to have joint teams and practices with our many partners. Last but not least, our uniforms should be here before the end of October! So here’s to a great season! Go Wild! •	Parent feedback was greatly appreciated by the Board throughout the season and helped the Board craft a better program. We have used, and continue to use, these learnings to craft next year’s program. 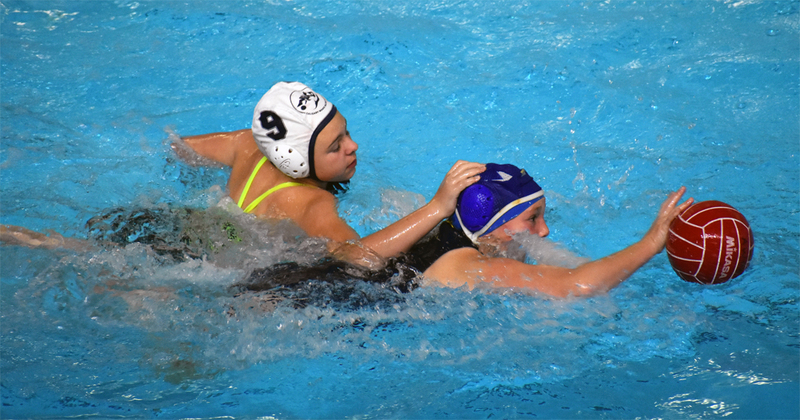 •	This was a building year made difficult by athletes aging out on both the girls and boys side, but we managed to stabilize the program through more interactions with the broader community, including scrimmages and our partnership with Seawolves. 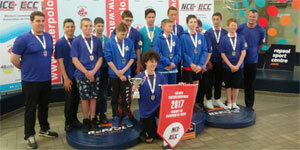 We also enjoyed great success with the U14 program and hope to build on that as some of those athletes move into the NCL U16 program next year. •	As a refresher on the arrangement with Seawolves, Wild will continue to develop a high performance program, leaving non-competitive programming to Seawolves and other community clubs. 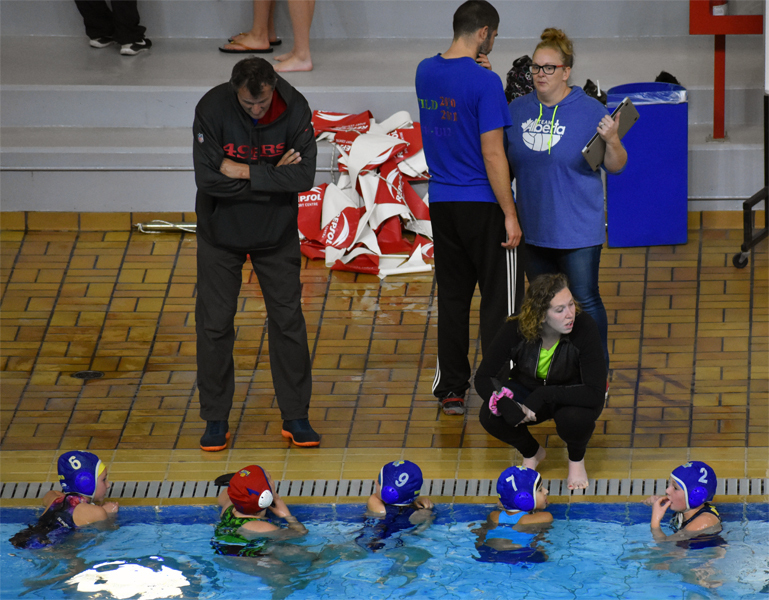 Dragan and the coaches have been working with Seawolves coaches to develop the details of that program, but it will involve Seawolves athletes joining our practices various times a week for “enhanced training”. 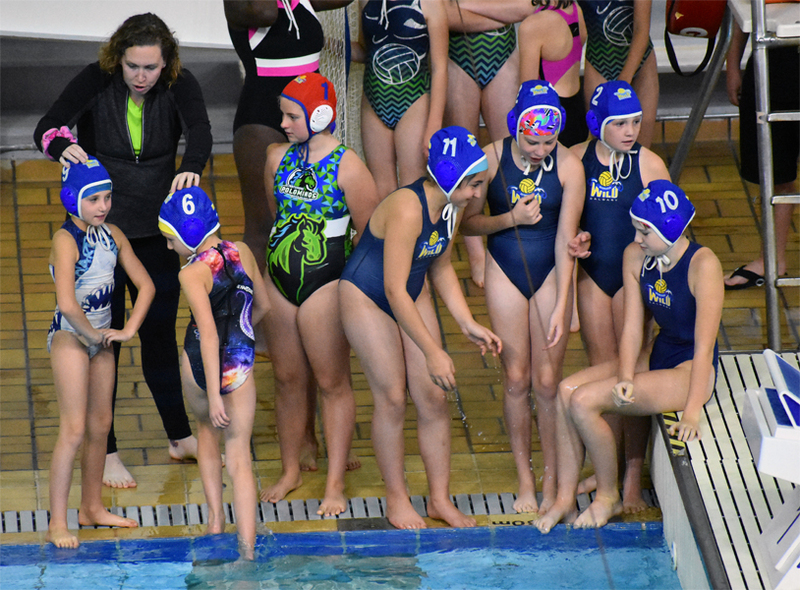 Some seawolves athletes may choose to join Wild full time next season, but the typical path for those who want higher performance will be enhanced training in U12/U14, then joining Wild full time in U16. •	Going forward, this arrangement will continue to be develop. It will require good feedback from those involved to get it right. •	The coaching staff next year is comprised of: Gyula - head coach and U19/U16 squad coach; Dragan - athletic director; Benji - U14 squad coach; and Bojan - U12/U10 squad coach. Should numbers necessitate more coaching resources, we will supplement the younger age group squads with senior athletes who express the desire to coach and have taken the training. •	From a competition perspective, we’re looking at various options for intra-squad scrimmages in the city. This may be a repeat of City League or some kind of house league. Dragan and other community coaches are working on the details. •	We will be working on the details of a competition schedule over the summer. It will be similar to this year although we are looking at adding some out of province travel for the U12 and U14 squads. Please stay tuned. As usual, we will need parent feedback to gauge interest. 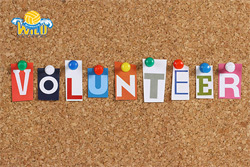 •	As always, volunteers will be needed next year. Please take a look at the handbook on the website to get a feel for positions. •	We encourage everyone to register soon as possible so we can adapt the program to the numbers and get a good jump on the season. You will find attached an overview of the season program and the registration package including a new U10 Entry Program! And thanks for your patience as we move our email addresses to our new '.com' format and setup new distribution lists. Please click the link in email you received asking you to subscribe to our mailing list to have your email address included (critical for communication!). 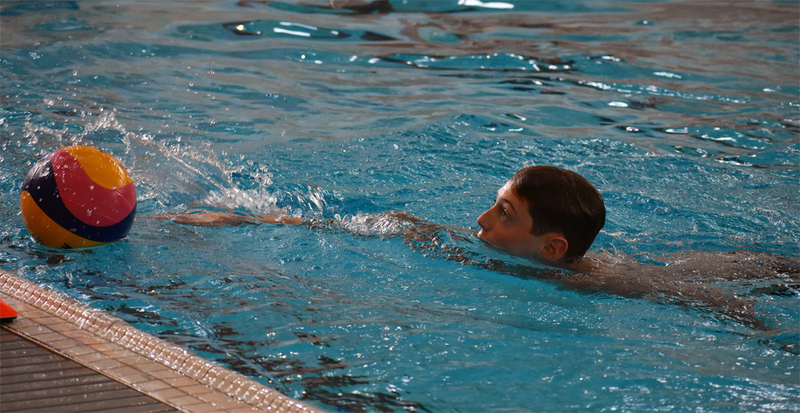 Have a great summer everyone and see a lot of you at the pool in August for our summer swim camp! 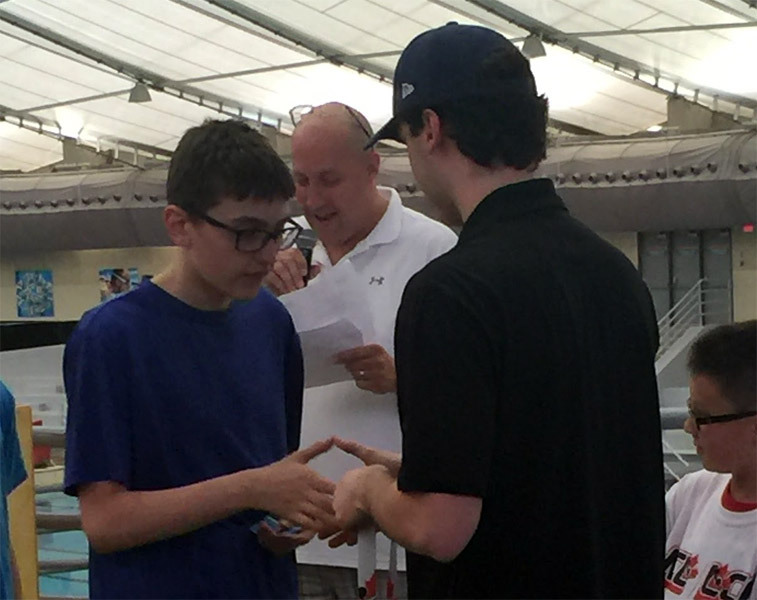 Bojan is driven by continuous improvement of his coaching strategy in order to provide the most effective learning environment for the athletes in his care. At the core of this philosophy is the belief that sport is an excellent vehicle for the most difficult and important life lessons which can be useful to a person their whole life. This makes him a very athlete centered coach with a keen eye onto the psychological aspect of performance. Moreover, his working career has led him down the pedagogic path, working in summer camps as well as foster homes for high needs children.
" Knowing the technique and strategy involved with a sport is the easy part of the two necessary aspects for optimal coaching. The other is building relationships with the athletes. This requires listening and learning from them as well as being flexible in order to provide the type of attention each person needs to achieve their best." 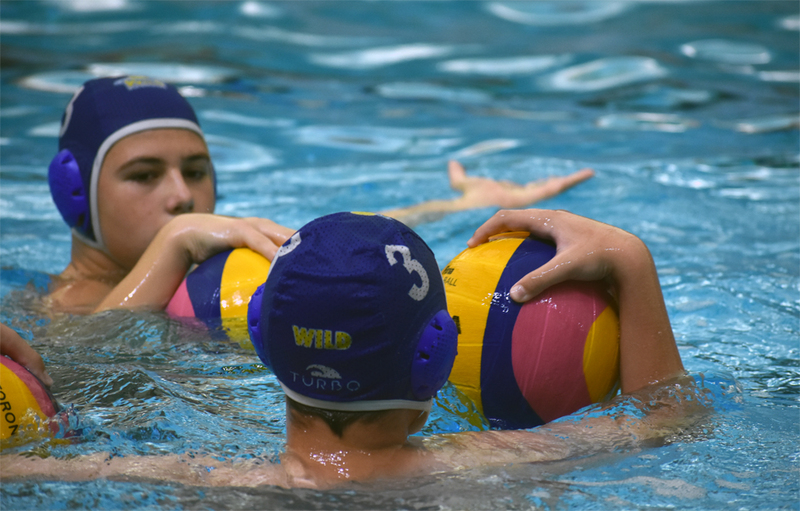 Wild Water Polo Club, based in Calgary, Alberta offers 10 months training for boys and girls ages 6-18. 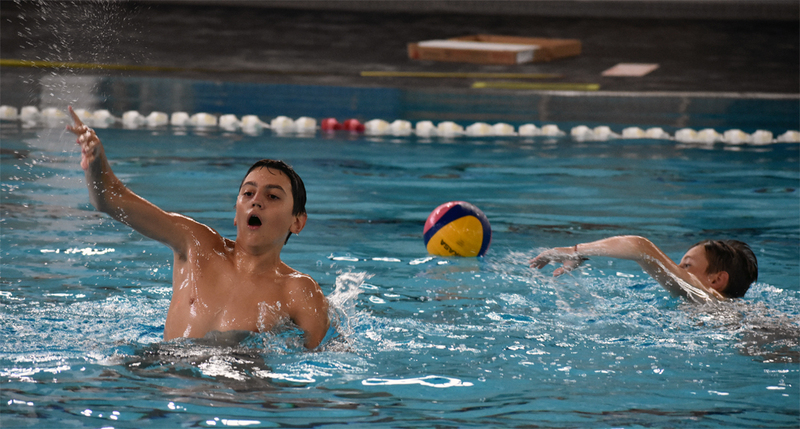 The club is staffed by professional coaches and uses the modern aquatic facilities of the Repsol Sports Centre. 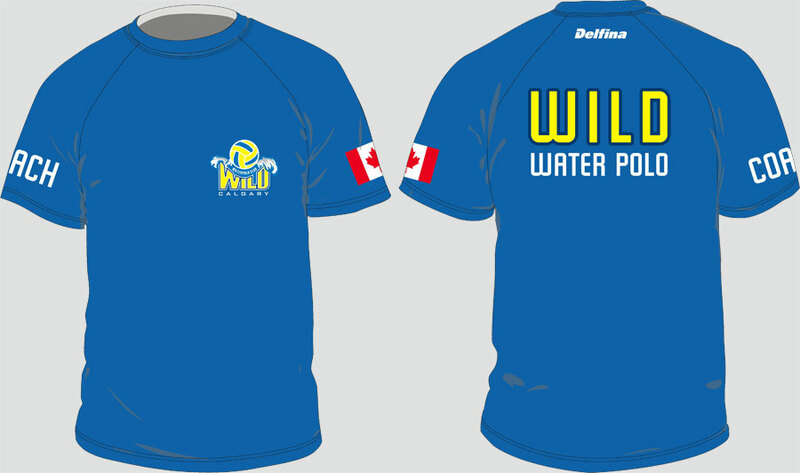 Wild Water Polo is affiliated with Alberta Water Polo Association and Water Polo Canada and it takes part in provincial and national training events, competitions, and tournaments. 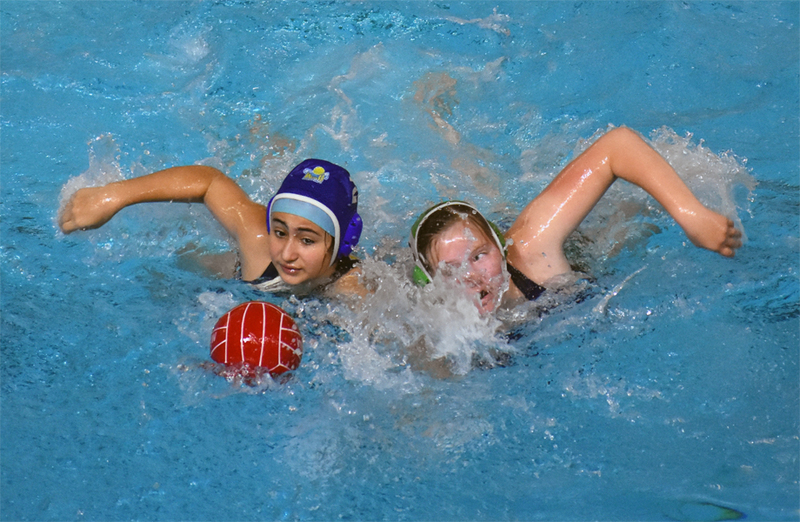 Interested in checking out water polo? Come and try a practice for nominal insurance fee of $25. Fill out a Tryout Registration From. Tryouts are held between Sept and June. 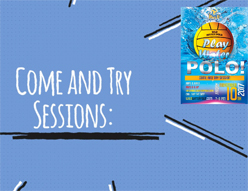 We look forward seeing you in the pool! 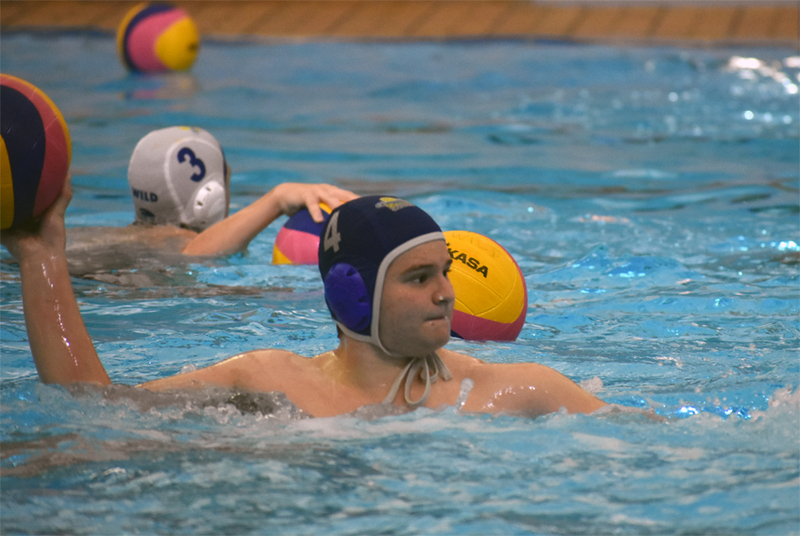 Gyula brings a wealth of experience to Wild as a long-time coach within the Canadian water polo community as well as at the national team level. 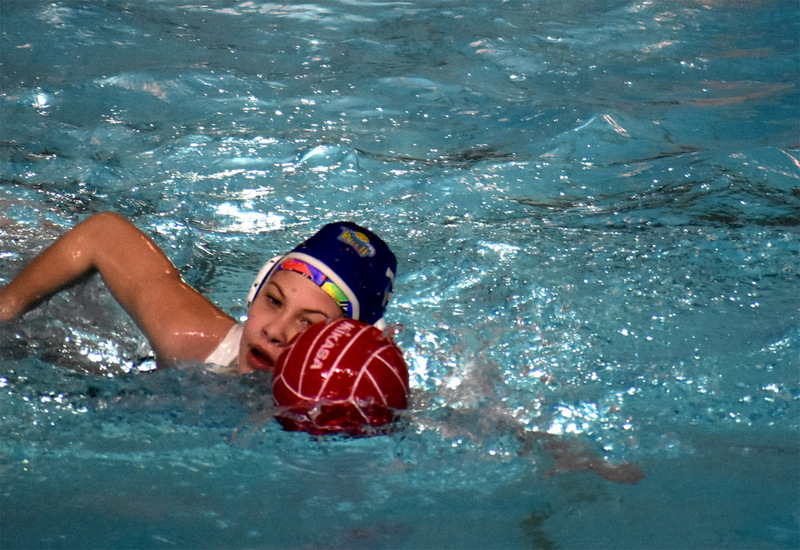 Gyula hails from the Hungarian KSI Water Polo School, which has seen many athletes achieve Olympic success. 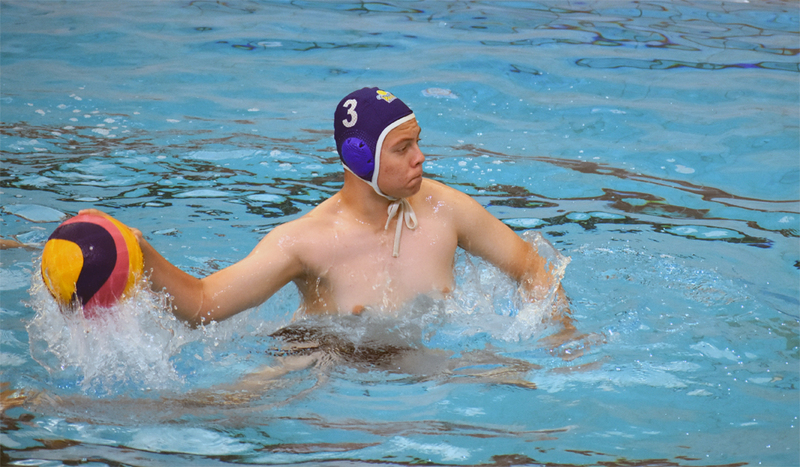 Benji has been playing or coaching water polo for most of his life. 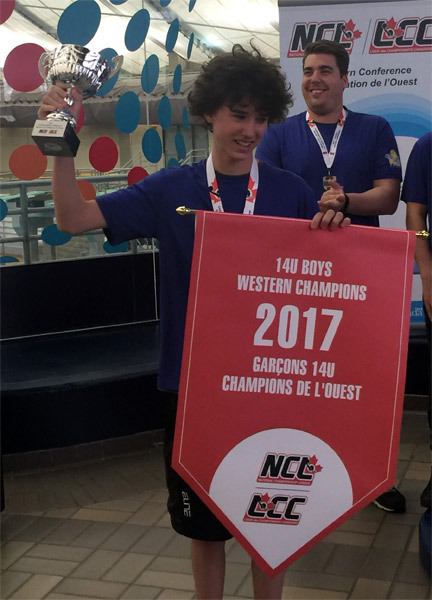 From his experience in Hungary and across Canada, Benji brings his love of the sport to the coaching deck for Wild. 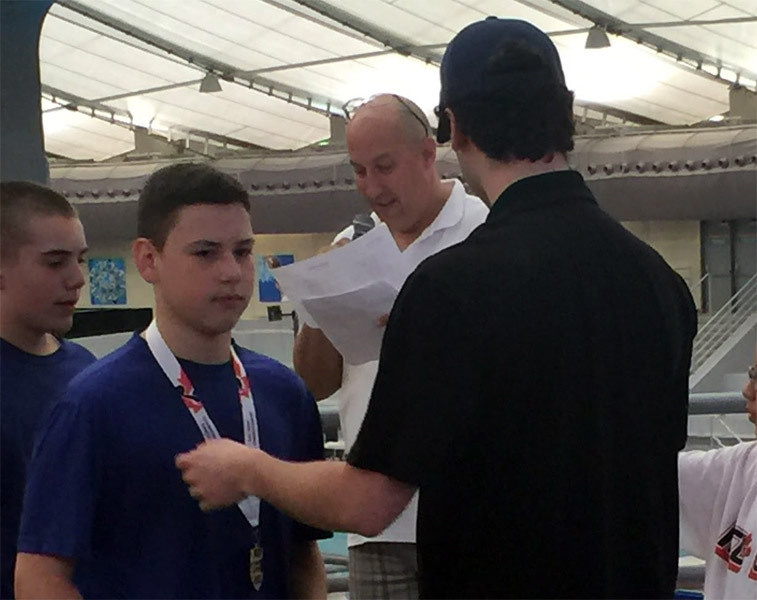 With over ten years as a coach, Benji motivates athletes to dig deep and perform beyond their expectations. 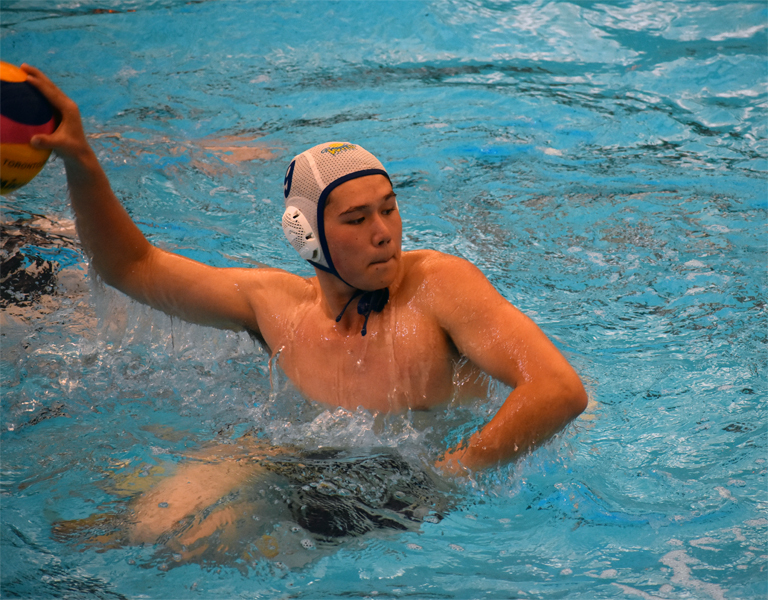 Noah has been actively playing in Wild Water Polo Club for 7 years. 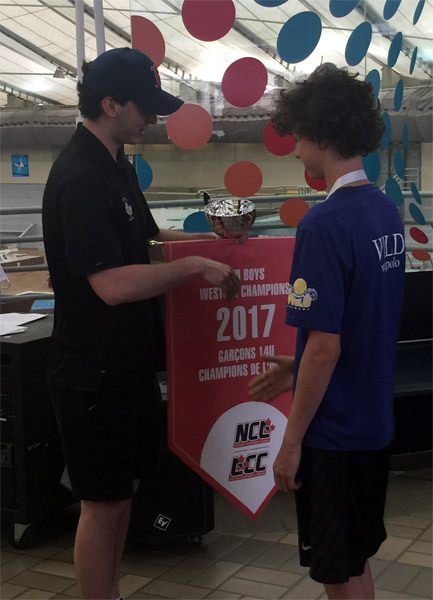 He has played in multiple different leagues in Canada including the NCL and and mini NDPL, and across the United States and has worked along side Wild coaches in past years to help out around the pool. 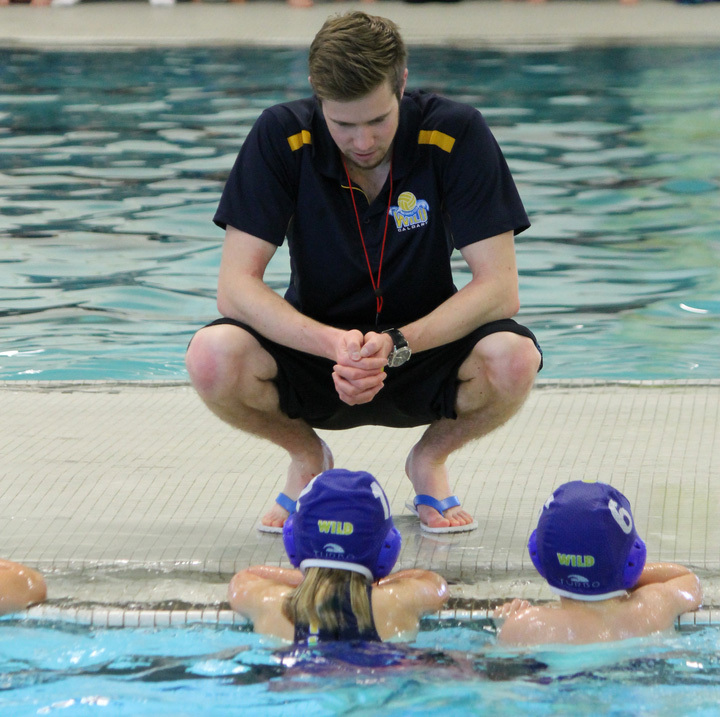 With multiple personal and team accomplishments as a player, Dragan moved on to coaching jobs in Europe and Canada, culminating with Water Polo Canada as Head Coach of the Senior Men’s National Water Polo Team, Men’s National Program Leader, and High Performance Director. 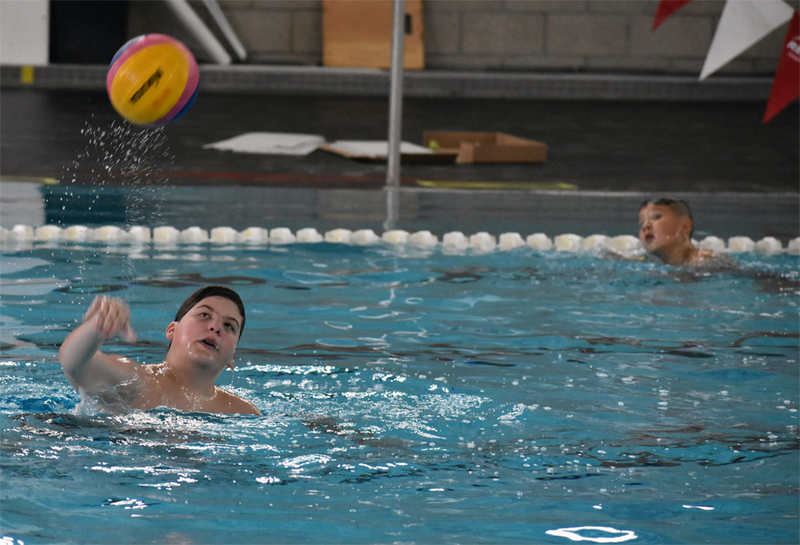 Under his leadership, our Canadian water polo national team participated in Pan American Games, FINA and Olympic level competitions. He has participated in elite competition including the Olympic Games, FINA World Championships, European Championships, Champions League, Pan American Games, FISU Games, and the Commonwealth Games. 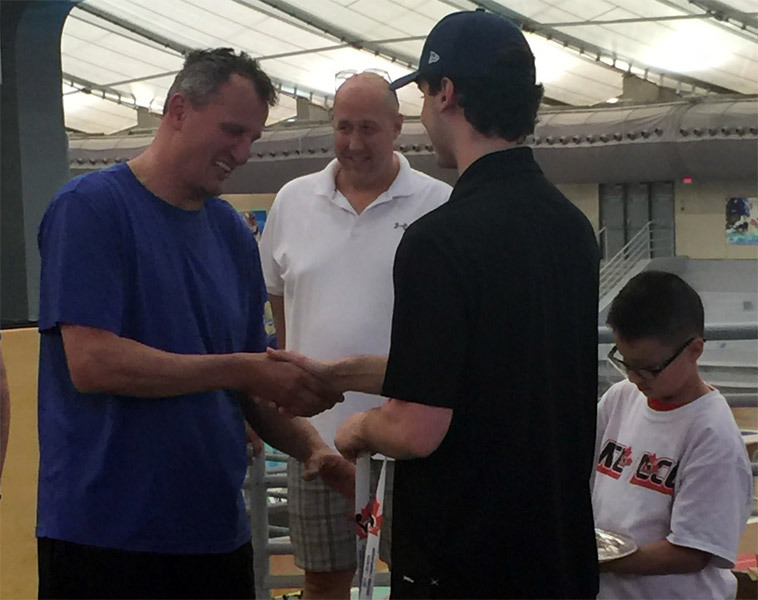 He is a multiple medal winner in the pool, and the creator of innovative, fundamental programs within a National Sport Organization. 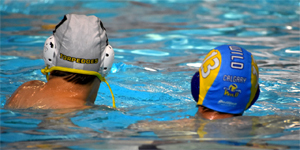 Dragan is also the Executive Director of the World Water Polo Coaching Association. His skills in program development, management, coaching mentorship and depth of knowledge of the sport are a genuine asset to Wild. 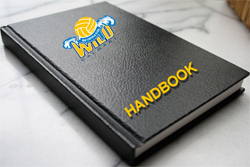 This handbook was created by the Wild Board Executive to explain the Club’s organization and expectations of its players, the Board, parents, and coaches. We ask that those involved with the Club become familiar with and follow the policies set out here and in the annual registration package. The Handbook, like most guiding documents, is subject to change and we are open to improvements in guidelines and policies that help us better deliver Club services. 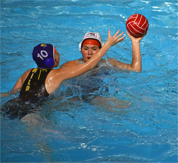 Please click on the link below to download Wild Water Polo current bylaws. Concussion is unlike most injuries that athlete's experience. As concussion is an injury to the brain, it cannot be seen and the effects can be either subtle or devastating or cumulatively persistent over time. 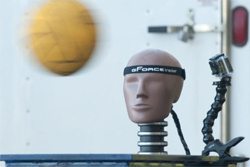 Click on the button below to read more about concussion. Bingo Instructions could be downloaded from the link below. Please download bingo positions from the link below. Next casino will be first quarter of 2019. Will let you know actual dates when we have the draw. 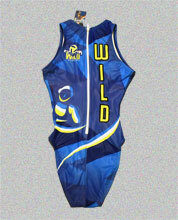 Wild sponsorship program is to help our athletes with fundraising dollars through business advertisement. The provided funds will go towards supporting with travel costs, tournament and fees. •	Business logo and link displayed on website plus a banner on the pool deck. •	Business logo included in team brochures. 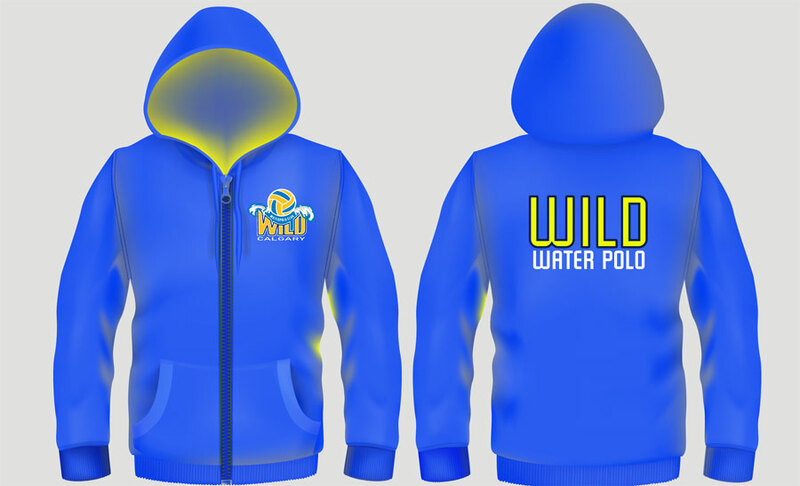 •	Business logo on selected Wild Water Polo apparel. 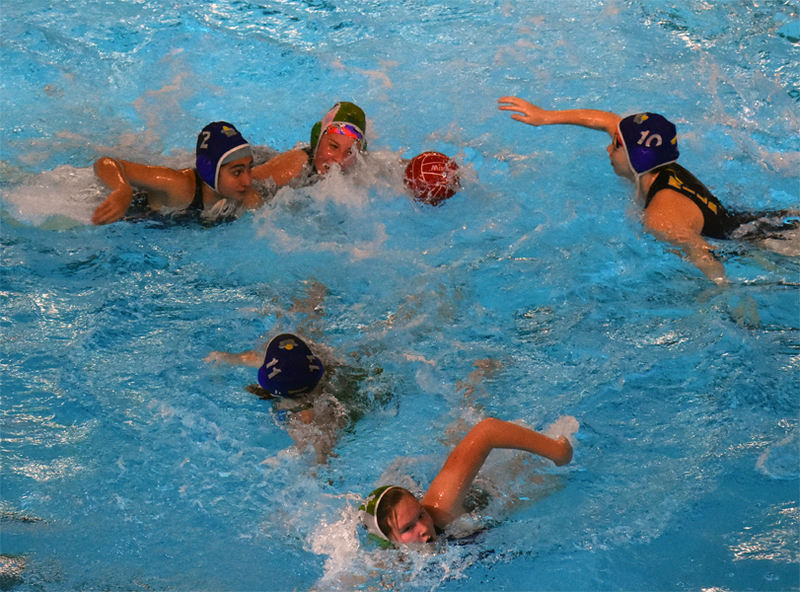 •	Commercial break (15, 30 or 60 seconds) during live streaming of Wild Water Polo game(s). We estimate 4-6 live stream this season. 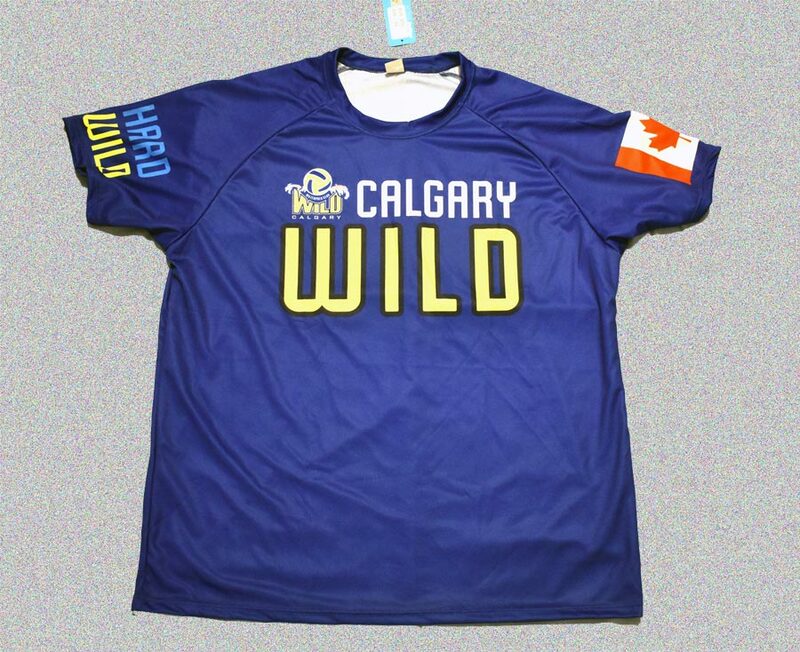 •	** Wild would create one free 15 second commercial and broadcast it 3 times during quarter intermissions of our live streaming (assuming Wild is provided with logo and slogan of sponsor's company). •	Subsequent commercials (15sec, 30sec or 1 min) - sponsor will have to provide their own high resolution commercial movie. Please click on the button below to register at Flip Give Wild campaign and thank you for rasing funds for Wild by doing your everyday shopping!. This fun based program is girls and boys born in 2008 (under ten U10) and later. 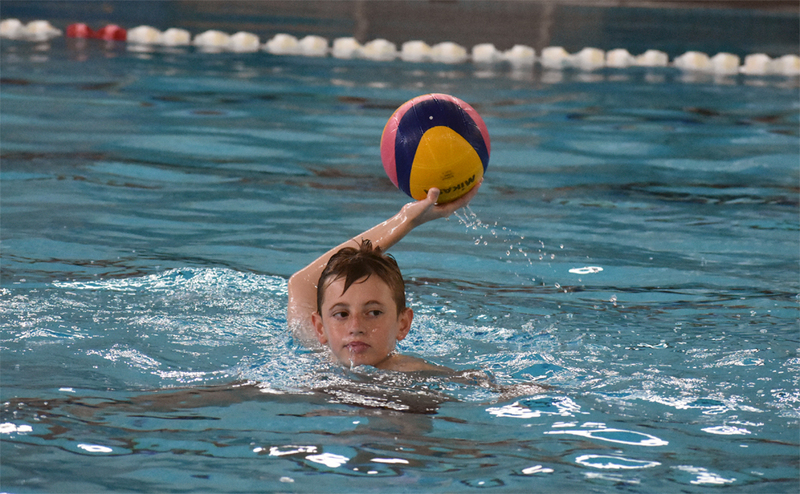 Players will learn the basic skills and foundation to play water polo, become stronger swimmers and learn water safety skills, while having fun. 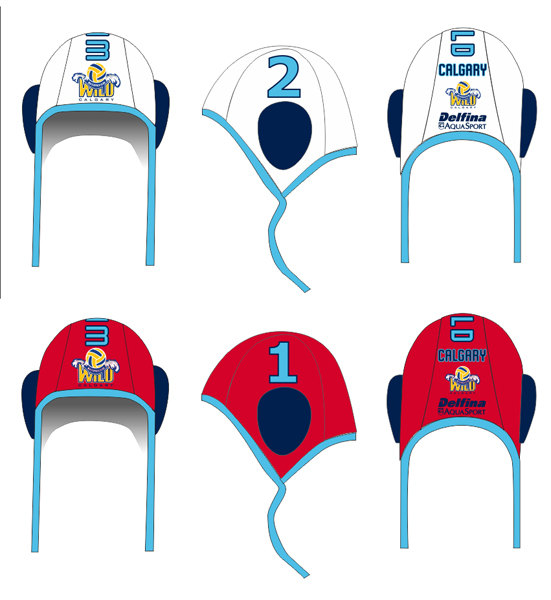 Players registered in this team would compete in Pup Fest games throughout the city of Calgary including Okotoks and High River. 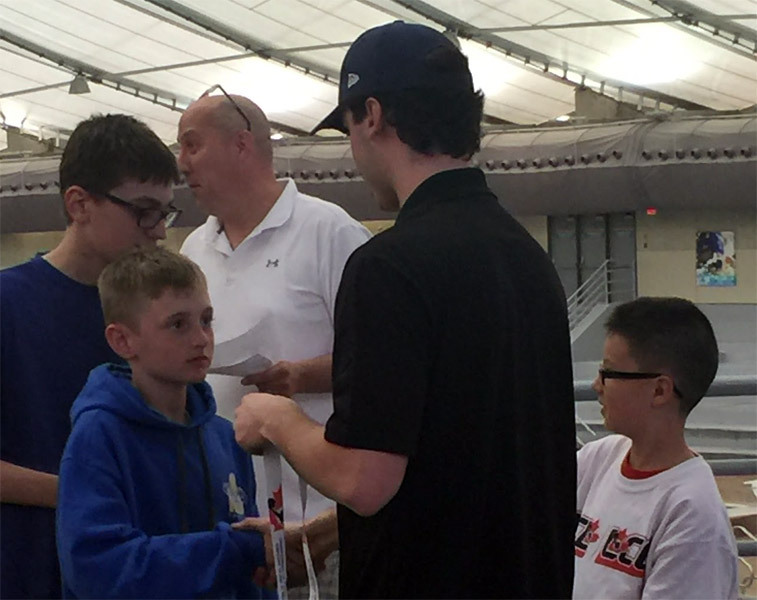 More advanced players will get an opportunity to compete in Calgary Sunday night League occasionally. Practice 2-3 times per week. This fun based program is open to boys and girls born in 2006 and 2007 (under twelve years - U12). 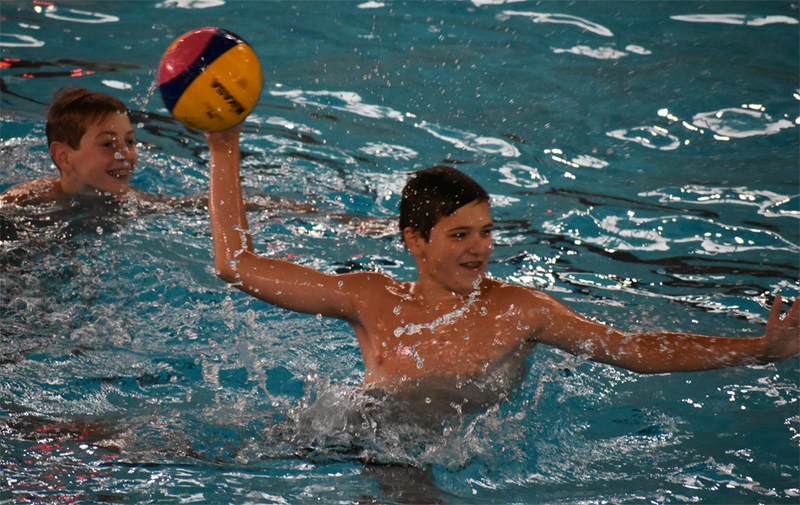 We encourage enthusiastic novice and experienced beginners to join and learn/upgrade basic skills foundation to play water polo better while having fun and compete within the City and Province. 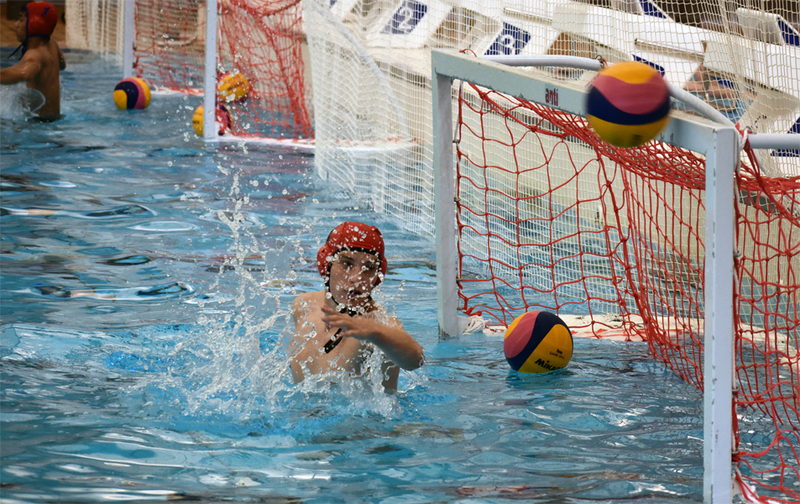 Players will develop water polo skills like ball-handling, passing, shooting, goal-tending and team work. 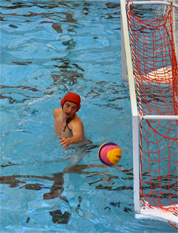 Players will also learn water polo swimming skills. 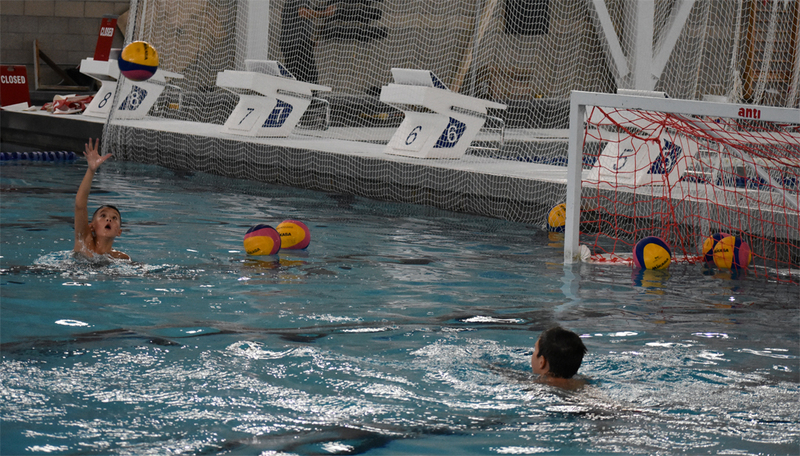 No previous water polo experience is necessary. 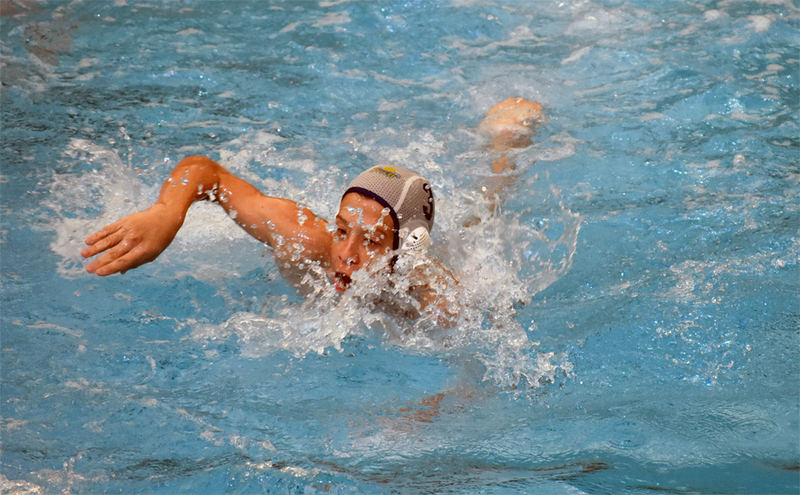 Athletes should be comfortable in deep water. Players registered with this Team would compete in City and Provincial League games. Depending on interest, there may also be opportunities to travel to BC, Montreal (Haba Waba Festival) or elsewhere to enhance competition opportunities. 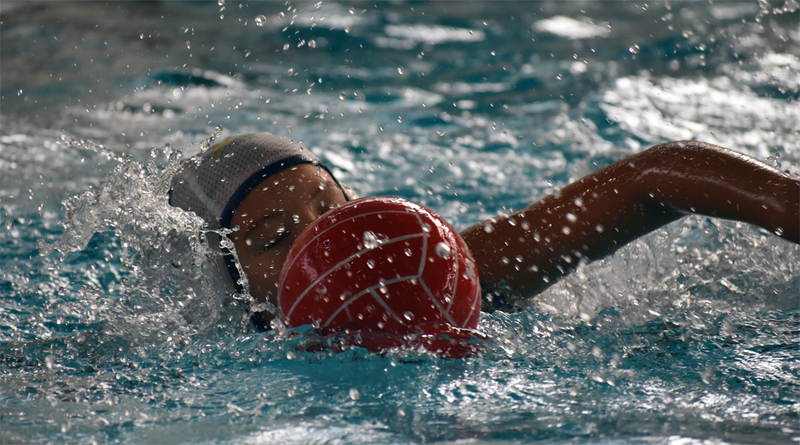 The goal for these players is to develop a love for water polo. Practice 3-4 times per week. This program is open to boys and girls born in 2004 and later (younger). 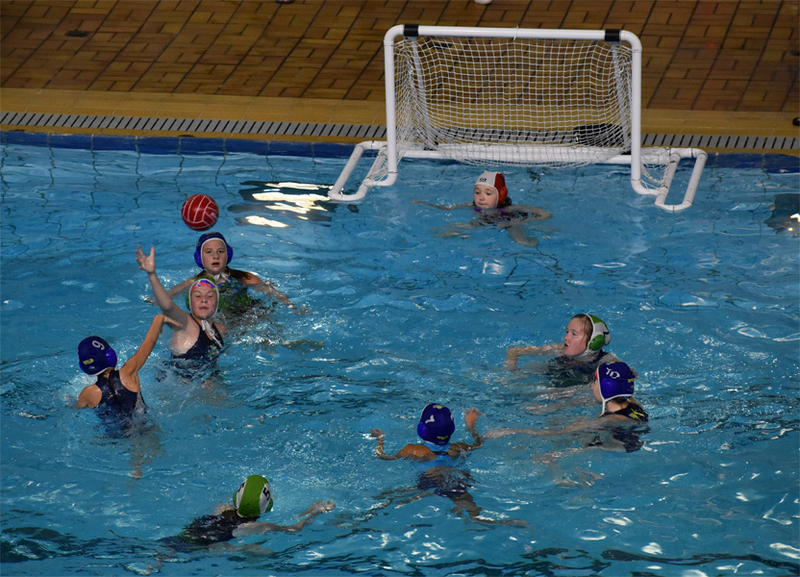 The aim is to teach and develop the advanced skills of water polo to prepare water polo players for competition. 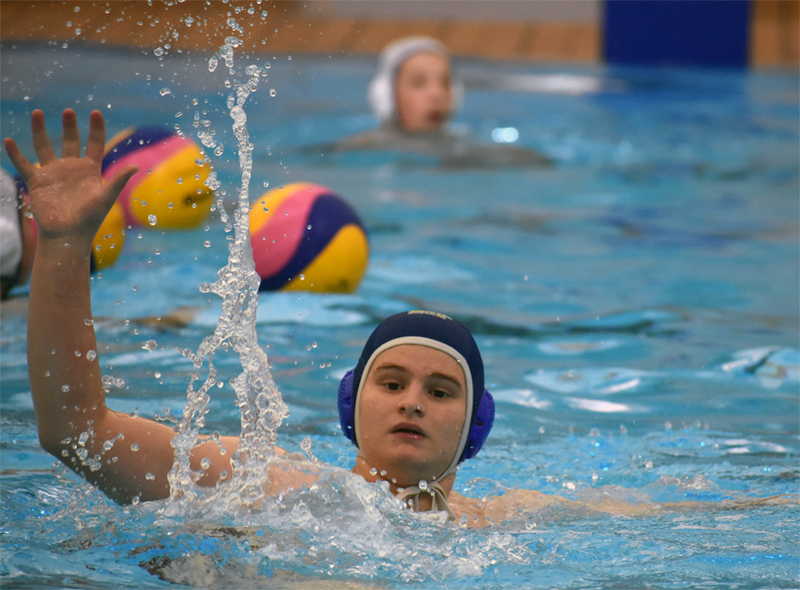 This program is meant to encourage advanced beginners and recreational players to learn the necessary skills-foundation to play competitive water polo. Skill development for advanced ball-handling, passing, shooting, goal-tending, teamwork and game strategies will be emphasized. Players registered in this league would compete in City and Provincial League games. Depending on interest, there may also be opportunities to travel to BC, Montreal (Haba Waba Festival), California or elsewhere to enhance competition opportunities. The goal for these players is to gain game experience important to their development. Practice 4-5 times per week. 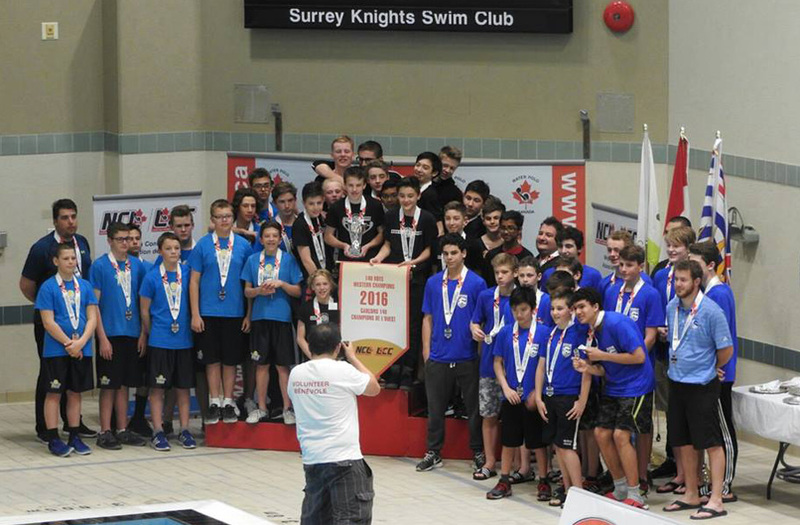 The U16/U19 boys Program is a Training to Compete program for boys only aged 16 and under (born 2002 and later). 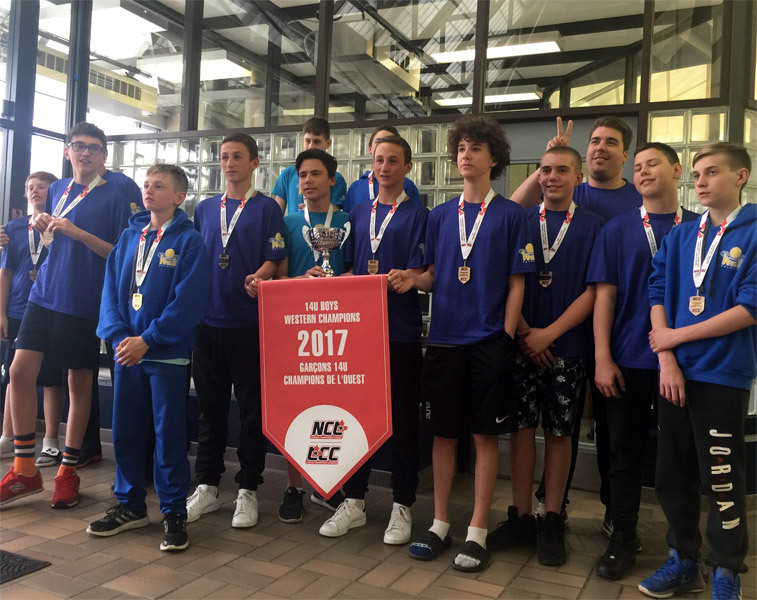 The team will compete in the NCL (National Championship League) developed as a collaborative initiative between Clubs, Provincial Sporting Organizations and WPC. It is also meant to build on the competition structure for the clubs, athletes, coaches and officials. 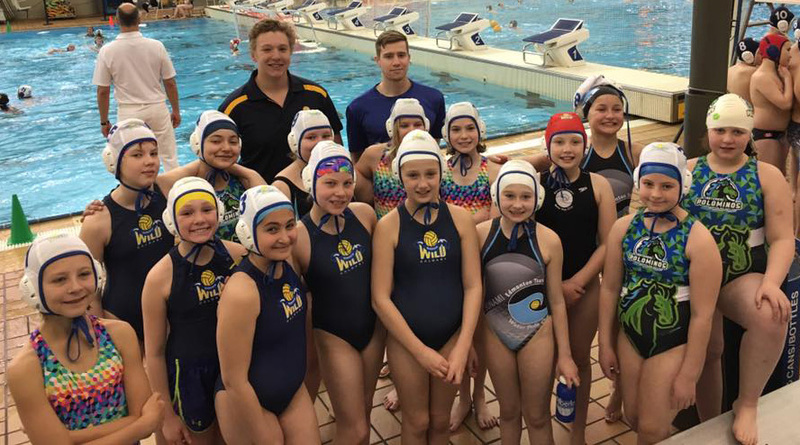 Other opportunities continue with weekly scrimmages with local clubs, training with teams across the Western Provinces and the Alberta Water Polo Youth League. Depending on interest, there may also be opportunities to travel to BC, Florida, California or elsewhere to enhance competition opportunities. 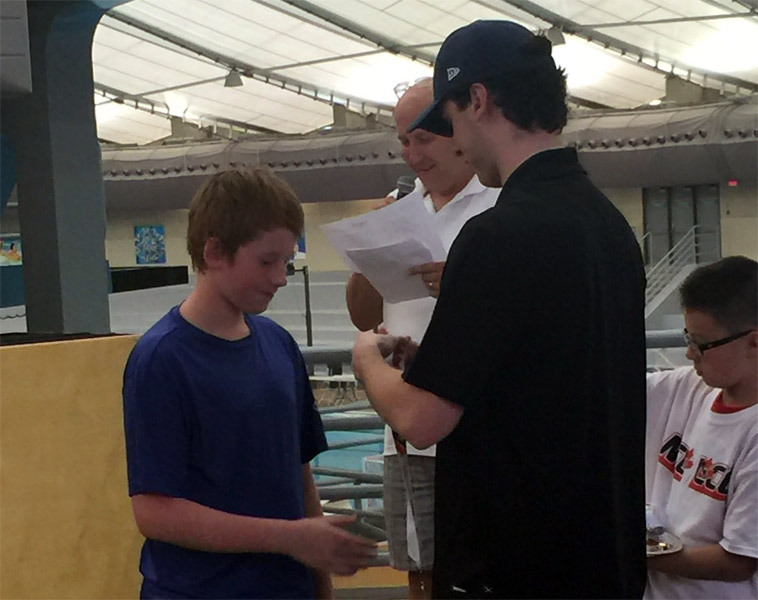 This is Training to Compete program where greater emphasis is placed on developing and perfecting the advanced skills while competing at the highest level in Canada. In parallel, the basic skills are maintained and refined, and development of the specific and positional skills is emphasized. 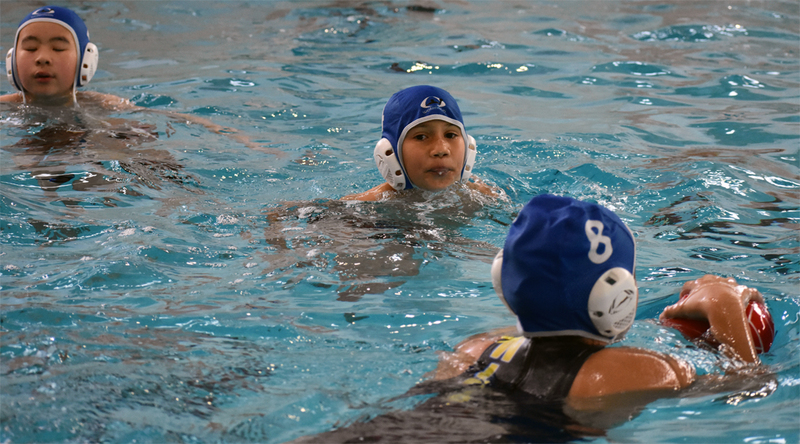 Players enrolled in this program are expected to attend all practices and participate in league games, which are on the weekend to encourage maximum participation and minimize missed school. Practice 5-6 times per week. 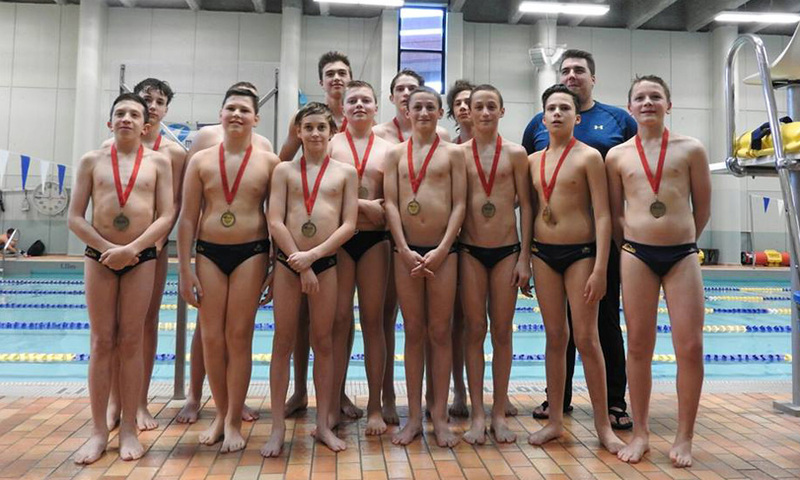 U14 boys won silver at Provincials! 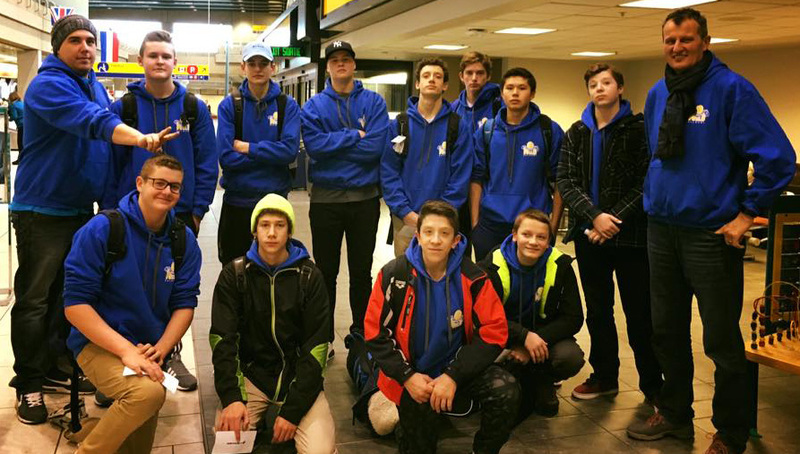 It was a bumpy road to the provincial finals in Edmonton, but our boys made it by winning over Tsunami & Destroyers. See all 3 games on Wild's YouTube. 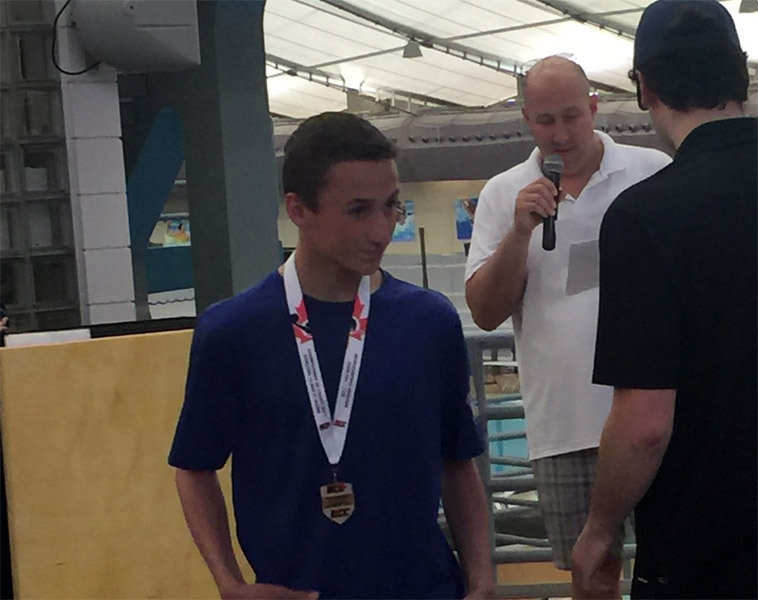 Quinn Koster - Alberta Open MVP! 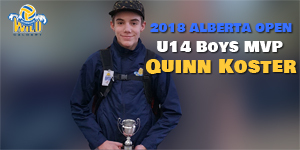 Congratulations to Quinn winning most valuable player award at the 2018 Alberta Open held in Calgary. NOTE: All practices are held in Repsol Centre! 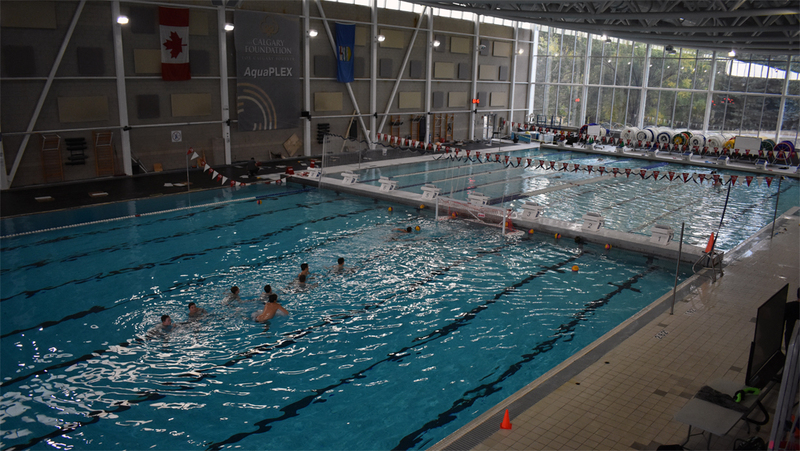 Repsol Sport Centre (formerly Talisman Centre), is one of Canada’s leading training, competition and fitness facilities. Repsol Sport Centre (formerly Talisman Centre), is one of Canada's leading training, competition and fitness facilities. Try out Calgary Wild for two weeks for a nominal insurance fee of $25. If after two weeks you would like to go Wild for the season, your trial fee will be deducted from registration costs Please fill in the information below and our registrar will contact you to finalize the start of your trial. 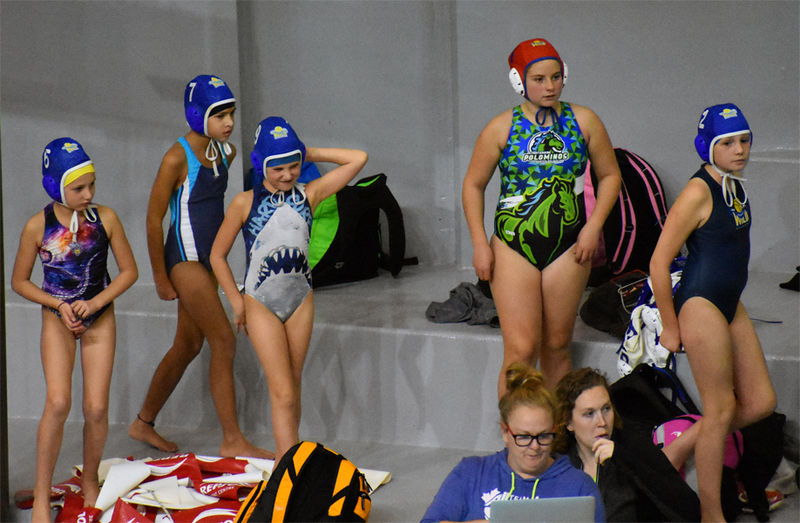 Online registration for 2019-2020 season is NOW OPEN! Register early and get a 10% discount (up to 100$) - registrations must be received before before June 30, 2019. Click HERE for 2019-2020 Registration Program. REGISTER HERE or click on the button below to start registration process online! Please note that we will offer a 10% discount (to a maximum $100 per athlete) for all registrations received before June 30, 2019. In order to qualify for the 10% discount, you must submit your registration package plus a $200 deposit per registered athlete by June 30, 2019 (1 athlete = $200 deposit, 2 athletes = $400 deposit, etc.). The $200 per registered athlete deposit will be applied against final payment. If you do not follow-through with registration or final payment, you will forfeit the $200 deposit per athlete. This discount does not apply to 10U Pups registering for a single term. For families registering more than 1 athlete (athletes must be from the same family), you will receive a 20% discount per additional athlete registered. The 20% discount applies to the athlete(s) with the lower registration price(s). This discount does not apply to 10U Pups registering for a single term. 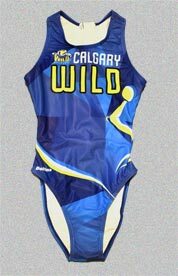 Pool rental, coaching, Community League, Provincial League, Alberta Water Polo Membership fee (including athlete insurance), a Calgary Wild water polo swimsuit, and a Calgary Wild team t-shirt. 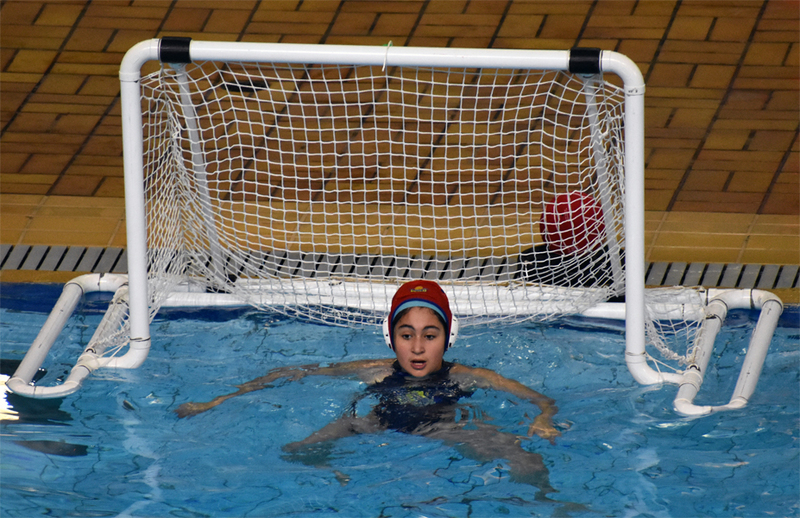 As discussed above, if we have more players register for the 16U or 19U boys' teams than we can accommodate (15 players: 13 field + 2 goalies), we may need to restrict the number of athletes on that particular team. 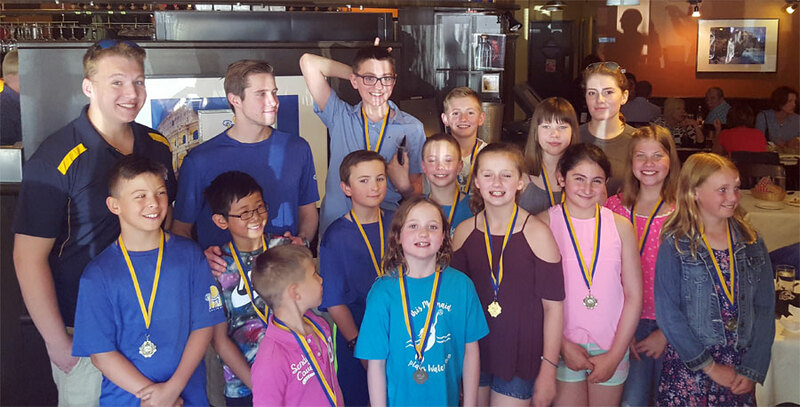 If so, the age group team coach will hold tryouts within the first 2 weeks of the season to determine which athletes will be chosen for that age group team. If an athlete is not chosen to be on the team, we will provide a full refund for that athlete. Furthermore, we will work diligently with the athlete and his family to place the athlete on another better-suited team in Calgary. 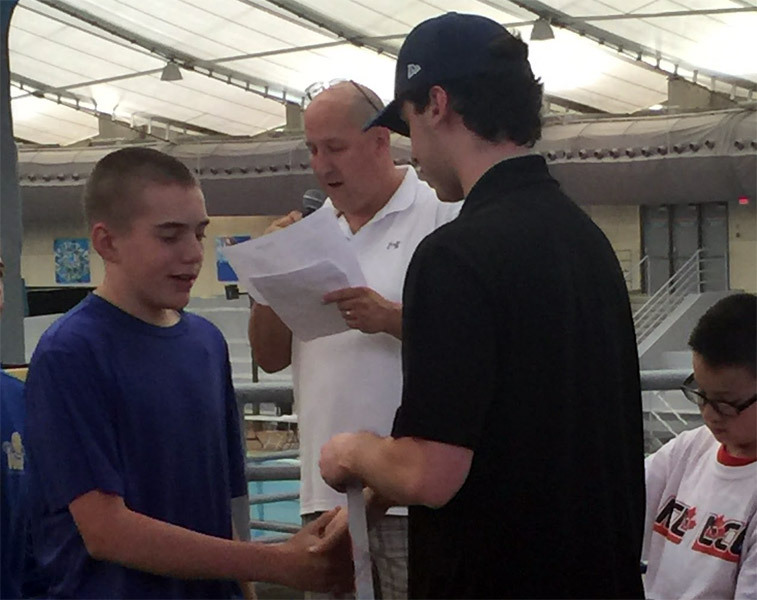 Athletes may have the opportunity to play in the age category above their registered age group based on Coaches' evaluations and discretion. 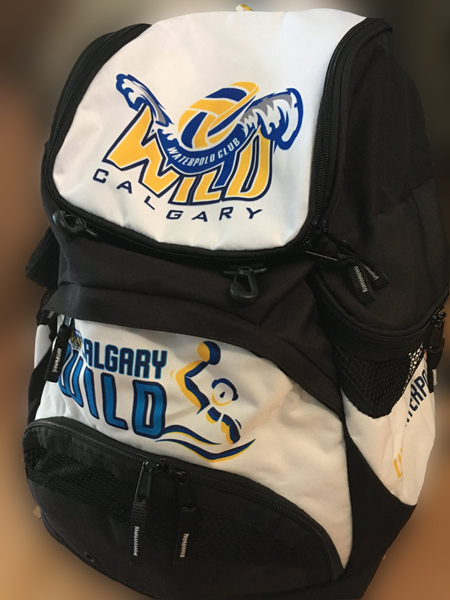 Please click on the link below to see 2018-2019 Calgary Wild Program and Fees, Competition Schedule and Volunteer & Fundraising Requirements. 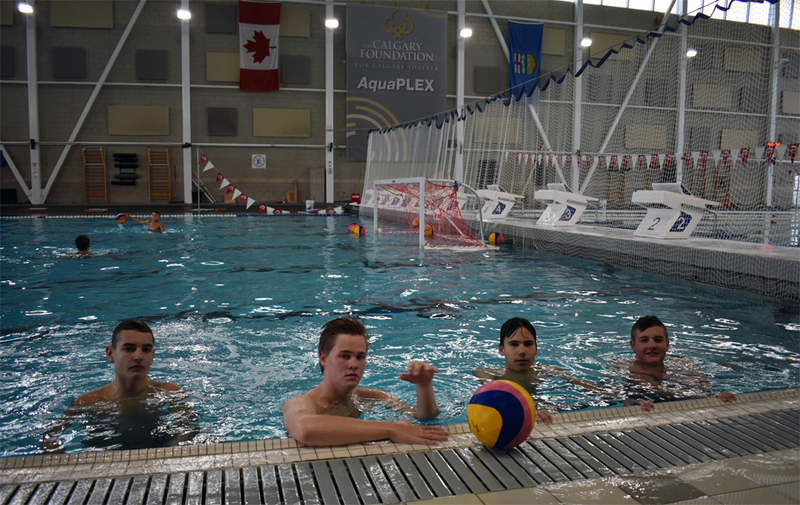 Calgary Wild Water Polo Club is proud to announce enhanced training program! 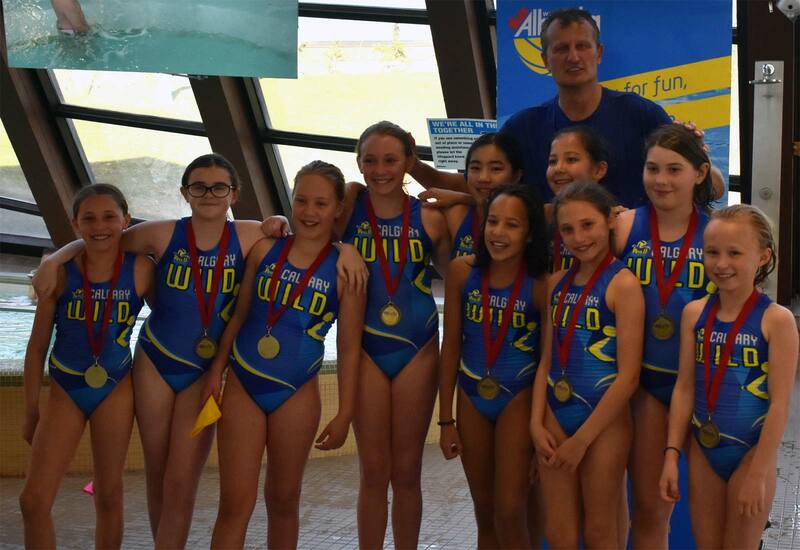 Wild offers and 'Enhanced training' program for U12 and U14 Community Club Athletes who are interested in high performance training in addition to their community club practices. Calgary Wild Water Polo Club is proud to announce our 2018 Summer Swim Program! 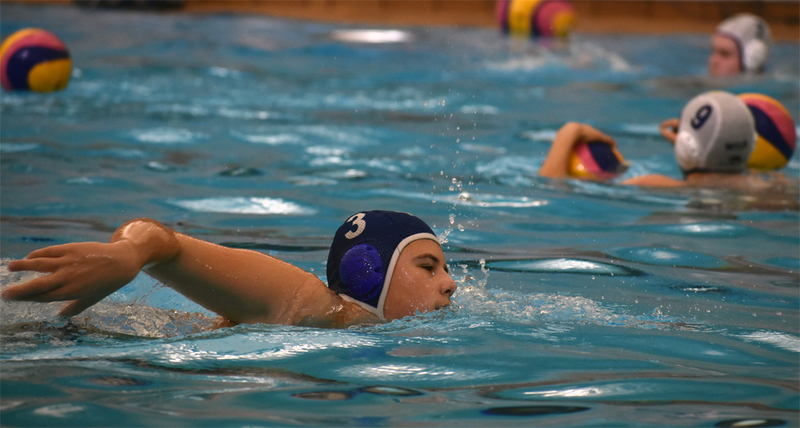 Swimming is always strongly recommended during summer for water polo athletes to keep them in great condition and improve their overall swim skills. - Min. number of athletes need to run program - 12. Please reply by Wednesday, August 1st, 2018. 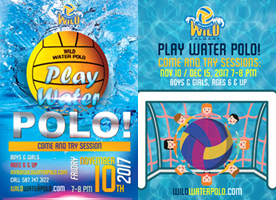 Please join in Wild Come and Try Sessions, Friday, December 15, 2017 from 7-8 pm, at Repsol Centre. Feel free to bring a friend and/or family member along as we are going to have a ball! Wild came back from 3 goals down to win the game! 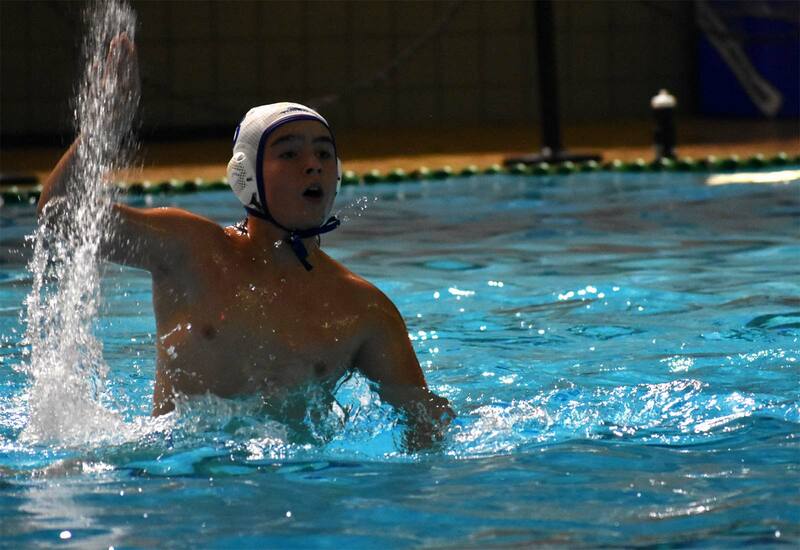 Great play by Vuk Stefan Palibrk who scored 6 goals. Edmonton Tsunami failed to flood Calgary Wild! Another win against very good team from Edmonton. 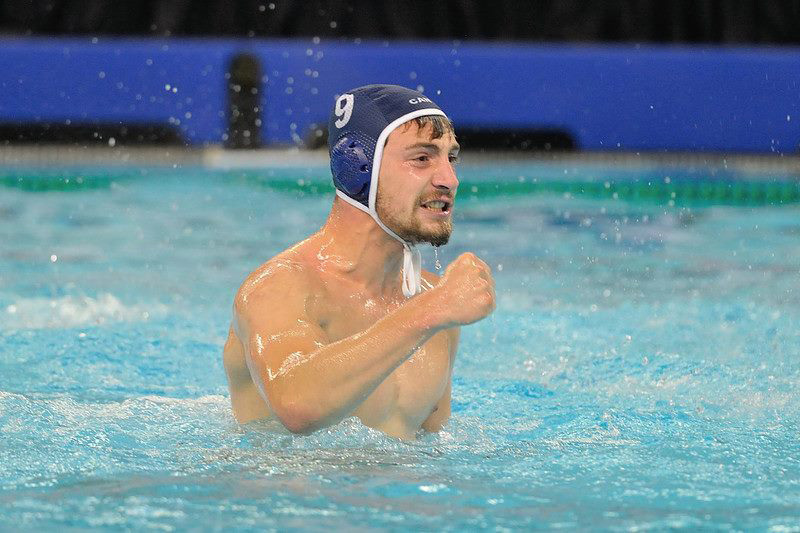 Marko Djuza scored 3 goals in second half of the game after passing the goalie cap to Danel Mironov. Athlete registration for 2017-2018 season is now open - check out our new promo video! Registration form, training schedule and competition program can be downloaded from our registration page. Wild receives Top Goalie, Best Defensive Player and Best Coach Awards! Enjoy the championship plays of the Wild players. Wild wins the 2016-2017 U14 Western National Championship! Our sincere congratulations to the great team of Fraser Valley for playing at the high-performance level. Wild comes back from 3 goals down to win this game! 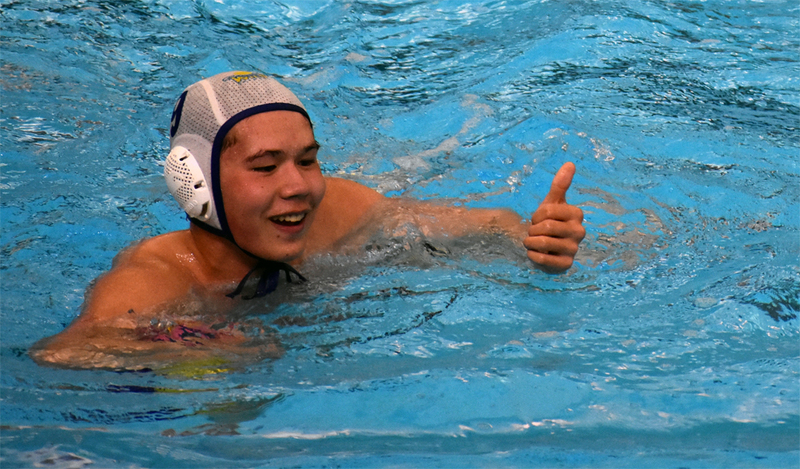 Thumbs up for Surey Orcas boys and their high level of play. 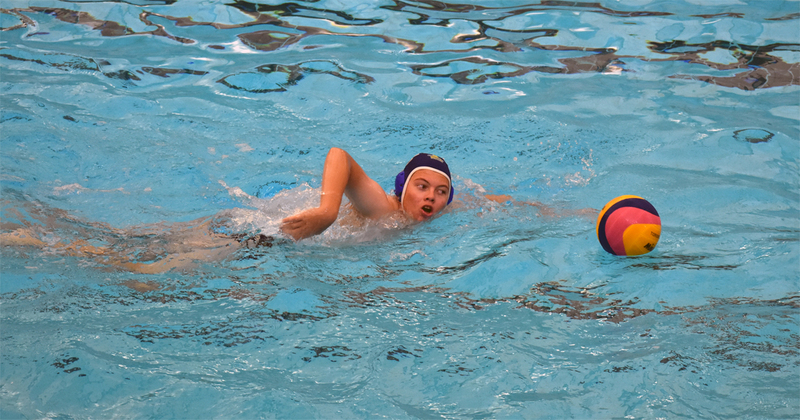 Third win in a row for U14 boys - Wild is in Western National Semi-Finals! Team Manitoba showed tough defense in the beginning but at the end it was all about Wild. 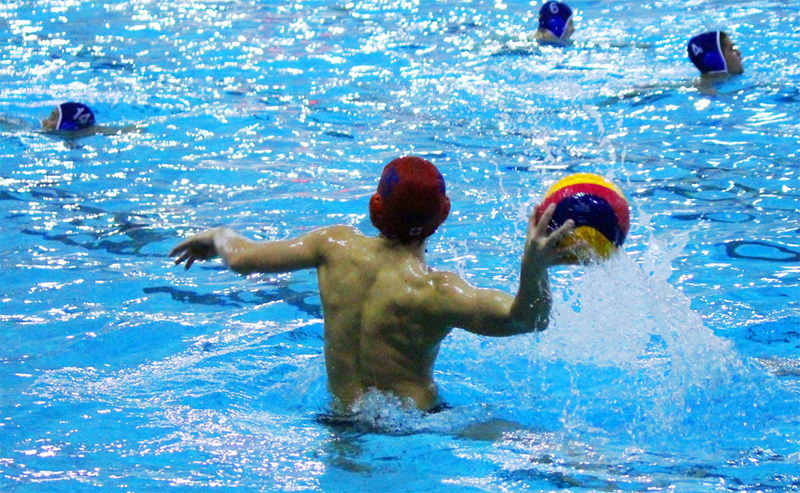 Enjoy the beauty of water polo game! 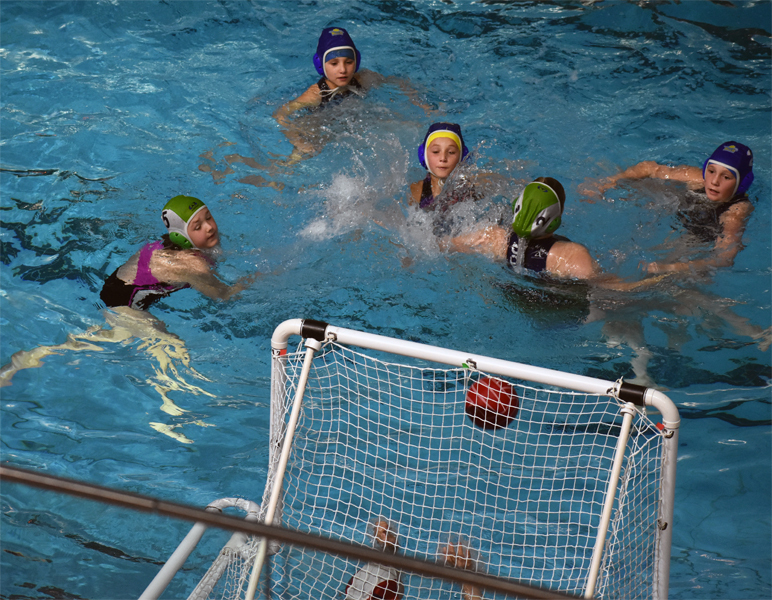 Great start for team Wild in U14 Western National Finals. Wild wins in the opening game! Seawolves team is really tough cookie! Wild managed to score only 3 goals in this game. Another penalty shooutout game after exciting 4 quarters. Don't forget to check statistics at the end of the game. Go Wild! 7 seconds to the end of game, Wild is 1 goal down. Could our boys take this game to penalty shootout and win? 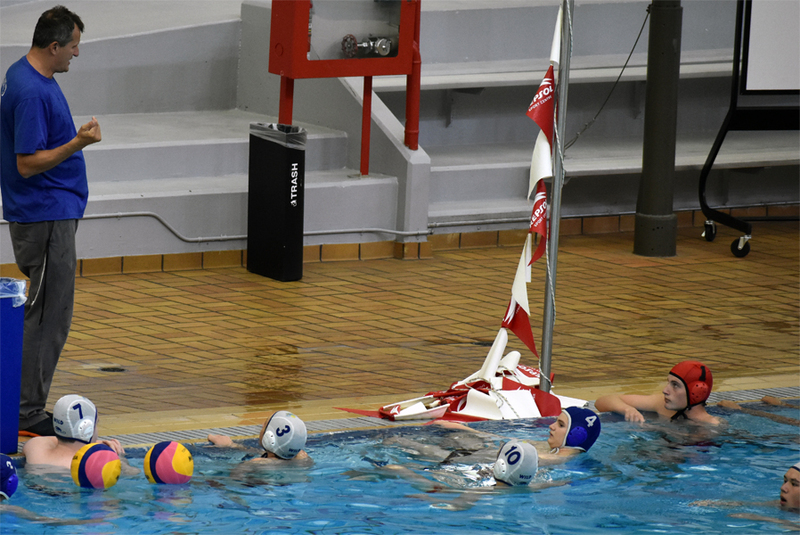 Could referee decision be overruled by Alberta Water Polo Associates after game was completed and based on one parent protest? 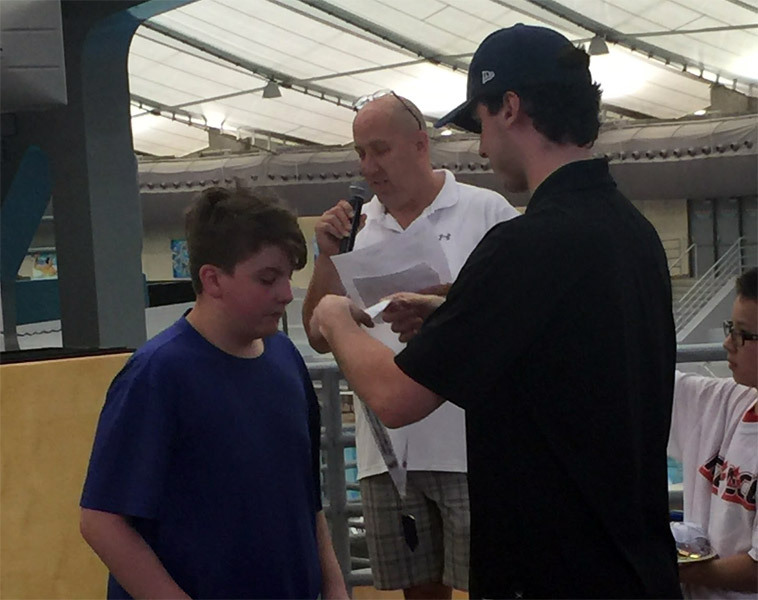 According to FINA rules NO, but this video proves the opposite! 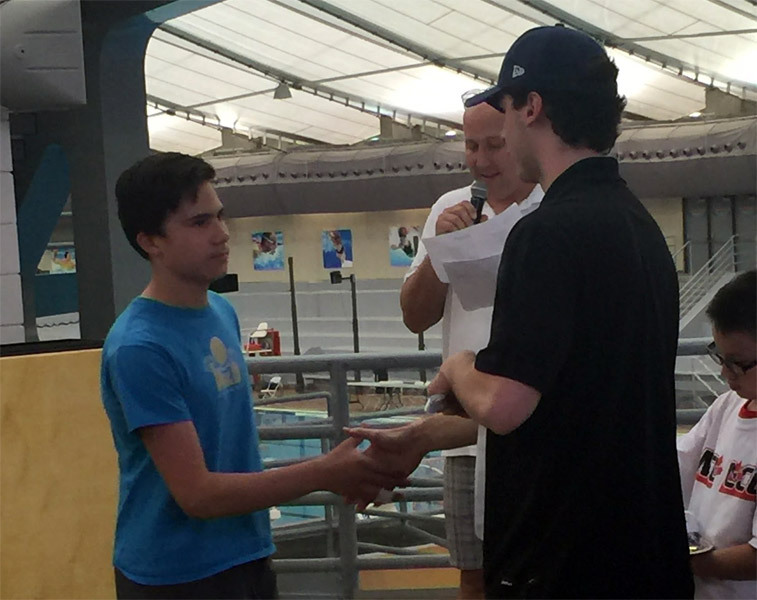 Watch and count numerous FINA rules infringements. No surprises here! 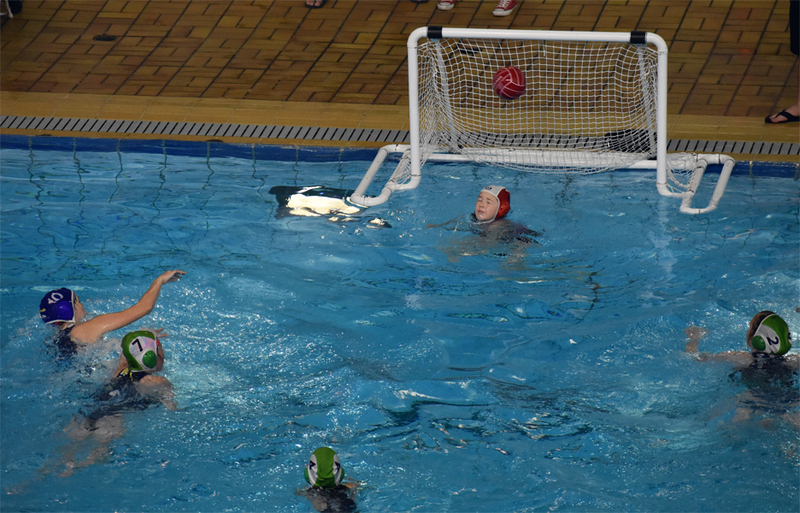 U14 Wild boys showed high level of play once again and won the tournament - Thomas Dunlop saved 9 of 12 shots! Watch MVP (Marko Ninkovich), Top Goalie (Thomas Dunlop) best moments and award ceremony at the end of the video! Here we go, one game to the finals! Watch the semi final game against combative team of Seawolves Blue. 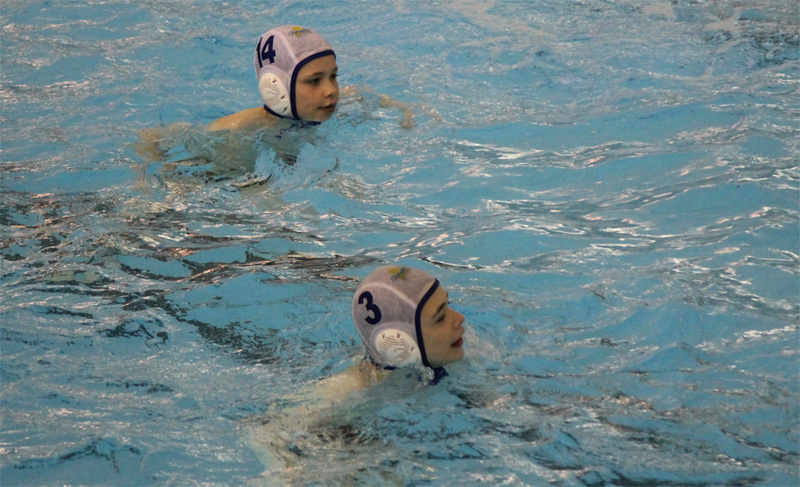 Marko Ninkovich scored 5 goals, Vuk Palibrk had 6 steals! Alberta Open qualifier game against Seawolves - see Wild team work at its best. Watch the Jeftić twins magic - Marko scored 6 goals whereas Luka assited 5 times! 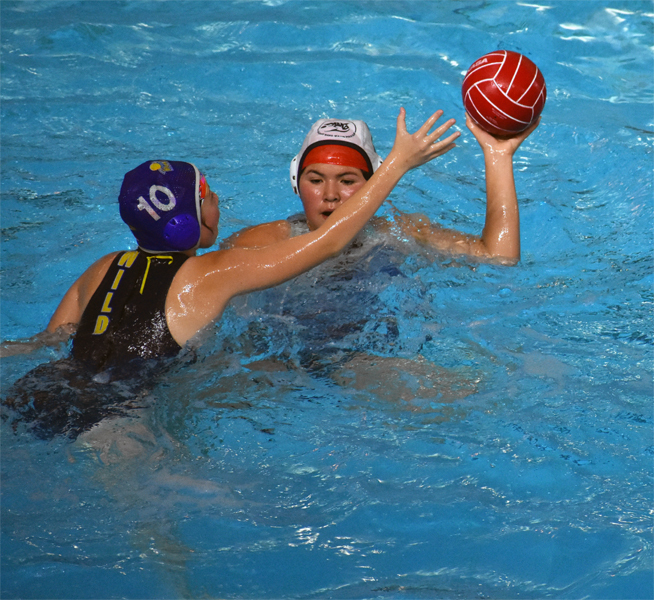 Wild Water Polo is committed to protecting the privacy of those using this web site and the confidentiality of the personal information which our customers provide us with. We use the information we collect to provide services and to ensure that your orders and enquiries are processed smoothly. Beyond that we only use personal information if volunteered by you. If you have sent us an e-mail enquiry, you have given us your email address, name and possibly your phone as well. If you send us an e-mail enquiry, your details are not used for any purpose other than answering your enquiry. 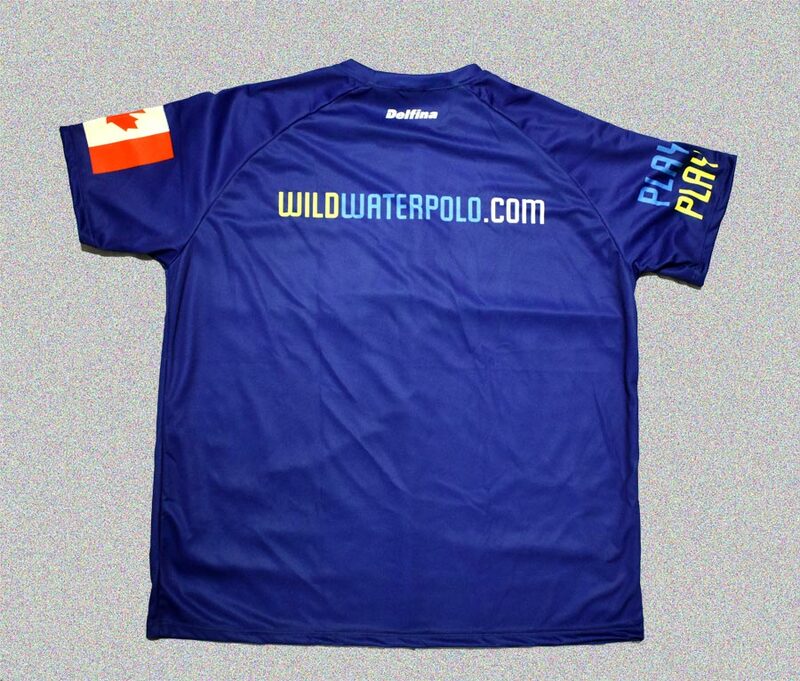 Wild Water Polo will never sell personal information and will not share personal information with third parties unless this is required to fulfill your order or to provide a service from this web site. NEW Apparel / Re-Orders | Christmas delivery! 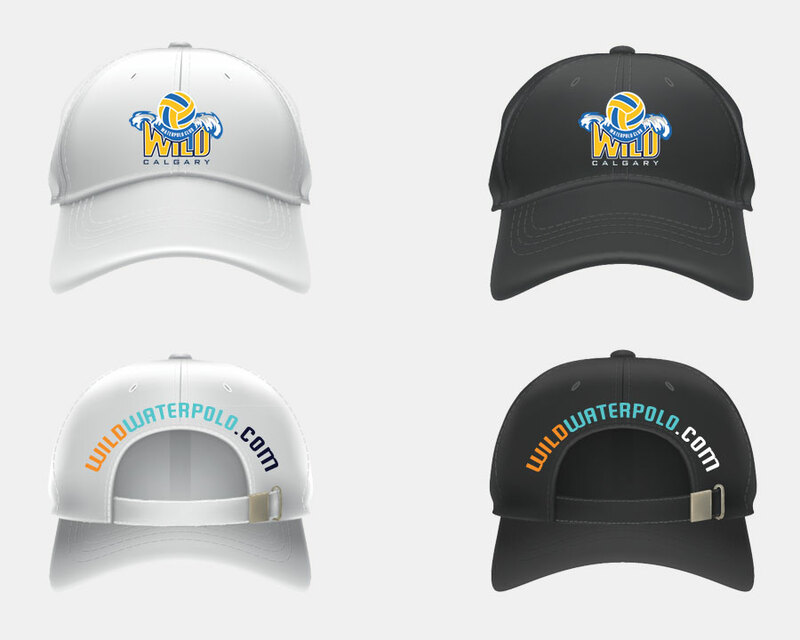 Announcing new addition to our apparel - hoodies, towels, backpacks & caps* - just in time for holidays! Your detailed orders / re-orders should be sent before Thu, Nov 15 to ensure Christmas delivery! Towels - one side printed towels 70x140cm (70% cotton-30% polyester). The cotton is white. Do not miss this opportunity as this will be our last order for 2018-2019 apparel! Trick Hard - Treat Wild! Have a WILD and crazy Halloween! 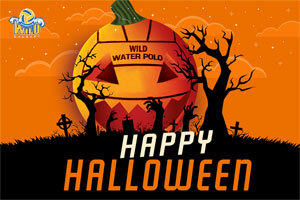 Reminder to all Wild 'pumpkins' - no training tonight but make sure to do the candy run! BRING A FRIEND NIGHT - OCT 26th, 6:30-8 PM! 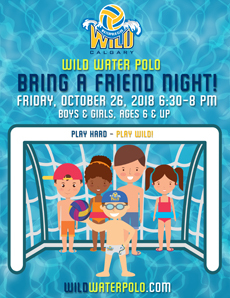 Please join us at Wild's Come and try FREE water polo session on Friday, Oct 26, 2018 from 6:30 - 8 pm at Repsol Centre. All boys and girls, ages 6 and up are welcomed! New Promo Video | 2018-2019 Registration! Check out our new promo video - click on the image above to see it! Still a few spots left - register now! Wild's Headcoach Gyula Toth appointed to lead NLDC in Calgary! 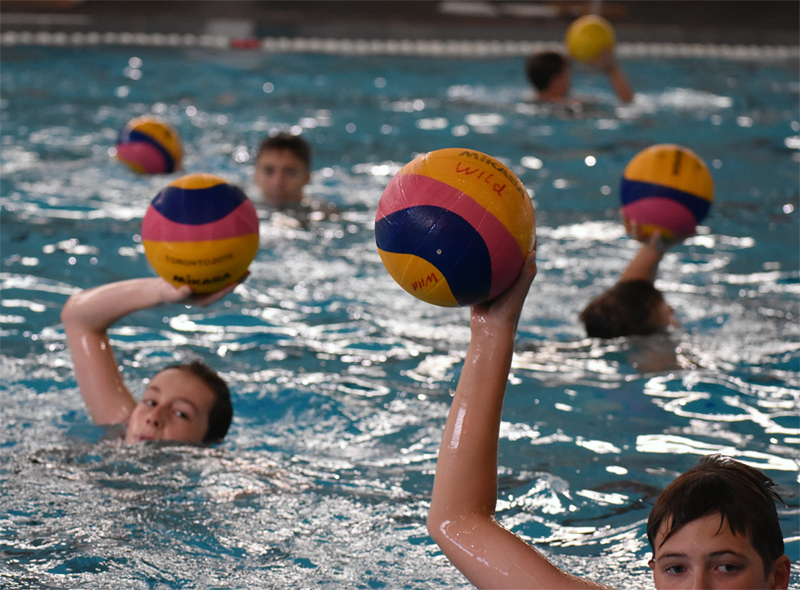 Wild Water Polo is proud to congratulate our Head Coach, Gyula Toth, on his appointment to lead Water Polo Canada's s National Legacy Development Centre (NLDC) in Calgary! 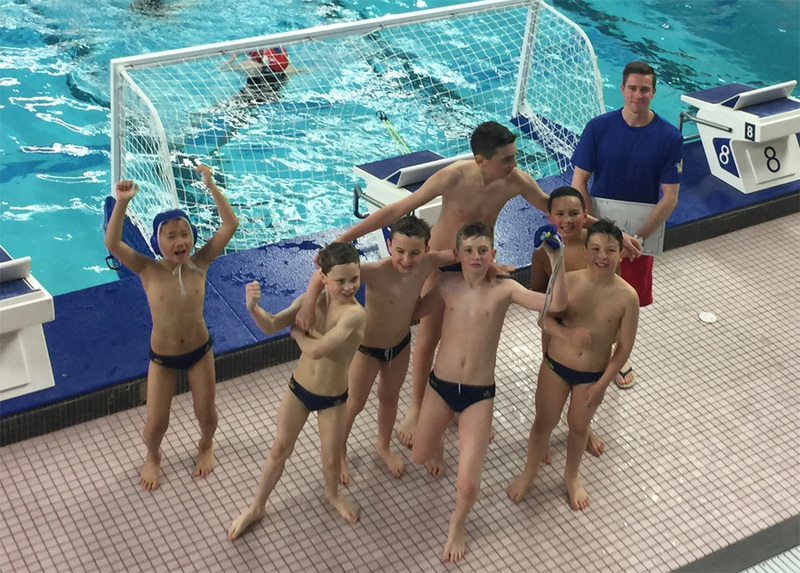 Register now for the 2018 / 2019 season! Join Wild and learn from the best! We are inviting new and returning Wild members to register for the new 2018-2019 season by filling the form on our registration page. Get Ready For 2018-2019 Season! 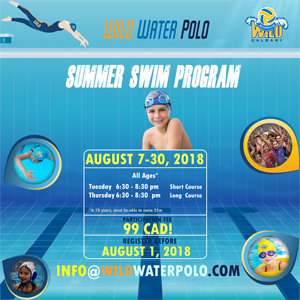 Calgary Wild Water Polo Club is organizing summer swim program from Aug 7 - 30, 2018. 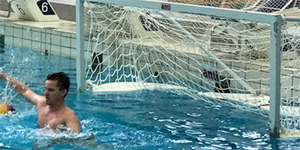 FINA Water Polo Conference, which was ended in Budapest yesterday, may be the begin of the revolution in the sport of the water polo. 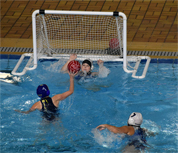 "FINA took the big step forward in efforts to improve water polo. 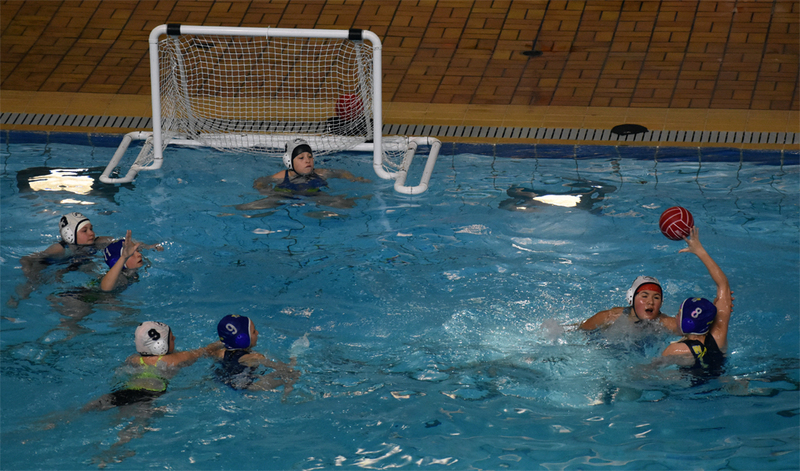 For the first time in its history, FINA staged so big event and opened the doors to the whole world: to coaches, to referees, FINA members… to find solutions for the better future of water polo. 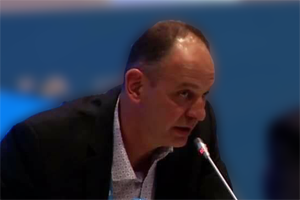 As I saw in Budapest, FINA officials very positively reacted to activities of working groups, and to experts opinions". Hello Calgary Wild Water Polo Club Members! 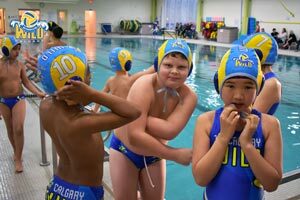 Per your 2017-2018 registration forms, Calgary Wild Water Polo athlete families must raise a minimum of $150 per family through fundraising activities. 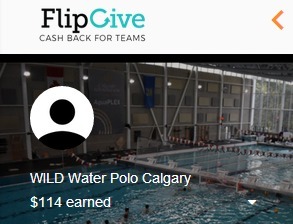 We have been running our FLIPGIVE fundraiser so far, this year but participation has been low. We have come up with two more fundraising activities before our 2017-2018 season concludes. For the clear majority of our members, participation in both the bottle drive AND raffle fundraiser is the only way you will be able to meet your fundraising commitments. If you do not want to participate, per your registration form, you can buy out of your fundraising requirements for $200. Please let Laura Hartwell (vicepresident@wildwaterpolo.com) know if you would like to proceed with that option. Wild practices with 2008 Canadian Olympian Nic Youngblud!! Wild athletes had an unique opportunity to practise today with 2008 Canadian goaltender Olympian Nic Youngblud. $299 UNTIL END OF THE SEASON! For the month of Februry/March U12 Boys and Girls join for just $299 and U14 Boys $599 for the remainder of the season!!! 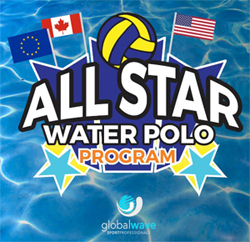 ALL STAR PROGRAM is an enhanced training for individual athletes from Canada who strive towards colleges or national team participation and are high performances focused. 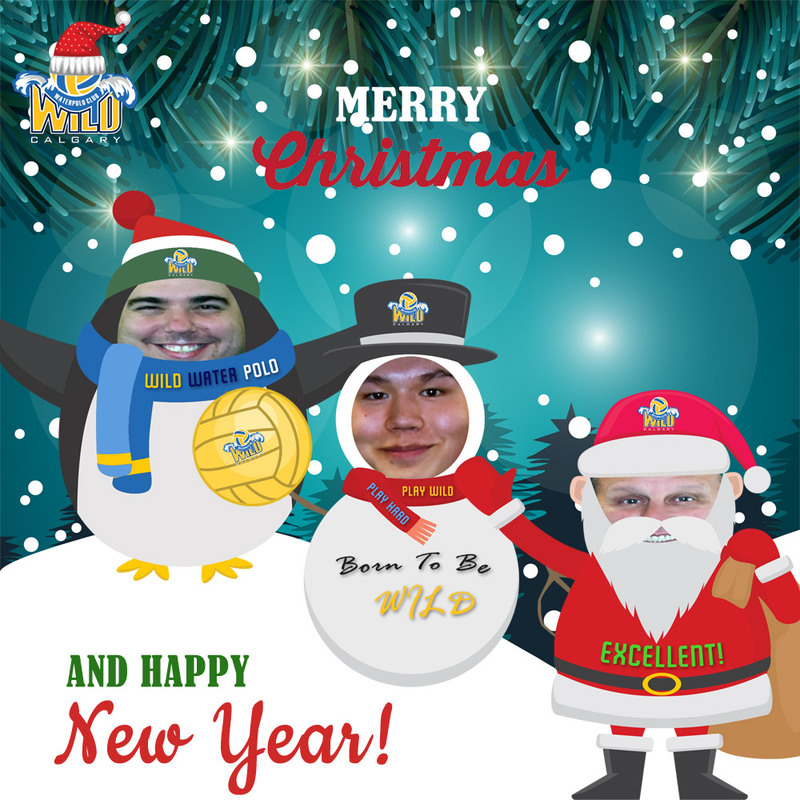 The team at WILD would like to wish you and your family a very merry Christmas and a prosperous New Year. May peace, love and prosperity follow you always! 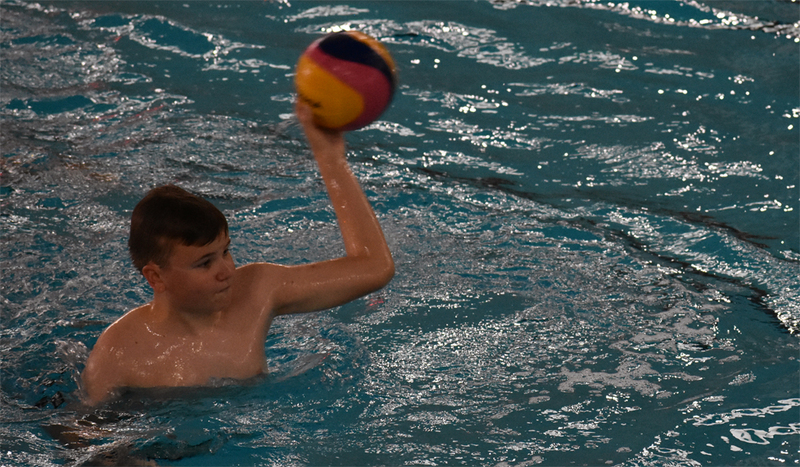 Our youngest athletes had an opportunity to show their skills, yesterday at Pup Fest, held in the Shouldice Aquatics Centre. 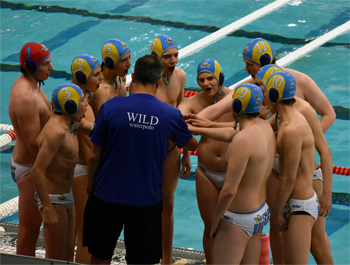 It was a fun event, and we are proud that our boys and girls, led by head coach Gyula, represented Wild in brightest possible light and showed good team spirit - GO WILD! Limited number of Wild caps available for sale - reserve yours now! 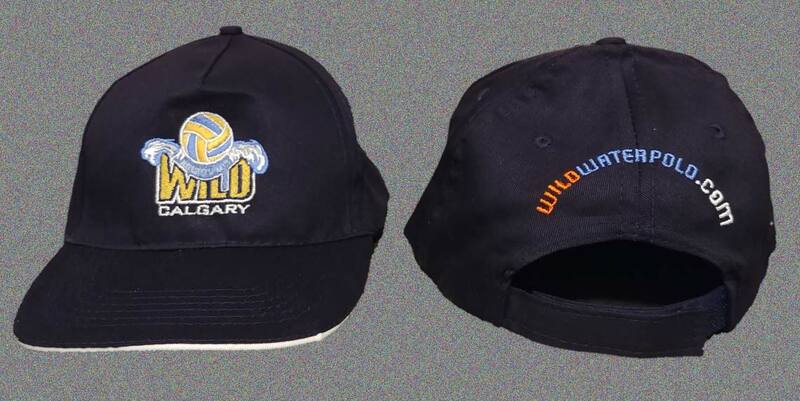 Hello members, we have 30 Wild caps (baseball style - see images below) for sale - 7 of those will be reserved for families who originally ordered them with new apparel order (please confirm your order), other 23 will be avaiable on a first come first serve basis. Act quickly to secure your cap! 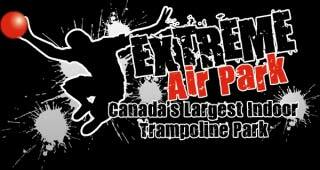 Sat, Dec 1st, Extreme Airpark, 1411 33 Street NE, 11:30AM-2:15PM. Arrive: 11 AM to complete waiver - You can also sign waiver HERE! Pick up: 2:15 PM sharp! RSVP by Thursday, November 29th as we need to give them our final numbers. Come out and have some fun with the team. Looking forward to seeing you all there. Hope you all can make it. Hi Everyone, come join your teammates and invite your friends for a small social gathering of pizza and fun with your teammates. 20% of all the pizza purchased that day will be going back to the club. Fundraising cannot get any easier and more fun than that. Advertise this on your Social Media and have as many friends/family use this flyer to get the 20% for the team. It does not have to be on paper it could be on your phone. Download flyer below. We are excited to invite athletes (parents are welcomed too) to our referee information night on Wednesday, November 21st in the Riverview Room at Repsol 6:30-8pm. 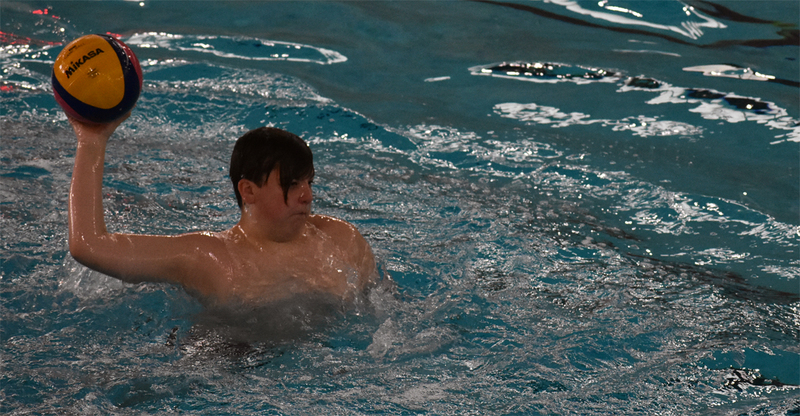 U12 teams normally training on this night are expected to attend rather than jump in the pool. Our U10s will practice as usual. This information session is for U12, 14, 16 and 19 athletes and parents. 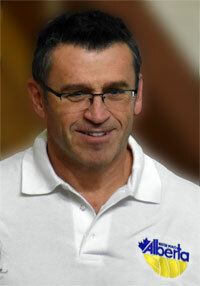 We welcome Mikhail Dykman, FINA Referee and in charge of refereeing for Alberta, as our guest speaker. Mikhail will lead us through the rules of the game and the reasoning behind the calls that are made. The purpose of this evening is to help athletes and parents have a better understanding of the game and the rules of play. 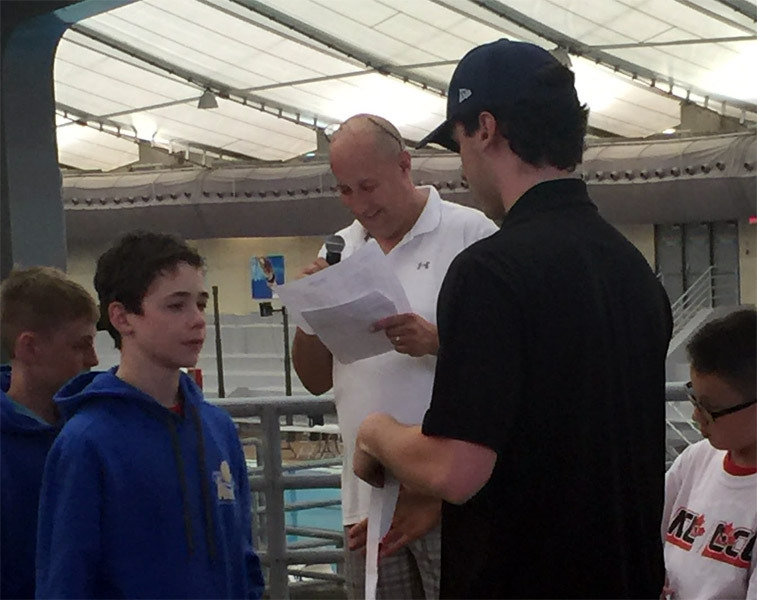 U14 Boys Edmonton Invitational Doubleheader LIVE! We will be broadcasting both games from Kinsmen Sports Centre in Edmonton - please subscribe to our channel and pass the link to friends / family. 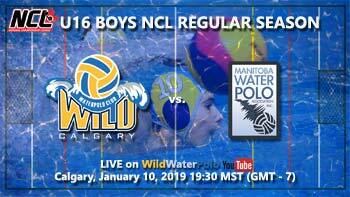 U16 Boys NCL game - Wild vs Saskatchewan, Live from Regina on Wild's YouTube! 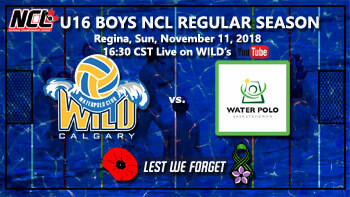 Last game of the NCL weekend in Regina will be broadcasted on Wild's YouTube channel on Sunday, Nov 11, 2018 at 15:30 MST (GMT-7), from Lawson Aquatic Centre in Regina, Saskatchewan. 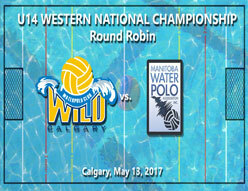 Click the image ↓ below or yellow link above ↑ for live stream (courtesy of Regina Water Polo). U14 Boys Calgary Open - Wild vs Thunderbirds, Live on Wild YouTube! 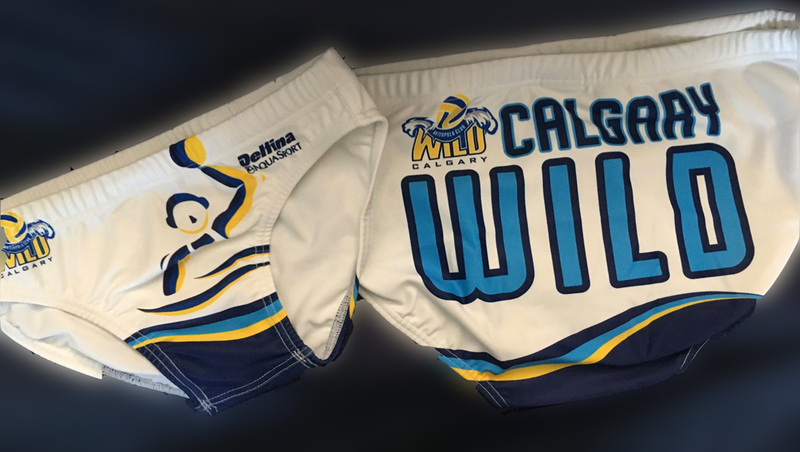 First provincial game of the season will be broadcasted on Wild's YouTube channel on Sunday, Nov 04, 2018 at 15:50 MST (GMT-6), from Repsol Sport Centre in Calgary. Please subscribe to our YouTube channel to be notified of our future live streams. 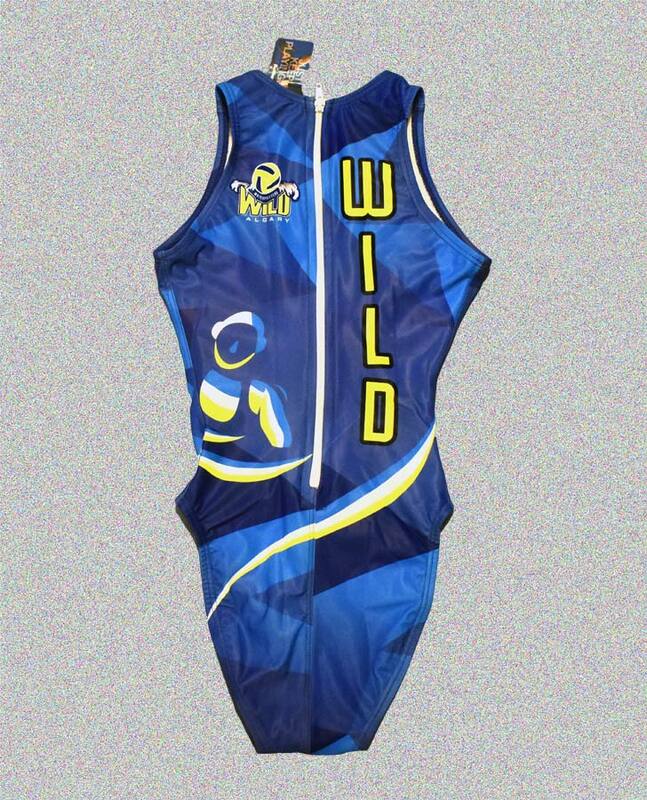 Wild 2018-2019 apparel is here! 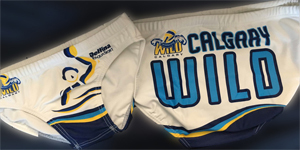 Click on the image below to open Wild's apparel gallery. BRING A FRIEND NIGHT WAS A BIG SUCCESS! 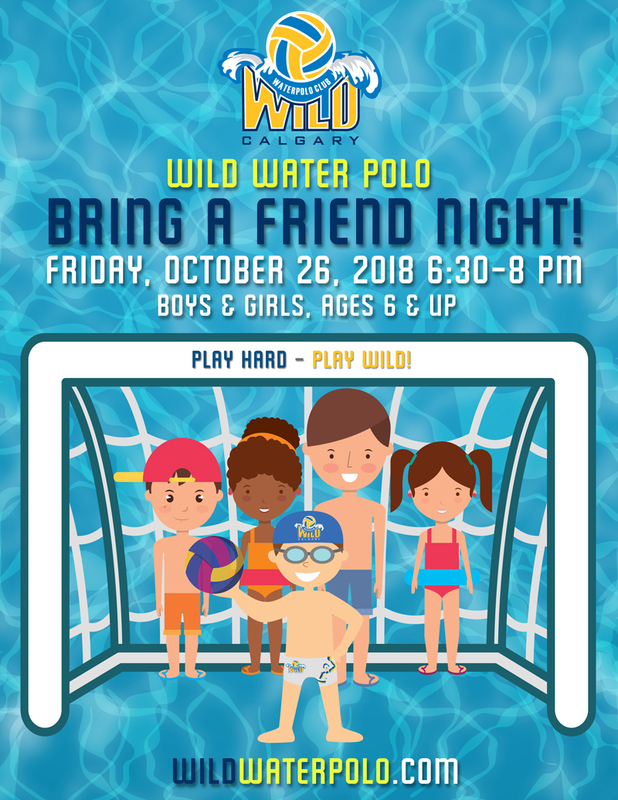 Wild Water Polo would like to express sincere gratitude for all the children that showed up at our bring a friend night. 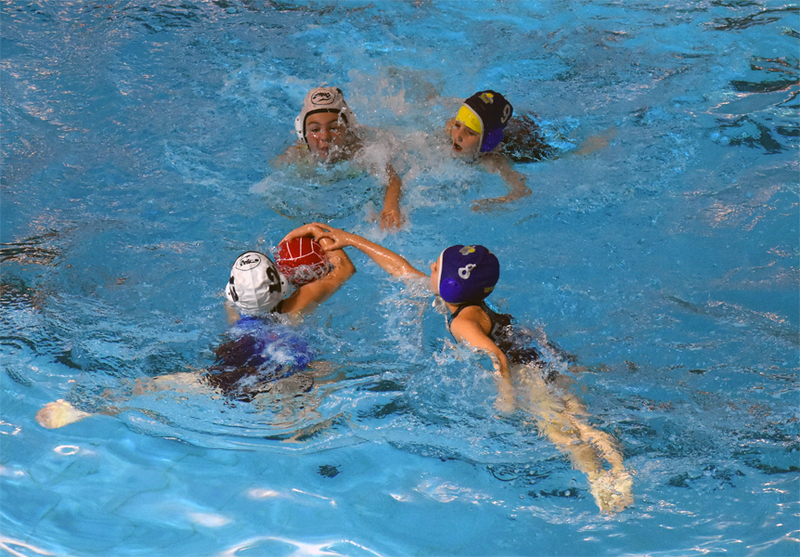 We believe you all had fun and loved the game of water polo. 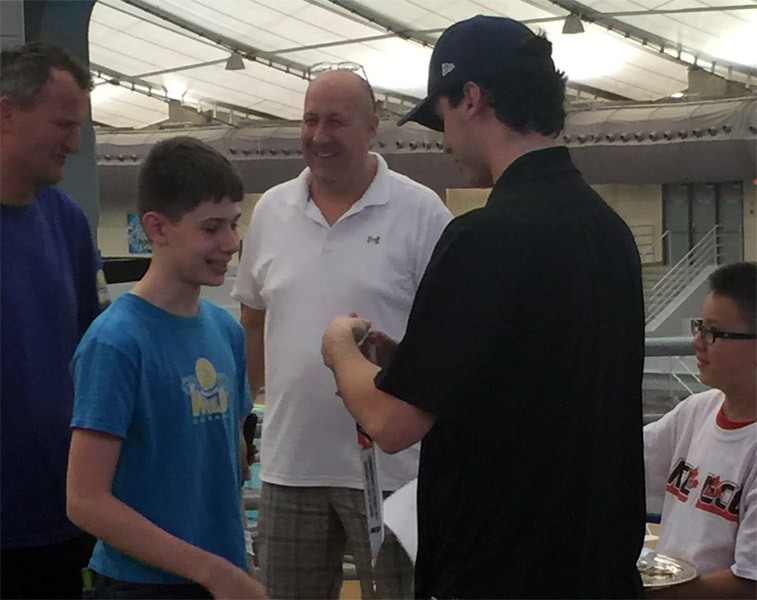 Hope to see you all at the pool deck soon - if you would like to register please - CLICK HERE for more information! 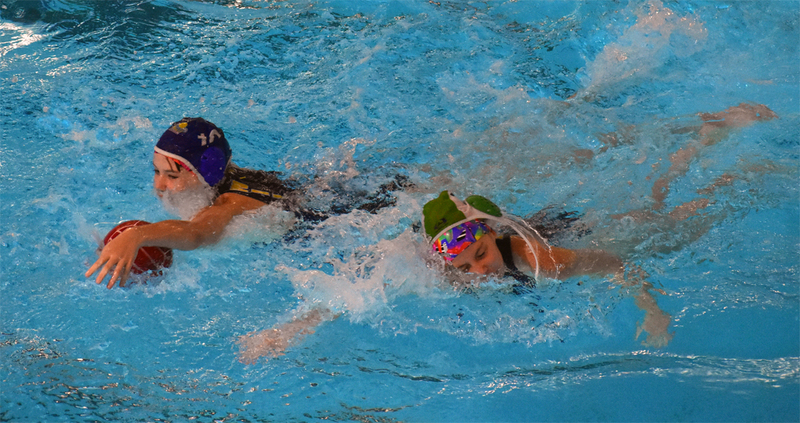 Great start of the season for U12 girls and U14 boys teams! 3 wins in a row for U12 girls on Provincial tournament in Innisfail! 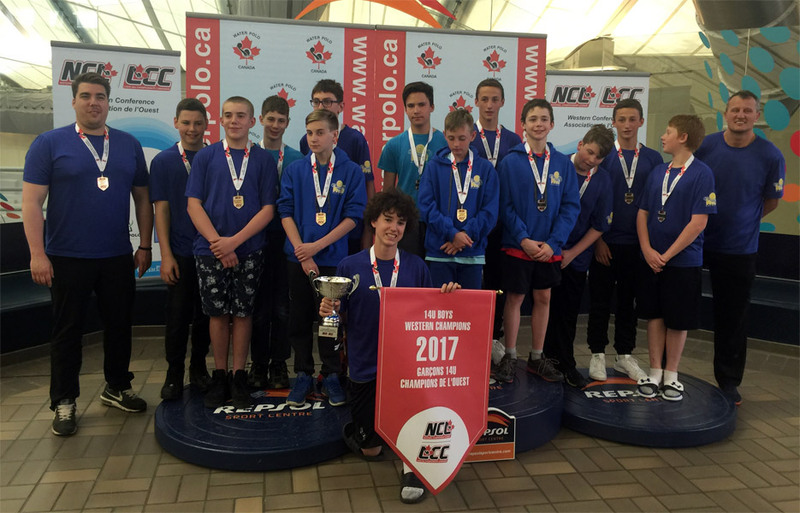 U14 Boys took a win against Seawolves in Repsol Sport Centre on Friday night - check the video link below! Thank you for attending AGM today! 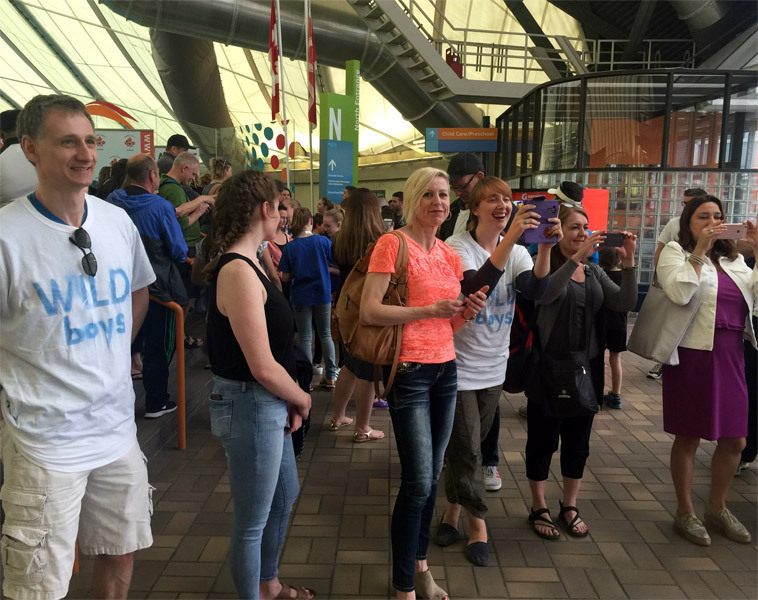 Wild would like to thank all the parents who attended our annual general meeting today at Repsol Centre! New board members have been elected - we wish a warm welcome to Frank (Yu) Wang, Tracey Williams, Tatjana Blanuša and Matthew Rogers! - click HERE to see Wild's 2018-2019 board members and their roles. 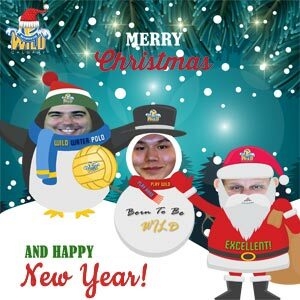 Wild Water Polo would like to express sincere gratitude to our leaving board members Sean Wood and Laura Hartwell for their hard work and dedication to our club! Wild Suit and Shirt Sizes Needed by Friday, 28th! A reminder we need suit sizes provided by this Friday please. Click HERE for the Delfina SIZING CHART. 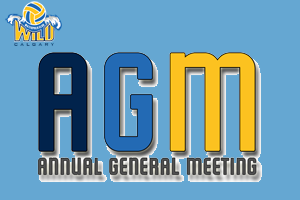 Wild Water Polo will be hosting Annual General Meeting on Friday, October 5th, 6:30-7:30pm in the River Room (above the dive tank). Please mark your presence in the InstaTeam app - if you have not yet signed up for InstaTeam please email website@wildwaterpolo.com. Please make sure to come and if you are considering doing any volunteering it's a great time to sign up! 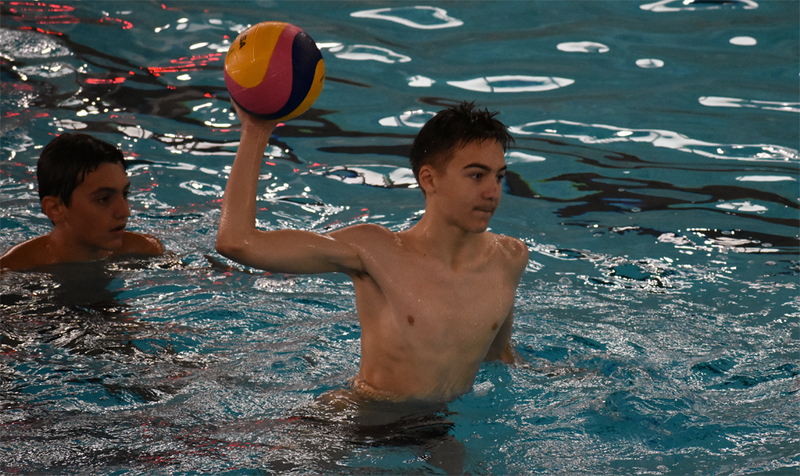 The season is kicking off this week with our older athletes (U19/U16/U14 Boys and Girls) jump in the pool Thursday, September 6th at 8pm. 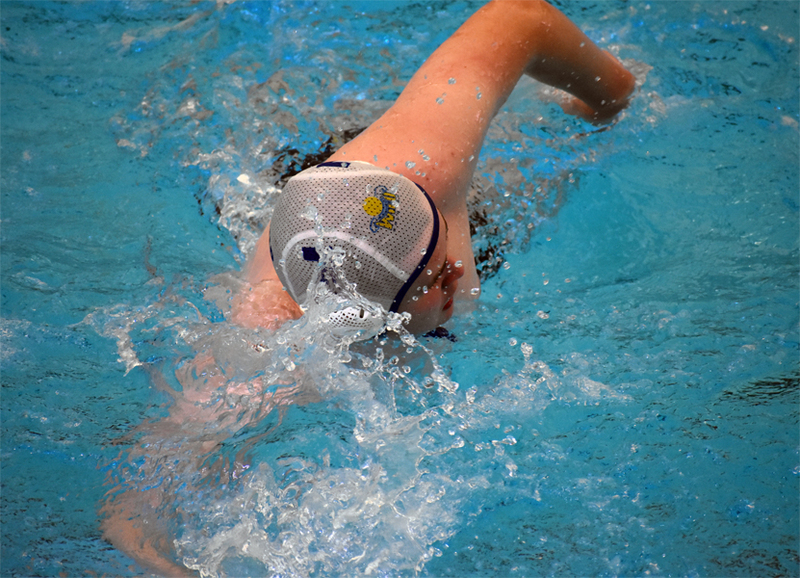 All our other (U14/U12/U10) athletes jump in	the pool on Friday, September 7th at 6:30pm. Our schedule is similar to last season for September - in October we will have some small adjustments - click HERE to see the SCHEDULE. InstaTeam calendar is now up to date for 2018-2019 season events - click HERE to open the 2018-2019 CALENDAR! If you are new to the club please install the InstaTeam application in order to be up to date with scheduling / instant messaging / reminders. 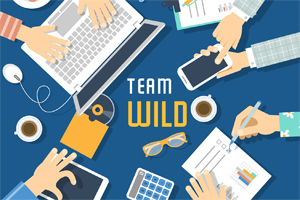 Team rosters for 2018-2019 season are shaping up - there is still time to register and become a part of Wild family! Get yourself familiar with up to date handbook that clearly explains the Wild's organization as well as expectations of its players, parents, the Board, and our coaches. Click on the button below to download the handbook. Wild Season starts on Thursday, September 6th! 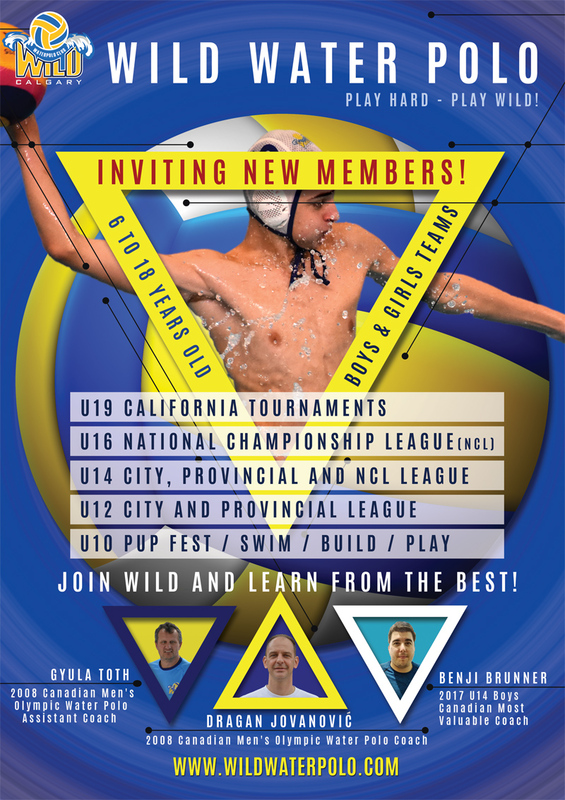 Register now at registry@wildwaterpolo.com to secure your spot for 2018-2019 season or click here to download registration form. Check out Wild's 2018-2019 Registration Promo Video! 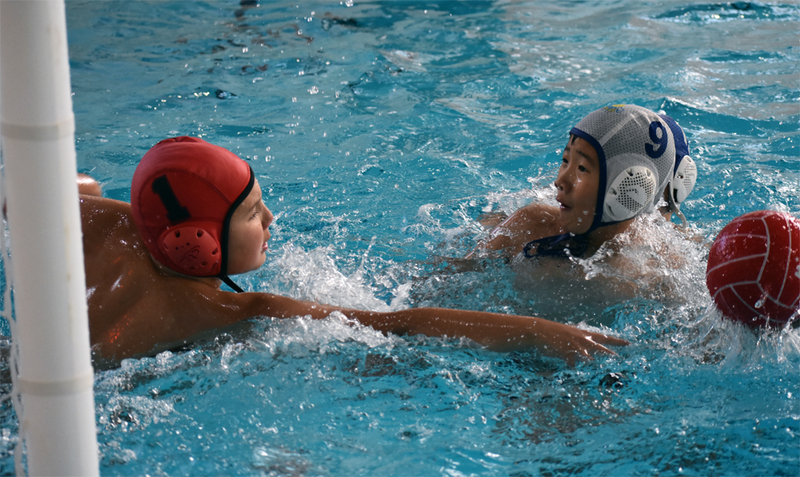 All Sport One Day is the perfect way for children to try a new sport. 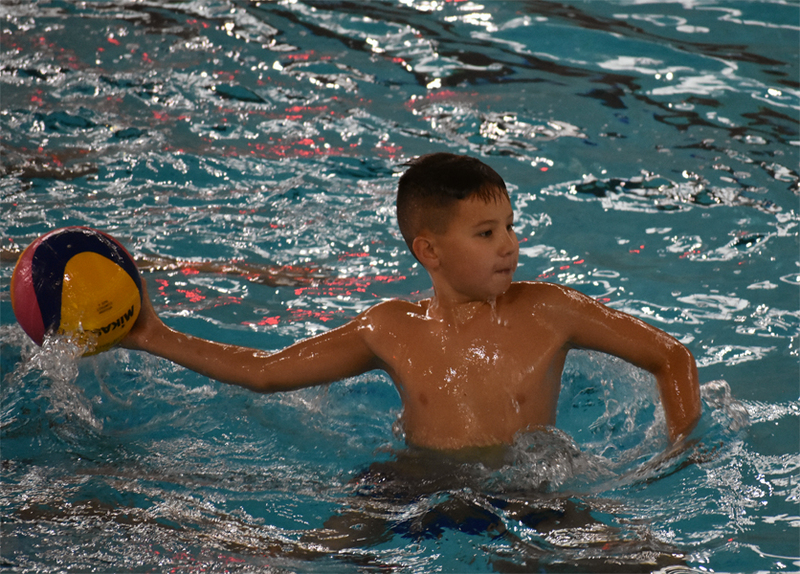 As the only water polo club from Calgary participating in All Sport One Day, we hosted four (4) sessions at Village Square Centre and demonstrated development of basic water polo skills and abilities to children 6-13 years of age. 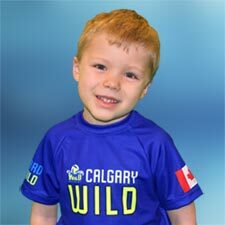 Wild would like thank all the participants, parents, Sport Calgary, our coaches and volunteers who made this event fun and successful to everyone. 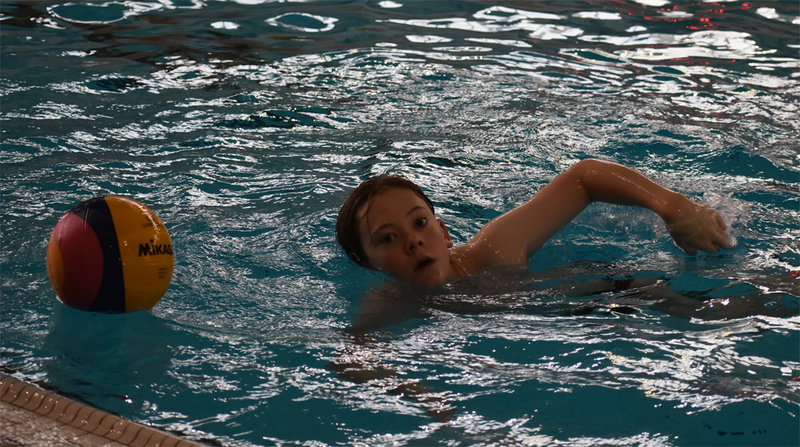 We really hope to see you again in August when our Summer Swim Program will take place - Click here for more information! To register for 2018-2019 season - Please click here. 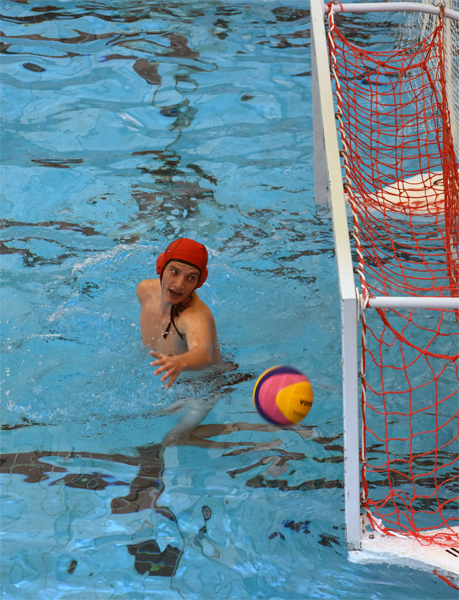 COME TRY WILD WATER POLO FOR FREE AT ALL SPORT ONE DAY! 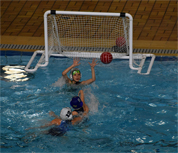 As a partner with Sport Calgary - Wild Water Polo is pleased to offer 4 FREE session of water polo for kids ages 6-13! June 16, 2018 at Village Square Leisure Centre from 10 am - 2:15 pm - four 45 minutes sessions available. Click HERE or the image below to register - spaces are filling fast! From more information on Sport Calgary and 2018 All Sport One Day event please click on our partner's banner below. It has finally happened - game you all have been waiting for! 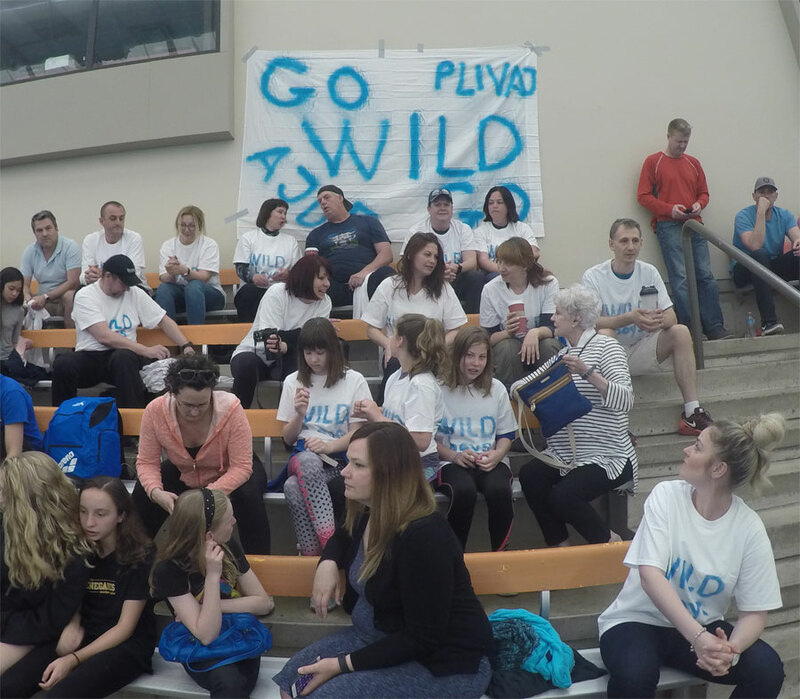 On May 17, 2018 Wild has hosted a fun event - parents / coaches had an opportunity to try competing with our athletes. It was a fun event, and we hope more parents will show up for our next game! See the photos by visiting our FaceBook page (click on the image/link below) and check out the winning goal video! Click here to download video in HD format! THANK YOU for all the parents supporting / participating this event! Our Bottle Drive is coming up THIS SATURDAY MAY 12, 2018. We will NOT be driving home to home asking for bottles. Instead, we ask that you please start collecting bottles from your own home and/or business and any of your friends and family. On May 12, instead of bringing your bottles to the pool parking lot, you can deliver your bags of bottles to the MANCHESTER BOTTLE DEPOT during their business hours of 8:00am - 6:00pm. 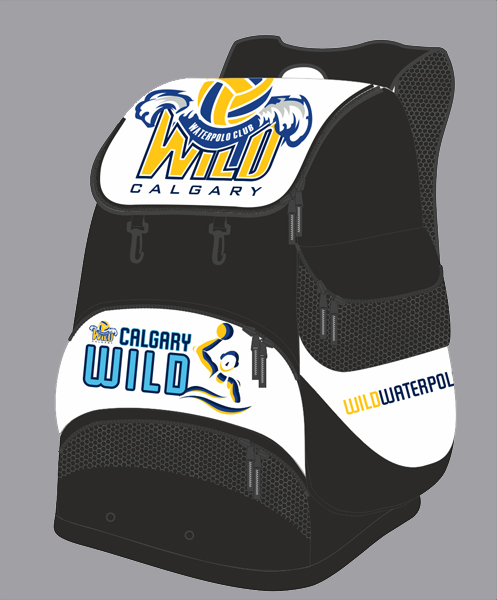 Let them know that you are dropping off bottles for the Calgary Wild Water Polo Bottle Drive. THANK YOU for your assistance in meeting our fundraising objectives for the year. Your cooperation is appreciated. Let the games begin! Wild U14 Boys are in the B group along with Fraser Valley, Prairie Team and Spartans. UPDATE: We will NOT be live streaming consolation games, on Saturday and Sunday. If you don't want to miss next game - please subscribe to our YouTube channel and be automatically reminded. Click the image / button ↓ below or yellow link at the top ↑ to watch the games. 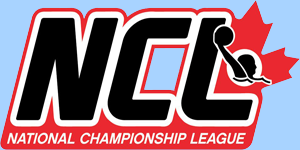 Click here to see full 14U NCL Championships schedule. 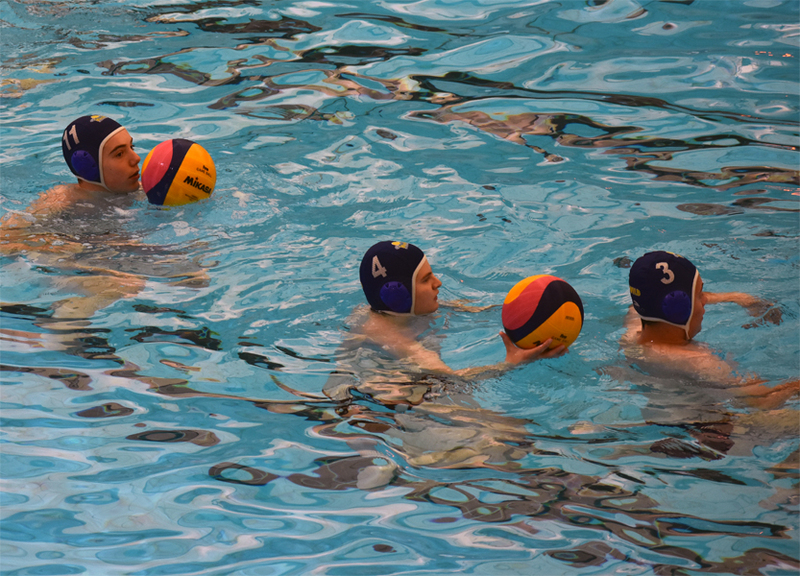 U16 Boys 5th at the WNCL Championship without losing a match! 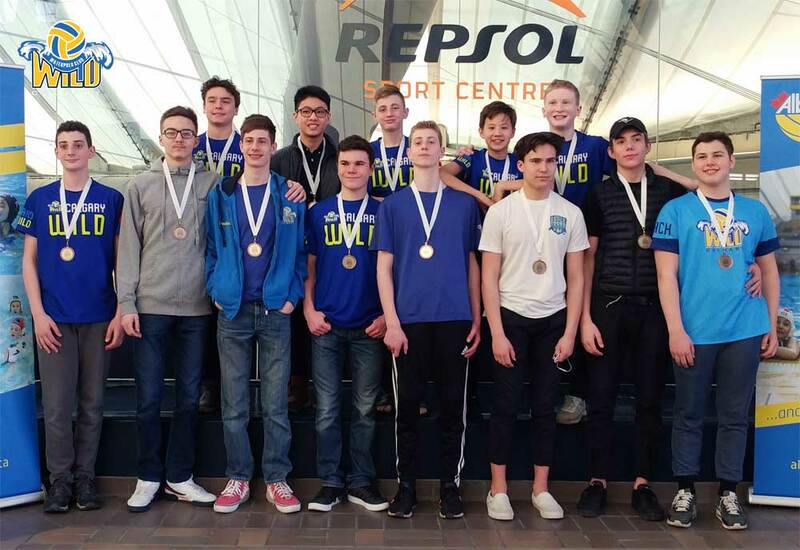 After unlucky opener game (Quarter final) ended in draw (Torpedoes advanced to semi after shootout) our boys won 3 games in a row and claimed 5th place in Western Canada. If you missed the nerve breaking quarter final game (live streamed) - click the link VIDEO below to watch it! Here are the U16 Boys results for WNCL Championship tournament held in Edmonton, Apr 27-29, 2018. Click the button below for more game photos. 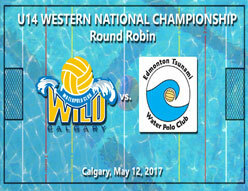 16U Western Conference Championships - Wild vs Torpedoes, Live from Edmonton! 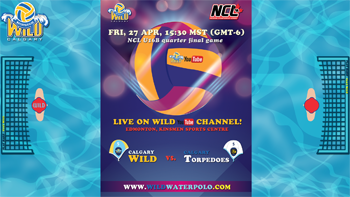 Wild Water Polo will be broadcasting 16U quarter final game on Friday, Apr 27, 2018 at 15:30 MST (GMT-6), from Kinsmen Sports Centre in Edmonton. 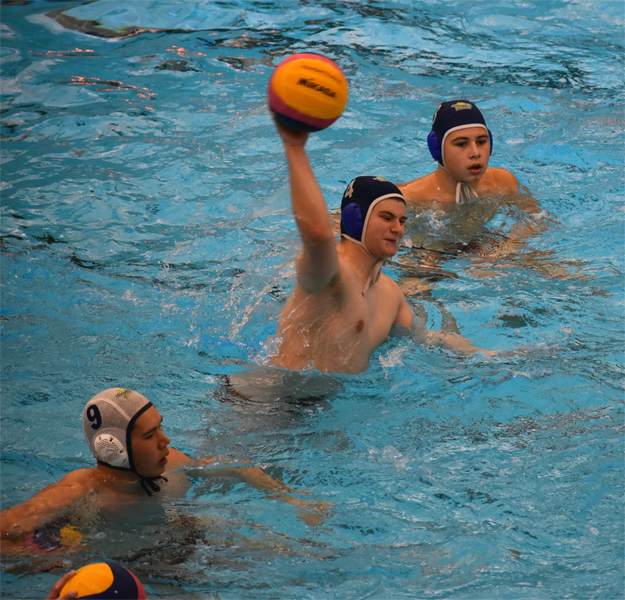 Cheer for our U16 Boys and help them advance to semi-finals. Let's go Wild! Please subscribe to our YouTube channel or keep checking our website to stay in the loop for broadcast of the next 16U boys game. Click here to see full WNCL Championships schedule. 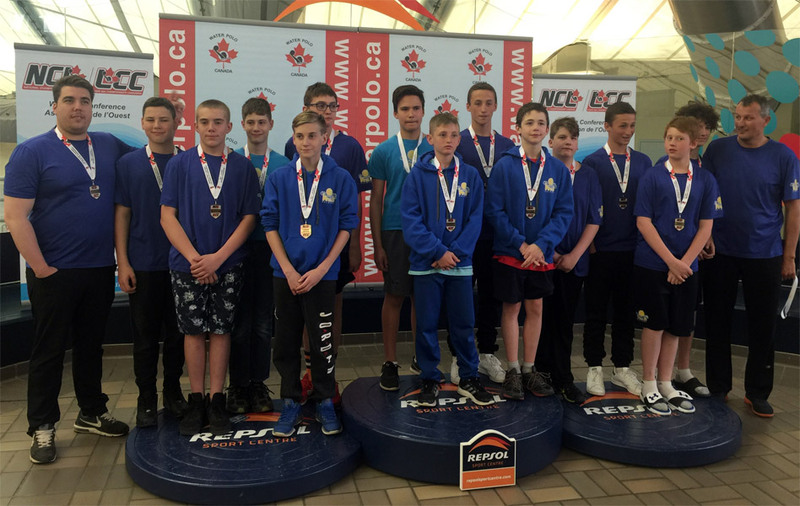 Here are the U14 Boys results for Provincial Finals tournament in Edmonton on Sun, Apr 15, 2018. 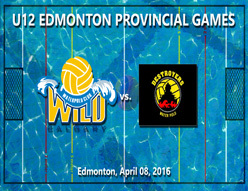 Provincial Finals - Live from Edmonton | U14B Wild vs Tsunami! Wild will be broadcasting quarter final game on Sunday, Apr 15, 2018 at 09:00 AM MST (GMT-6), from Kinsmen Sports Centre in Edmonton. 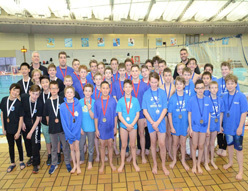 Our U12 Boys / Girls and U14 Boys will try their hardest to get to the medal podium in the Provincial finals! 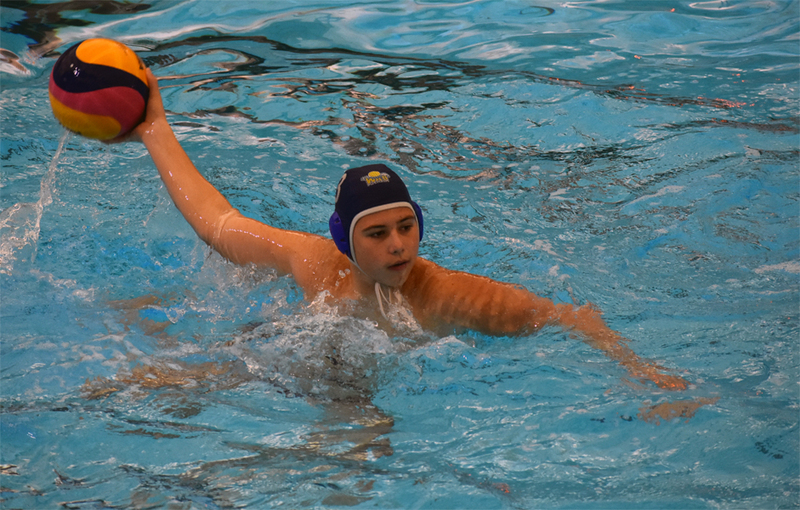 Tune in to Wild Water Polo Channel on Sunday to cheer for our U14 Boys and help them advance to semi-finals. We will post links to other two games after completion of quarter-final game - please check our website on Sunday for updates. Go Wild Go! Click the button ↓ below or yellow link above ↑ to watch the game. 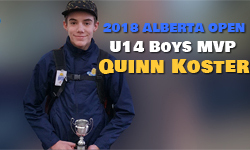 Wild's Quinn Koster is 2018 Alberta Open U14 Boys MVP! 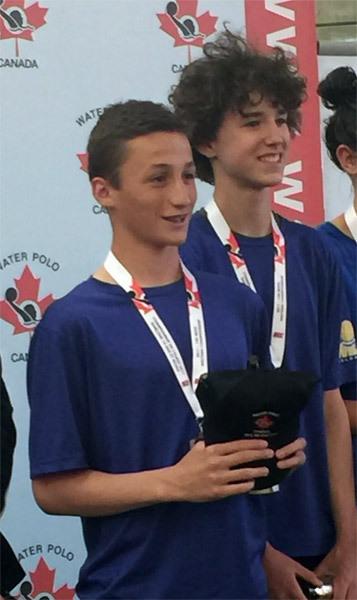 Wild Water Polo Club would like to congratulate Quinn Koster who received U14 Boys most valuable player (MVP) award at the 2018 Alberta Open Tournament held in Calgary past weekend. 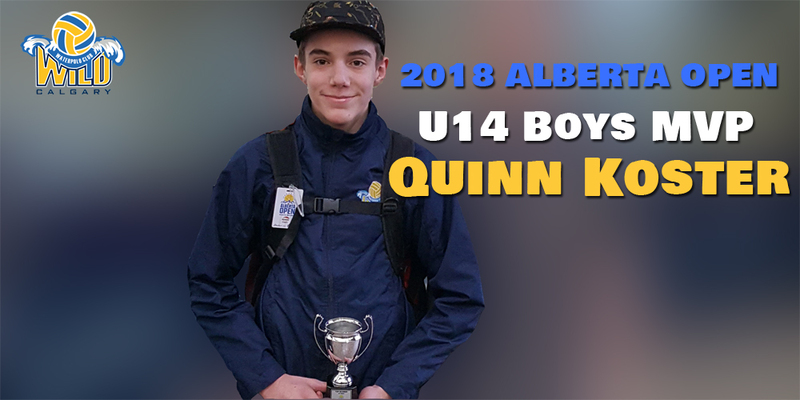 Quinn has been most consistent player this season leading Wild U14 Boys to many victories. Keep it going Quinn! 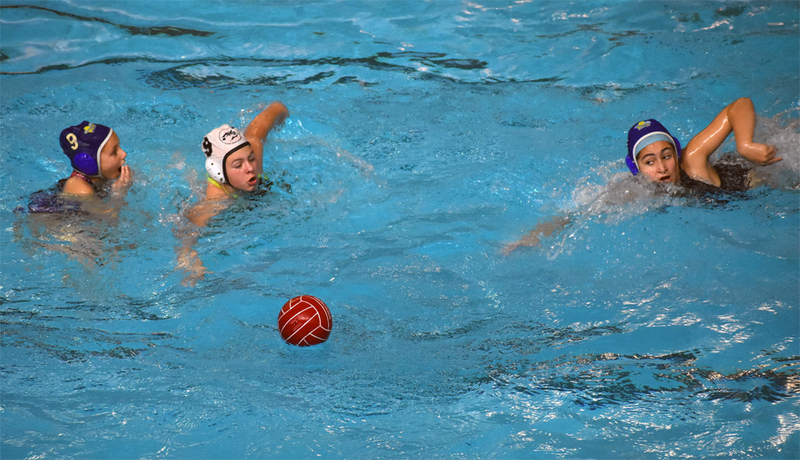 NCL U19 Boys vs Fraser video added to Wild's YouTube! 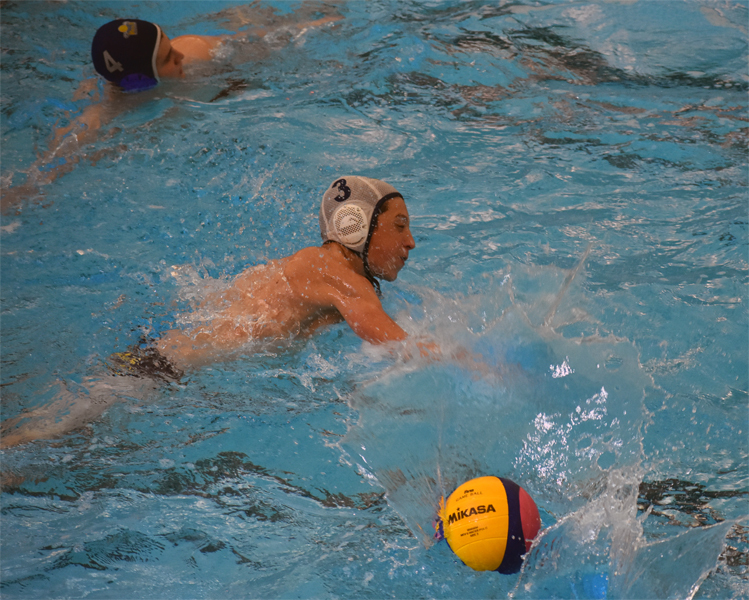 Watch the full game our U19 boys played vs Fraser Valley during U19 NCL weekend held in Calgary, on Sat, Mar 17, 2018. 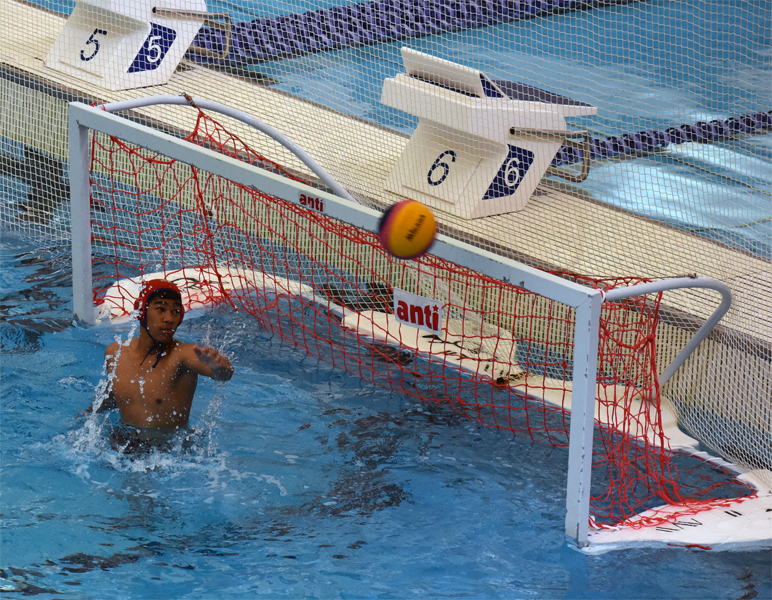 If you want to experience water polo in its fullest - this would be it! Click the image / button ↓ below or yellow link above ↑ to watch the game. 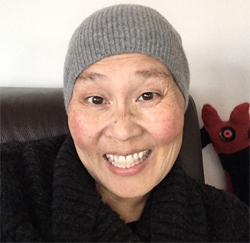 With the heaviest of hearts Calgary Wild Water Polo informs you of the passing on March 3 of one our water polo family members, Elana Chin. 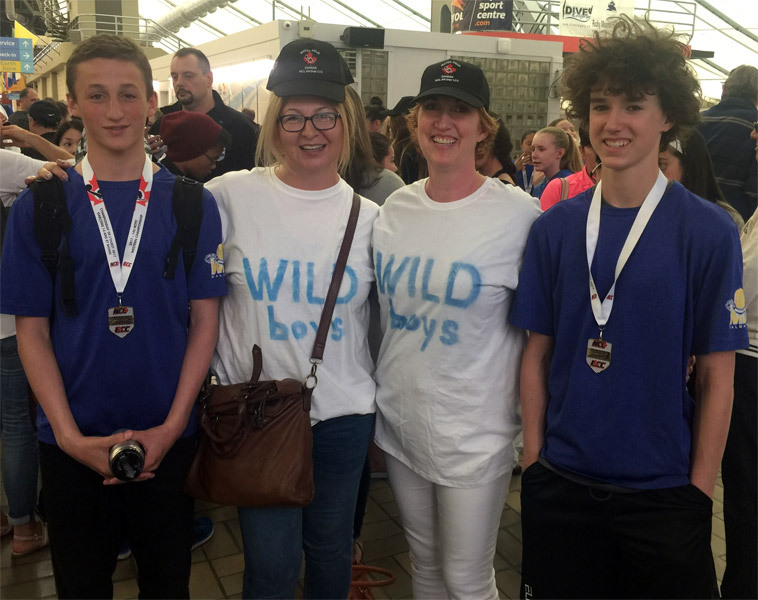 Elana was the beloved wife of Wild's longest serving dedicated board member, Sean Wood, and the mother to Noah (Wild U19 Athlete and U10 Coach), Rhianna (previous coach and athlete with Wild and Calgary Renegades) and Tristan (also a Wild athlete alumni). Elana's warm heart, endless smile, generous laugh and velvety voice will be greatly missed by our community. 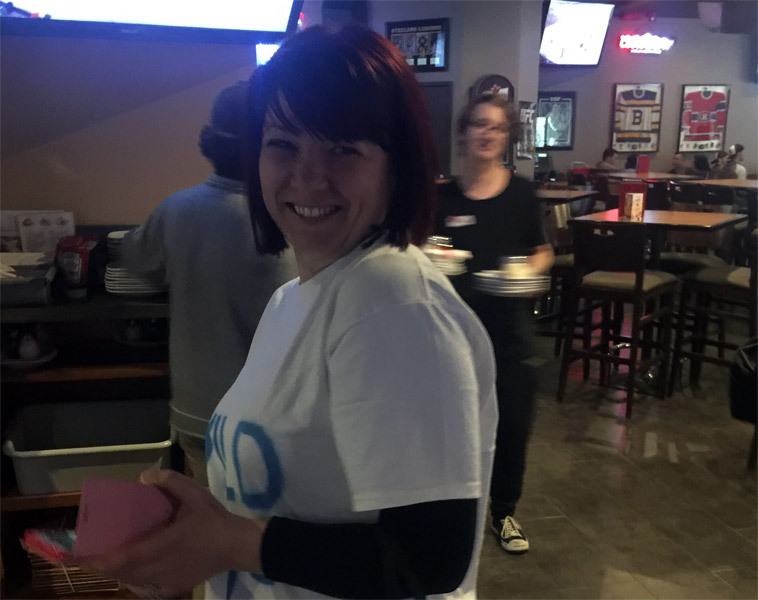 She was our club 'Mom' and an enthusiastic volunteer parent. She had so many talents and one that she shared generously was her passion for cooking. Elana used her kitchen to show kindness, particularly as an 'all star' hospitality room host at many water polo events. 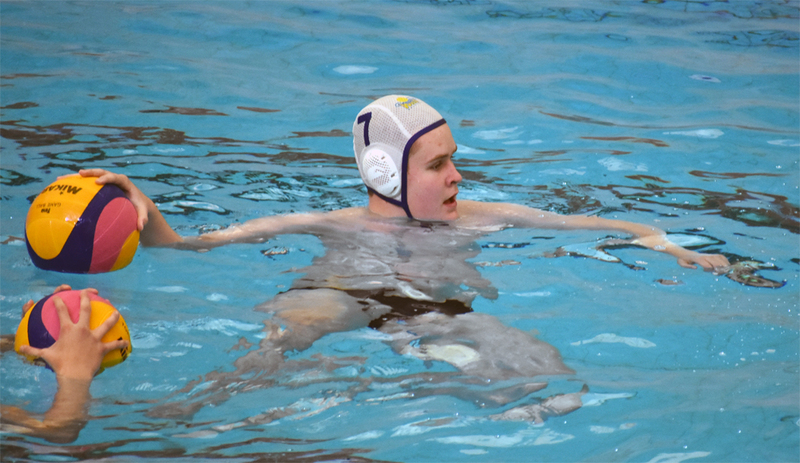 As we participate in the Alberta Water Polo Open on Mar 15-18, we will endeavor to honor Elana's volunteer spirit! for the details as they become available. So many of you have asked what you can do to support Elana's family. 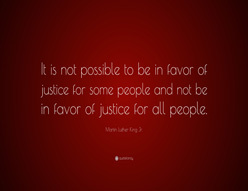 May we suggest that you honor her beautiful spirit by paying forward her kindness to those around you. New gallery 'Being Wild' has been added to our FaceBook page! Check out U14 Boys, U14 Boys Enhanced, U17 Girls and U16/U19 Boys group photos from a recent photo session. U14 /U12 Tournament of Courage Starts Jan 26, 2018! 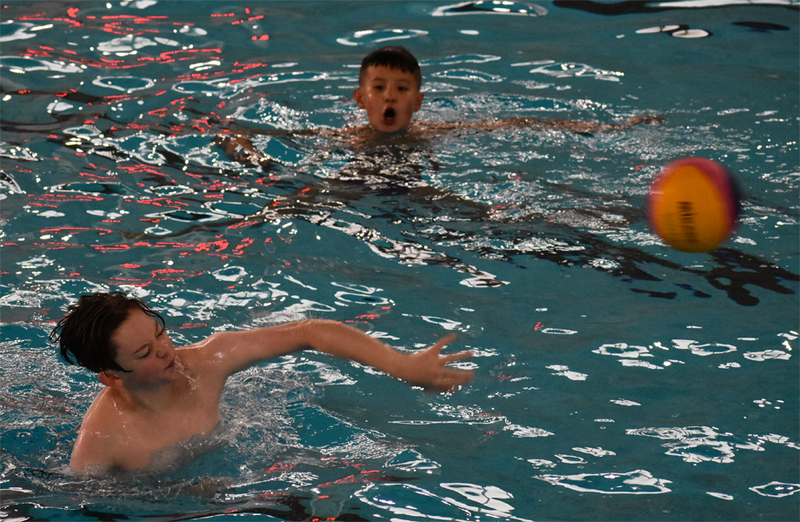 Higlights from Try Water Polo Session! 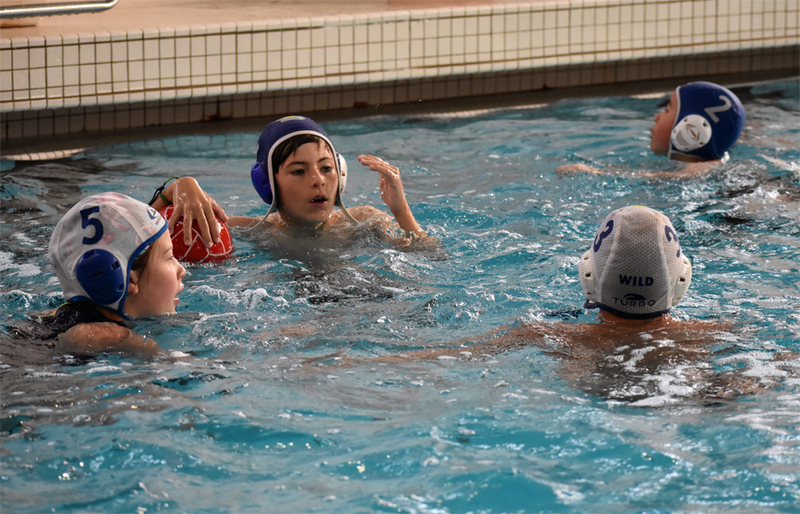 Wild Club wants to say a big THANK YOU for all boys and girls who showed up for our try water polo session. It was fun and learn event, and we believe you enjoyed it. We certainly hope to see you all very soon at the pool deck! Click on the link or photo above to see video highlights in 4K. To access photo gallery please click on the button GALLERY below. 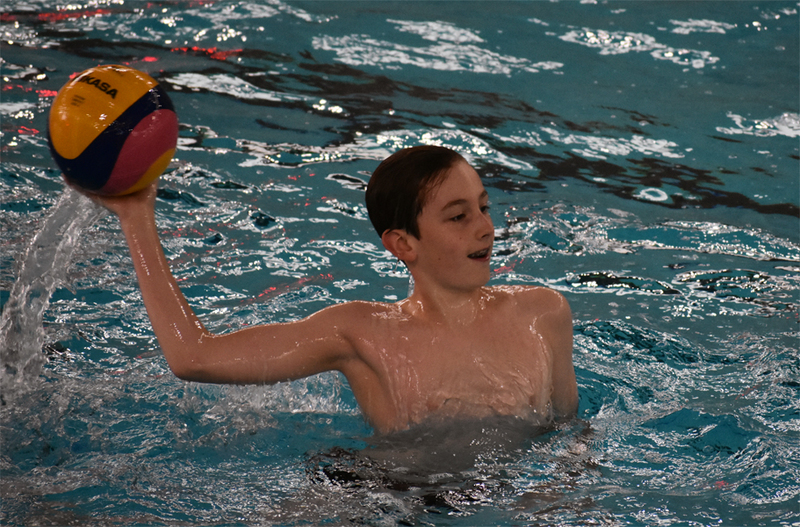 Try Water Polo Session, Dec 15, 2017 - ALL WELCOME! 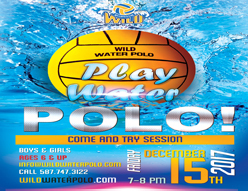 Please join in Wild Come and Try Session, Friday, December 15, 2017 from 7-8 pm, at Repsol Centre. 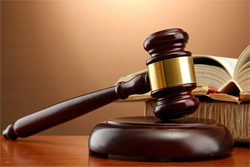 Should you require more information please click on the button below to contact us! CONTACT Live from Edmonton on Wild YouTube Channel! 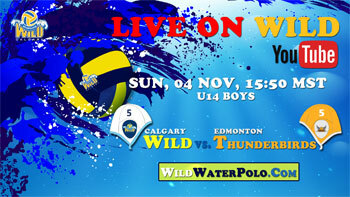 We will be live streaming U14 Boys Wild vs Thunderbirds Game from the Edmonton Invitational Tournament. 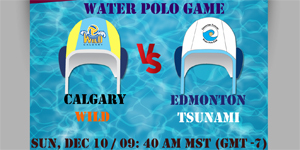 Tune in on Sunday, Nov 19, 2017 at 12:05 PM MST on our YouTube channel @wildwaterpolo. Check out Wild promo video for the live coverage by clicking on the image or button below. 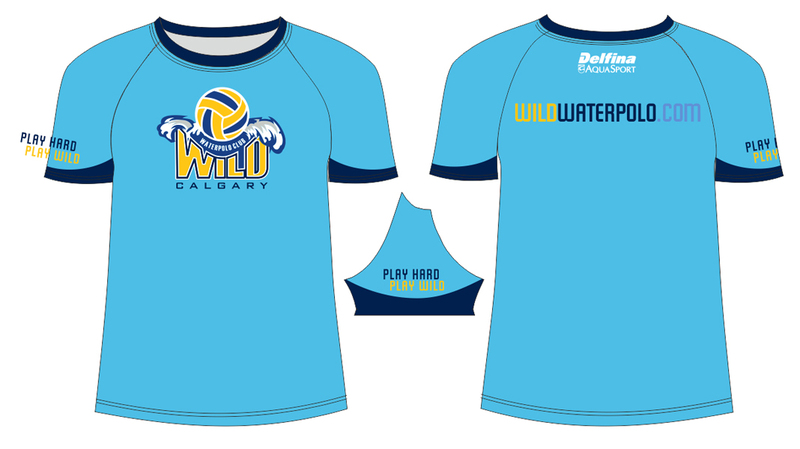 Wild Apparel Order - due Friday Nov 17th! Hello Wild! We will be placing an order on Friday, November 17th for any additional suits and shirts (orders take 4 weeks to arrive). Parents/athletes/coaches/supporters are welcome to purchase a shirt ($35), suit (boys $41 / girls $81) & backpack ($120) - cost includes tax & shipping. All orders must be paid in advance of ordering. Our bookkeeper will email you for payment (cheque, visa or e-transfer). Shelby will be at the pool all this week with the backpack so you can look at it. Click on the picture above to see more photos. Click the button below to see the shirts/suits sizing chart. SIZING CHART Wild vs Destroyers Video on YouTube! 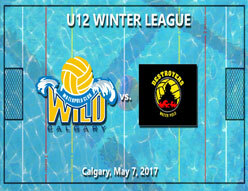 Check out our first video of the season 2017/2018 | U14 City League Game | Wild vs Destroyers. Starting lineup, scorers - assistants, game statistic - it's all there! Please subscribe to our YouTube channel to stay up to date on our newest videos. 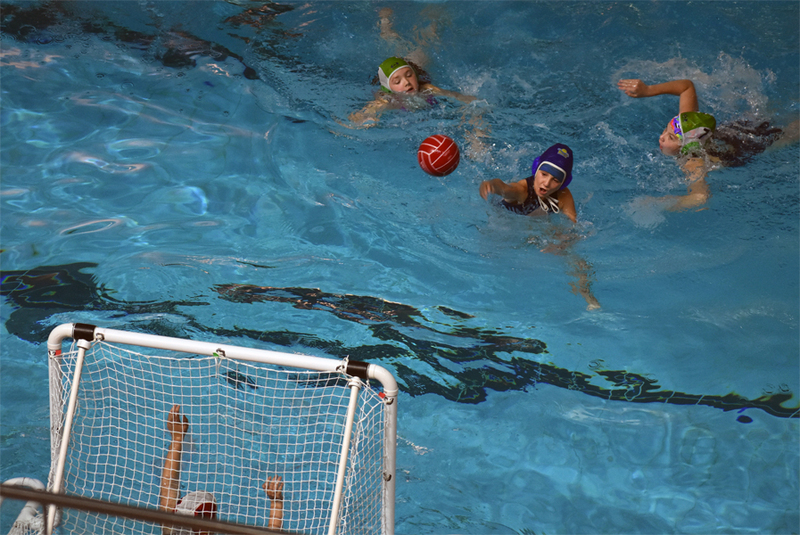 We are calling all boys and girls aged 6 and up to try great sport of Water Polo. Please join us for a fun and inspiring event! Friday, November 10 and Friday, December 15, 2017 from 7-8 pm, at Repsol Centre. 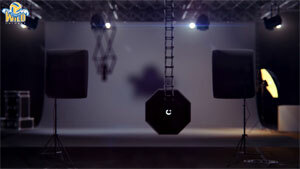 Promo video is coming soon! New Promo Video | 2017-2018 Registration! Wild players Luka Jeftić and Thomas Dunlop were announced Best Defensive Player and Best Goalie of the 2017 WNCL! 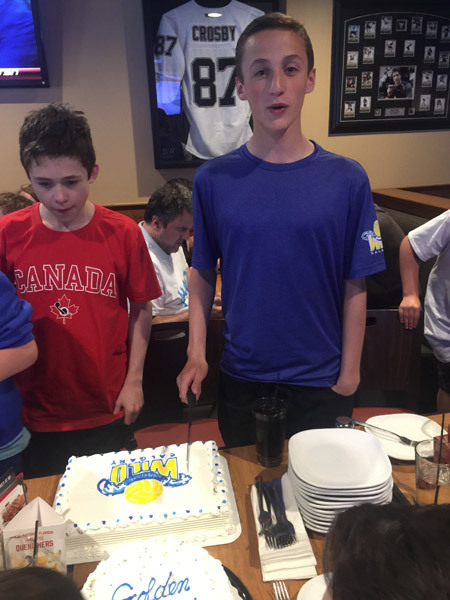 Wild Water Polo Club would like to congratulate both Thomas and Luka for their achievement and wish them more awards in the upcoming years. Enjoy their best plays from 2017 Western National Championship Finals. Please click below for video presentation. As a player, he evolved as a goaltender through the national team programs for 9 years from youth to senior. 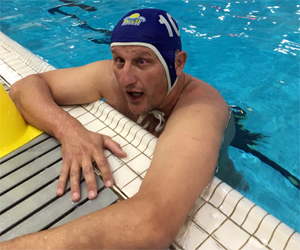 After retiring from playing in 2011, he turned his attention to coaching ; assisting the head coach with Wild Water Polo, Renegades and AWPA youth team, head coaching the Calgary Seawolves and Vancouver Island Water Polo as well as running his own skill camps in both B.C and Alberta. 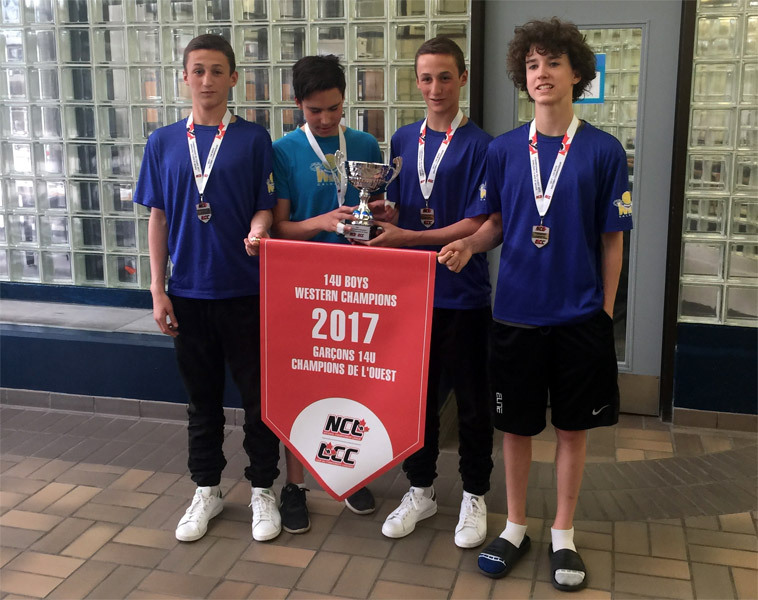 Wild defetead Fraser Valley in Western National Final to claim Western Championship! Game video is finally live on YouTube! Please click on the link below to watch the video or go to our Media library. 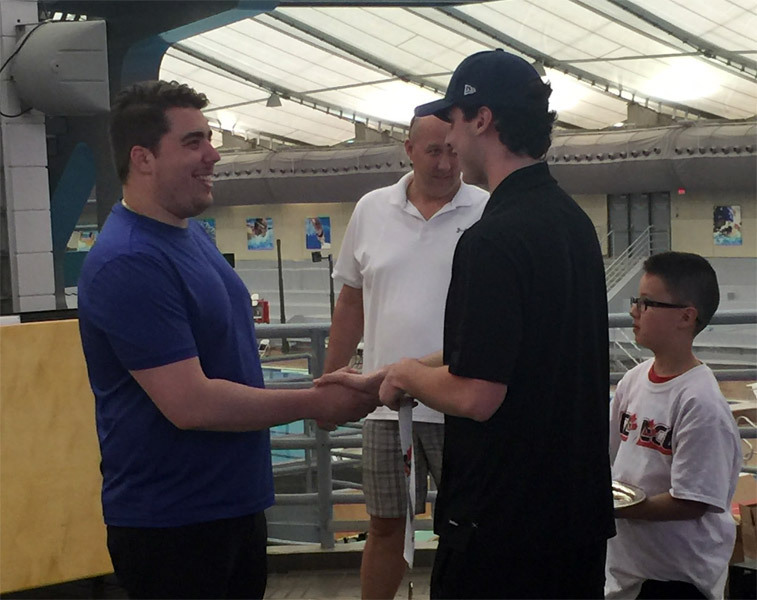 Wild Water Polo Board is pleased to announce Memorandum of Understanding between Wild Water Polo Club and Seawolves Water Polo Club. 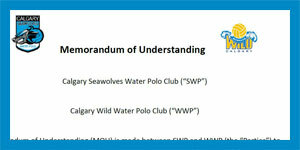 Memorandum of Understanding (MOU) is made between Wild Water Polo Club and Seawolves Water Polo Club to provide a developmental partnership and framework for all levels and competitive intentions of water polo athletes from the ages of six to nineteen in and around the city of Calgary, and to enable better collaboration between the Parties with respect to the development of the sport of water polo in the Calgary community. Please click on the link below to read the memorandum of understanding. Wild Water Polo Club would like to wish Merry Christmas and Happy New Year to all of our athletes, parents, supporters and friends. May it bring you joy and happiness during this holiday season and throughout the New Year. 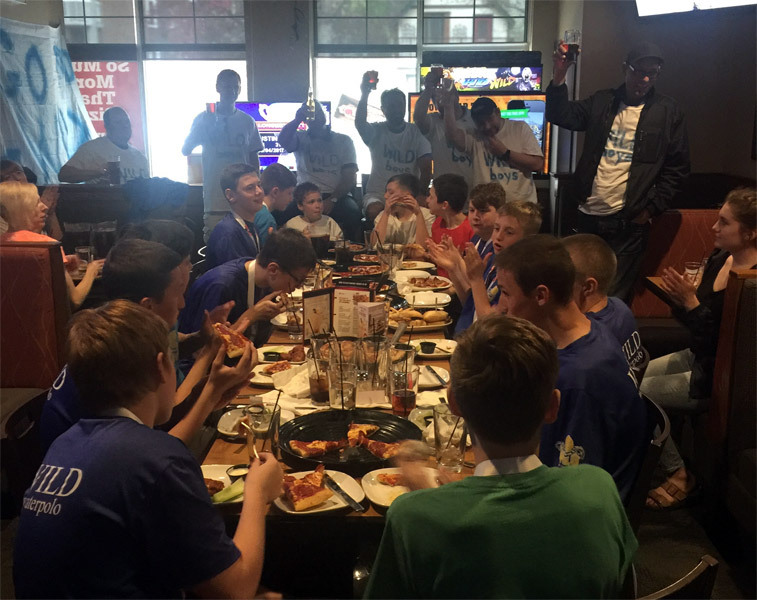 U14 Boys Wild vs Destroyers video highlights in 4K! 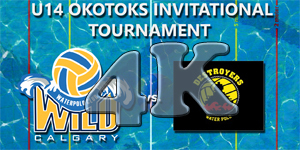 Watch the highlights from Okotoks Invitational game vs Destroyers played on Dec 10, 2017. Click the image below to enjoy video in 4K resolution. 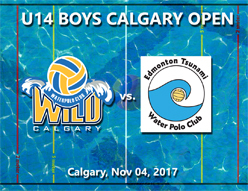 Live from Okotoks on Sunday | U14 Boys Wild vs Tsunami! Sunday, Dec 10, 2017 at 09:40 AM MST (GMT-7), from Okotoks Recreation Centre. It will be an exciting game - don't miss watching our athletes playing vs Tsunami. Go Wild! 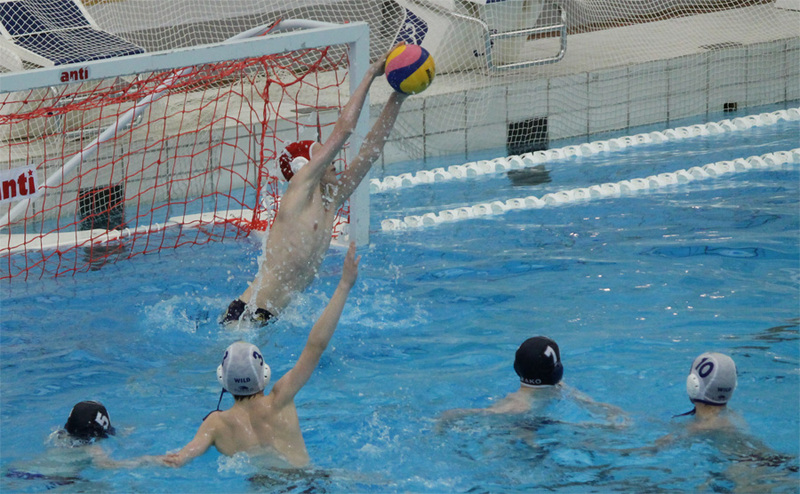 NCL U16 Boys Games - watch on WPC YouTube! 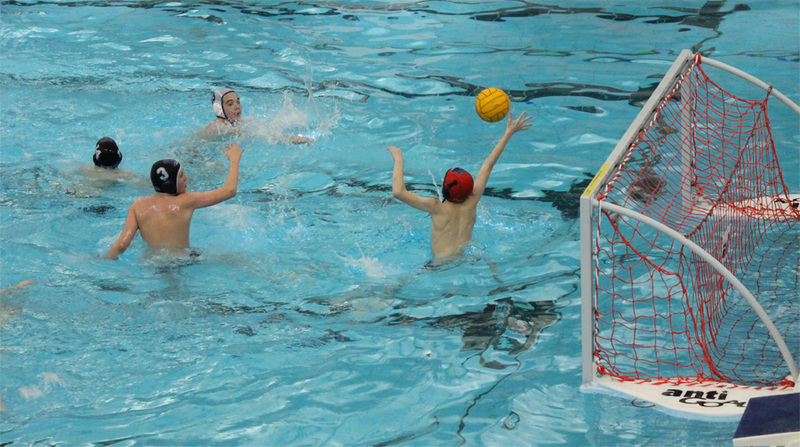 Check all U16Boys games from NCL held in Surrey, BC. Click on the on the image or button below to watch the games. U16 Boys vs Torpedoes video (in 4K) added to YouTube! 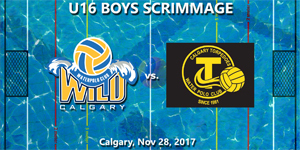 Check out the highlights from U16 Wild Boys vs Torpedoes scrimmage played on Tue, Nov 28, 2017. 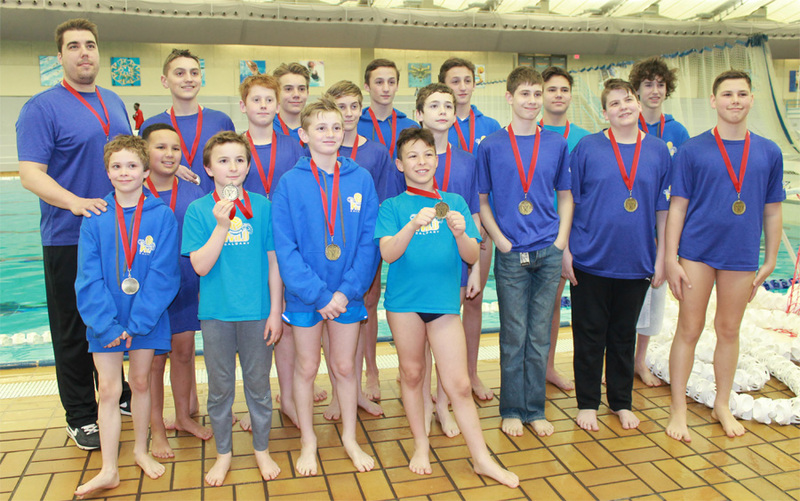 Good luck guys at NCL games in Surrey, BC! Go Wild Go! Click links below to enjoy first and second half of the game. 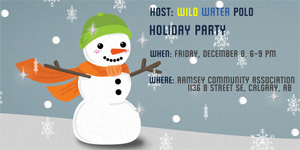 Wild Water Polo is hosting holiday party on Friday, Dec 8, from 6-9 PM. Please join us in fun event of ice skating and sleding! Could you please RSVP to your email invite (Evite) ASAP. 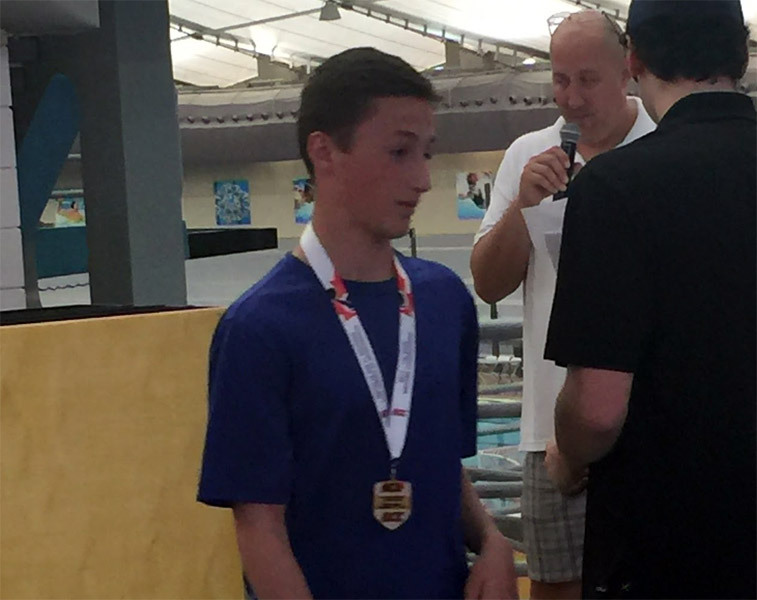 Edmonton Invitational Videos Added To Our YouTube Channel! Check out two newly added videos (wins vs DestroyerZ and loss vs Mako) from Edmonton Invitational held on Nov 19 th, 2017. Click the links below to enjoy the games. Go Wild! Explosive action all the way! 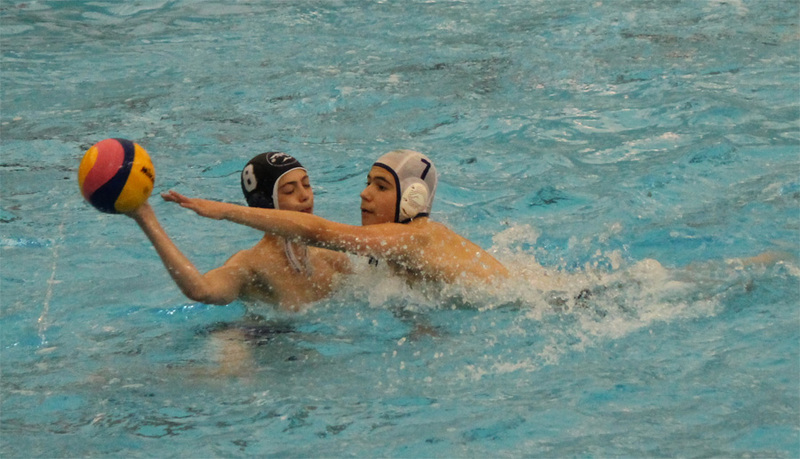 Guns, torpedoes, cannons, missiles, nets in one exciting water polo game. Kudos to Torps players for a fair play game. 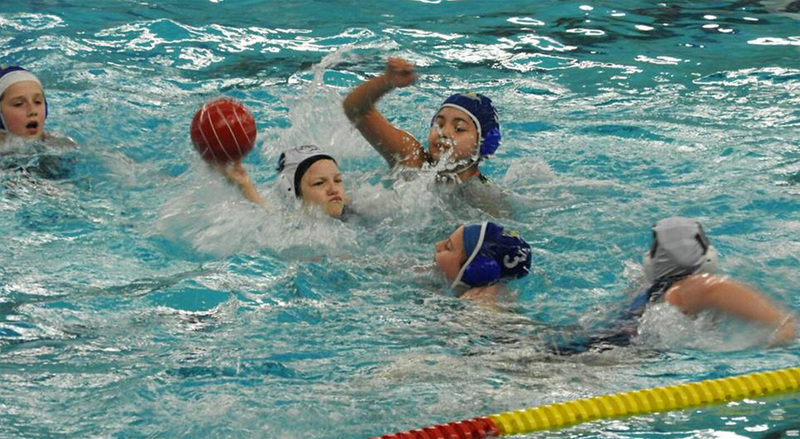 New gallery 'U14 Girls Wild/Polominos vs Tsunami' has been added to our FaceBook page! 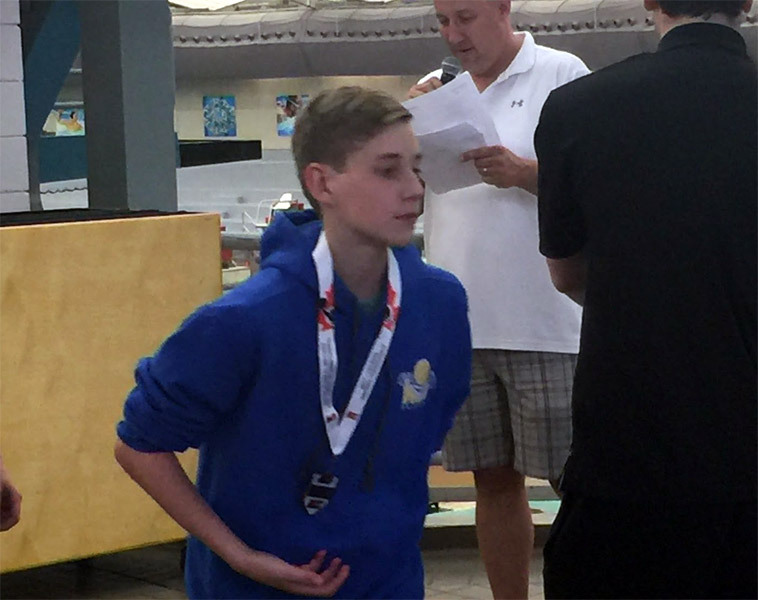 Check out the action from Edmonton Invitational Tournament, held on Nov 18-19, 2017. Click on the image/button below to access the galery. 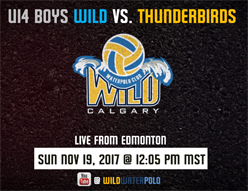 LIVE TOMORROW | U14 Boys Wild vs Thunderbirds! Sunday, Nov 19, 2017 at 12:05 MST (GMT-7), from Kinsmen Sports Centre in Edmonton. Don't miss the action - watch the game and show your support to our club. ← See the promo video on the left. Harding's - Your Improvement Company | Our New Sponsor! Harding's - famous for their "Peace of mind" painting and other home /business services. Harding's has been serving Calgary and surrounding areas for more than 20 years. 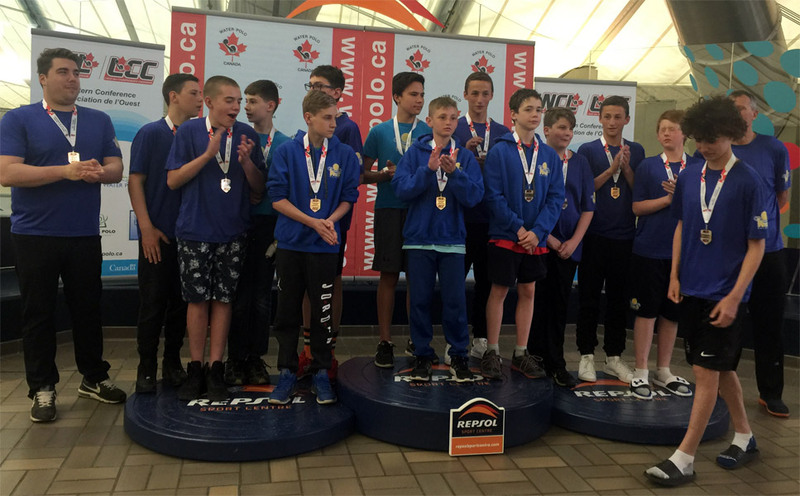 U14 Boys Calgary Open Games Videos Added! Two new videos (wins vs DestroyerZ and vs Tsunami) from Calgary Open Tournament, held on Nov 4th, 2017, have been added to the Media Library. Click on the links below to enjoy the games. 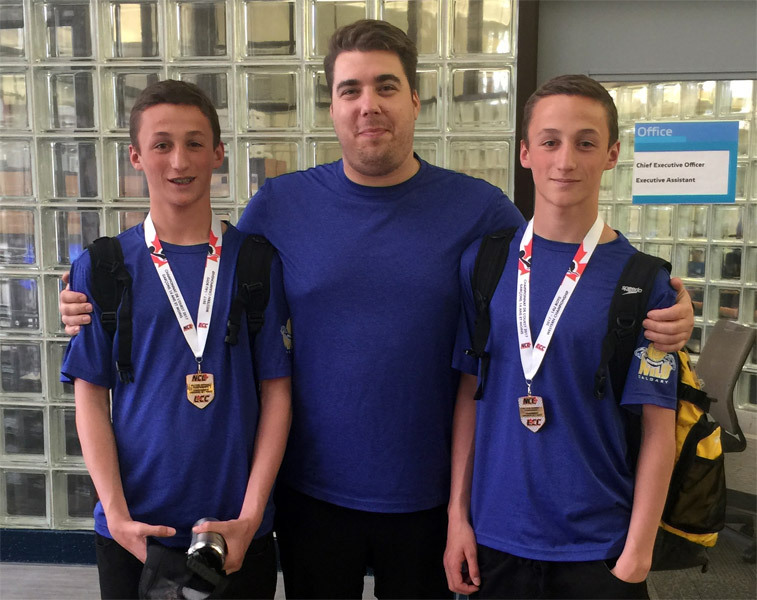 Two wins - one loss for U14 boys at Calgary Open! In the first game of Calgary Open Tournament our boys tried the best against mighty Seawolves team but were unable to break their excellent defense. 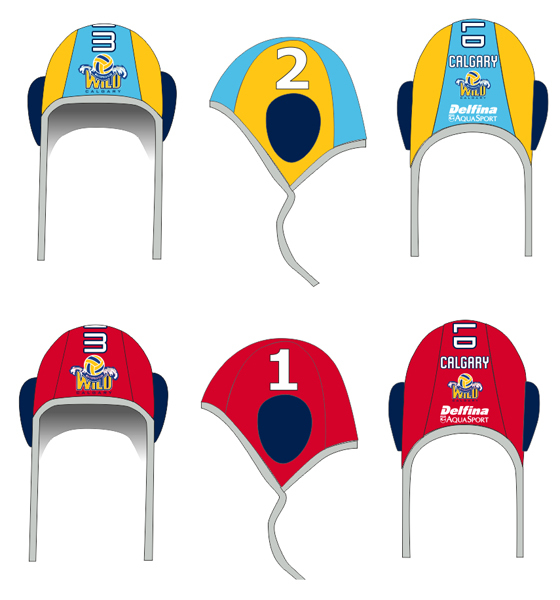 Hats off to the whole Seawolves team! We hope you enjoyed our live stream - we will try enhancing the whole experience in the future. In the second game our guys showed great team spirit and won over always tough opponent DestroyerZ - good defense prevailed at the end. 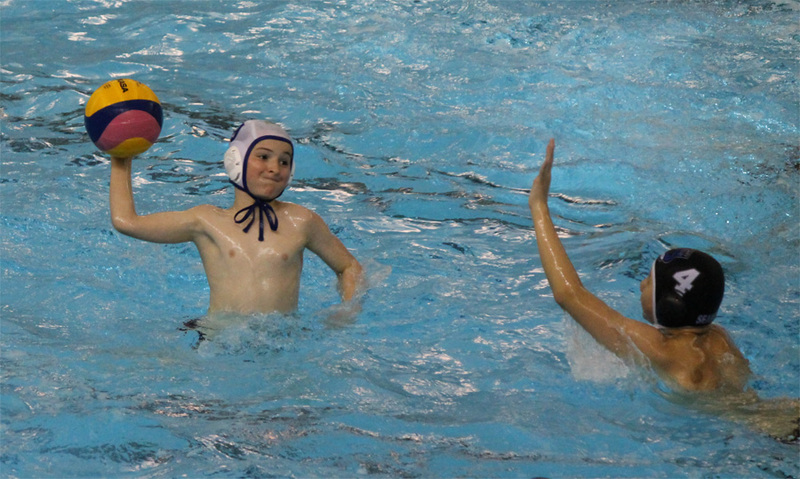 Edmonton Tsunami tried hardest in the third game but Wild boys managed to win - great job guys! Young combined Wild/Polominos U14 girls team girls could not keep up to more experienced teams and lost all three games at the end. 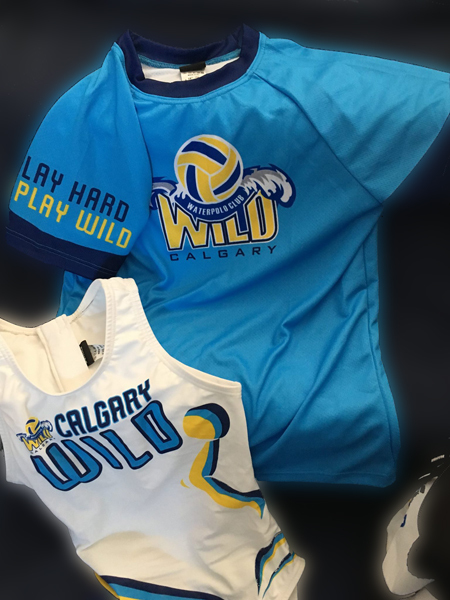 Wild streams two games at Calgary Open tomorrow! 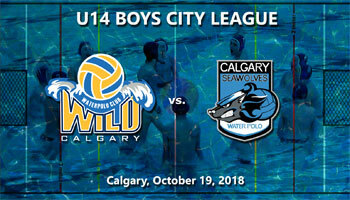 U14 boys game Seawolves vs Wild, starting at 11:55 AM. 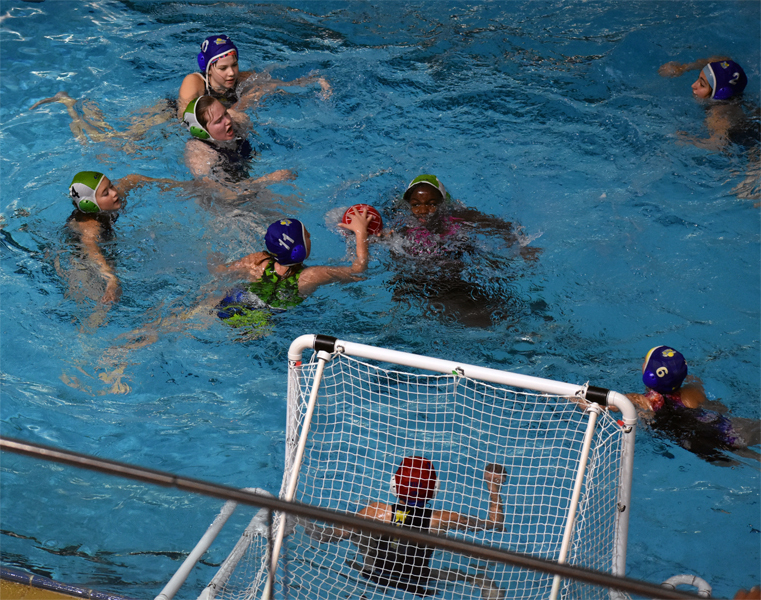 U14 girls game Dolphins vs Wild/Polominos at 1:35 PM. 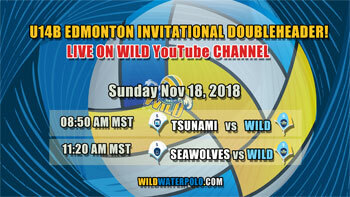 Both games will be broadcasted on the Wild YouTube channel - click on the button below for more information. 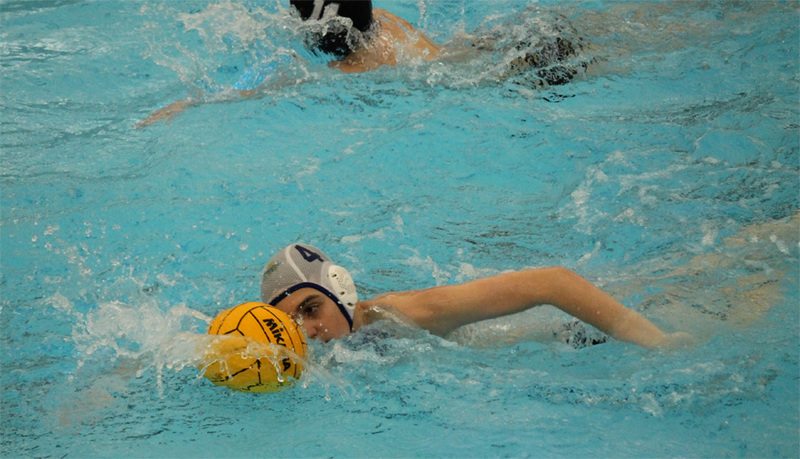 Tune in on Saturday to show your support for great game of water polo! Pup Festival tomorrow at Shouldice Pool!!! 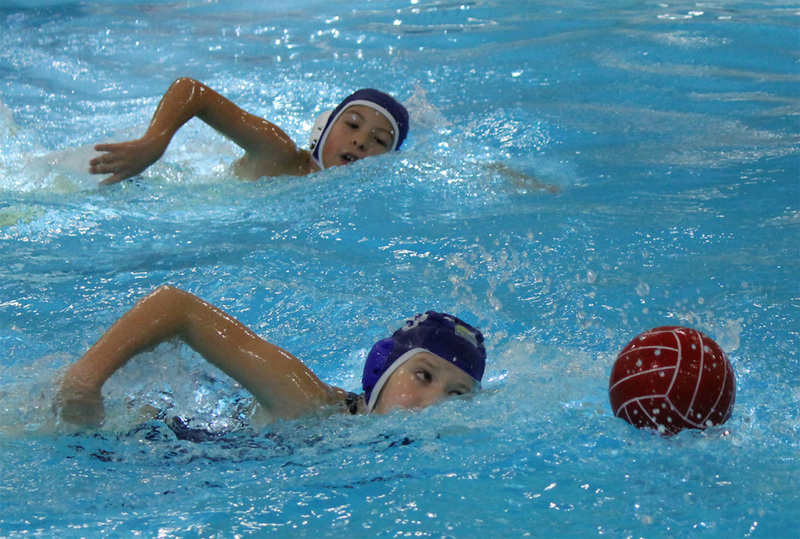 Our U10s boys and girls get to show off the skills they've been working hard on for two months. 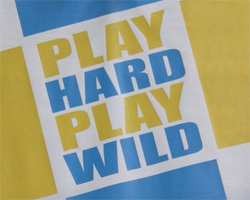 Good luck guys and don't forget to Play Hard - Play Wild! 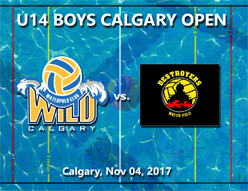 Calgary Destroyers 'sunk' by U14 Wild boys 'heavy artillery'! U14 boys played excellent defense to open season with a win 25:8 vs. Calgary Destroyers. 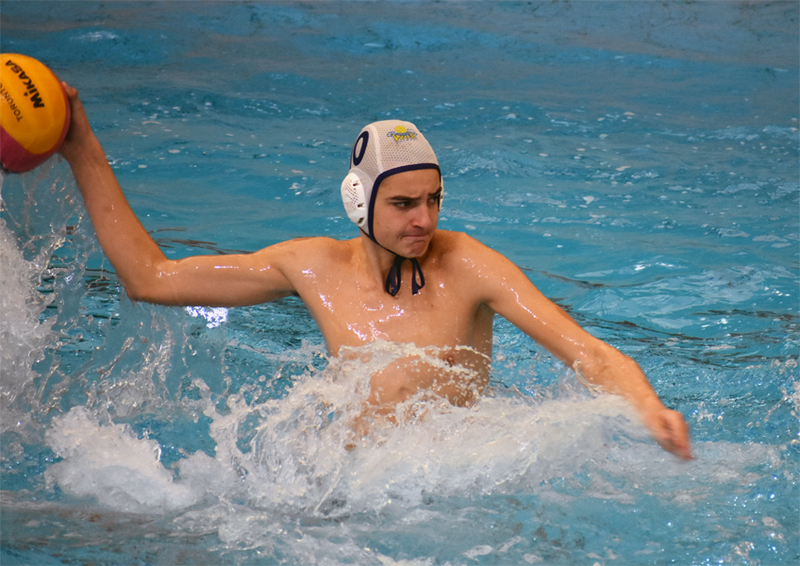 Aleksandar Škorić was simply unstoppable in scoring while Quinn Koster orchestrated the game. Excellent goal keeping by Marko Djuza - game video link below! 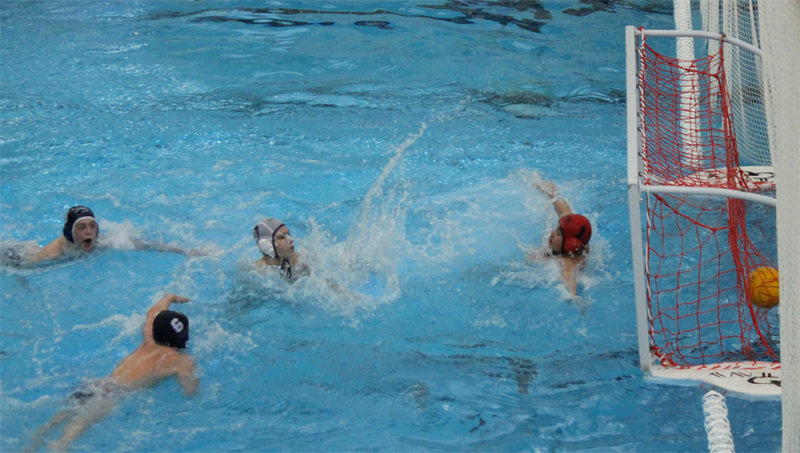 U17 girls did their best but ended up losing against Mako. 2 wins and 1 tight loss for U12 girls. Keep it coming girls! U12 boys showed great effort but lost all 3 games - more luck next time! President Message - Wild Season 2017-18 is Underway! We're over a month into the 2017-18 Season and things are looking great! 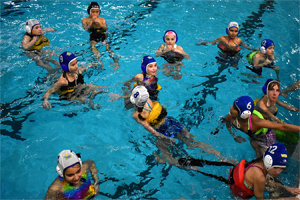 Our Pup team has grown from last year and we have lots of eager, hardworking boys and girls in the pool. We have our first Pup Fest coming up October 28th. Our U12s just had their first City League games, which always means the season has officially begun! This year we're excited to continue to work with the Polomino girls. 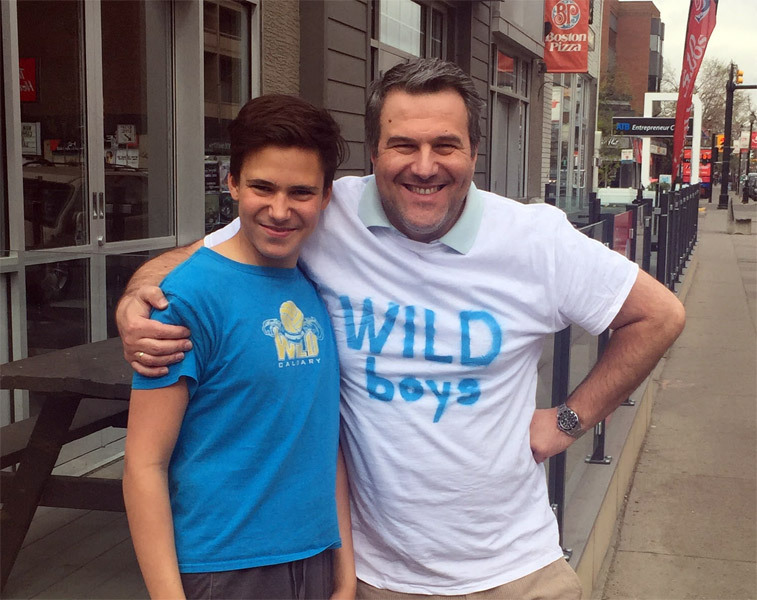 As well, we have Polomino and Dolpin boys playing with our Wild boys. 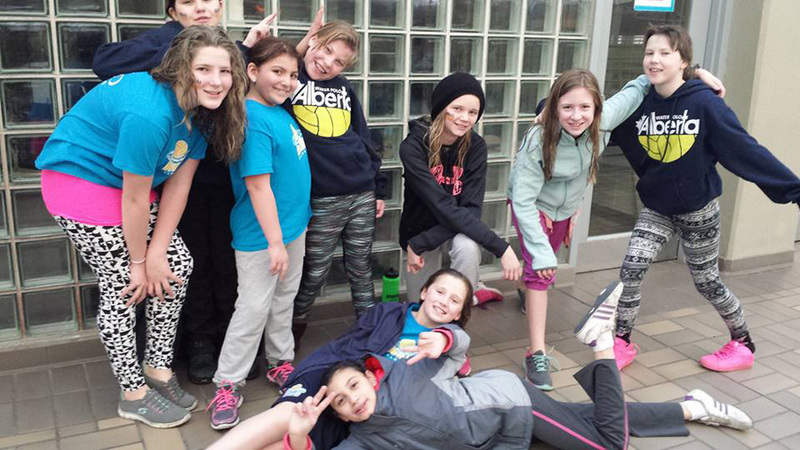 Our rosters are healthy and it's a great way to create a community in Alberta by working with other clubs. Great season opener for U12 Wild girls - two wins in a row! 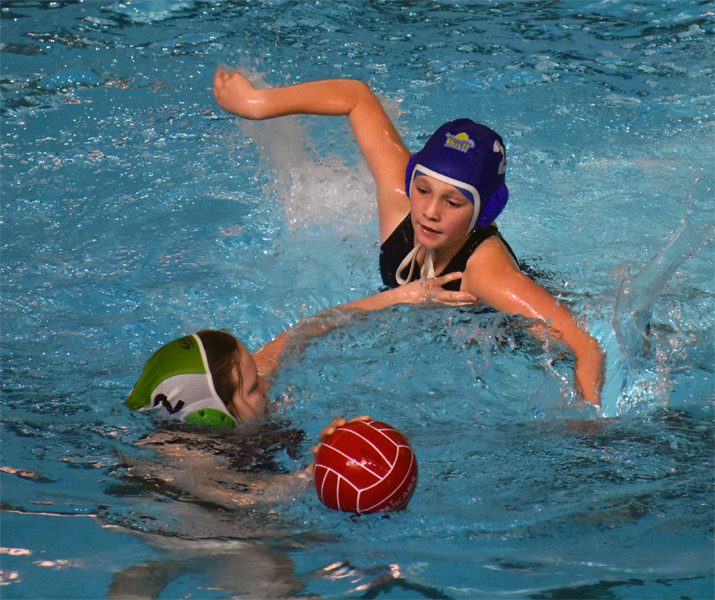 Check out the highlights of girls games vs Dolphins / Mako in newly added gallery. Click on the button below to access the galery. Hello Wild members - please attend our AGM on Sat, Oct 7th @4 pm, Riverside Room, Repsol Centre. It's important you are there to help us nominate our Board Members for the 2017-2018 season. If you are interested in serving on the board and/or volunteer positions, please let Laura Hartwell secretary@wildwaterpolo.com or Shelby Windsor competition@wildwaterpolo.com know. We will also be reviewing the financial results of our 2016-2017 season and will need your approval of the 2017-2018 proposed budget. 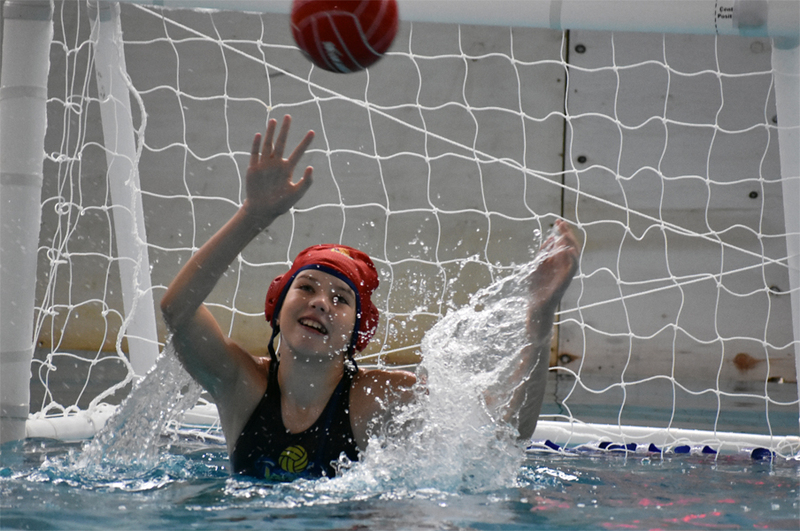 New gallery 'U16/U19 training' has been added to Media section! 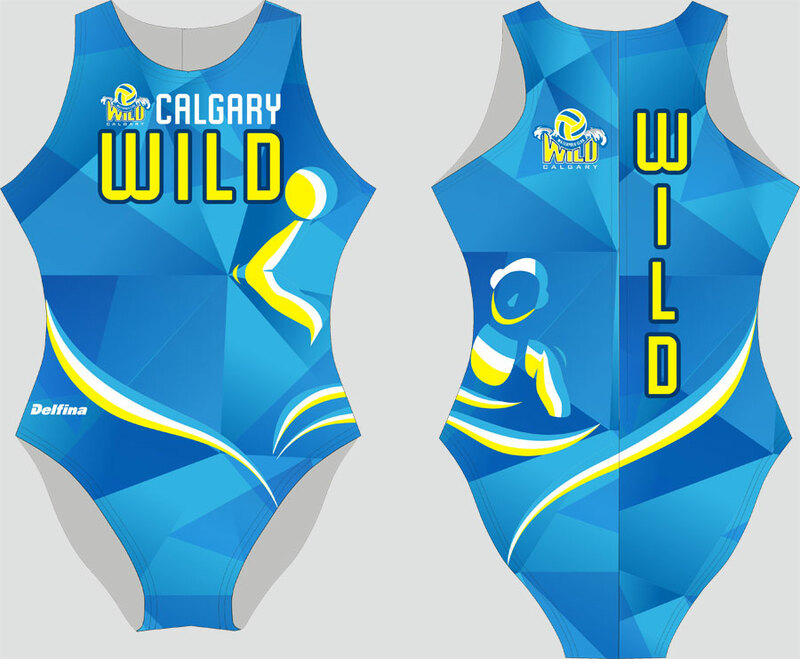 See U16/U19 athletes in action - Go Wild!. Athlete Swimming suit / T-Shirt sizes needed before Friday! 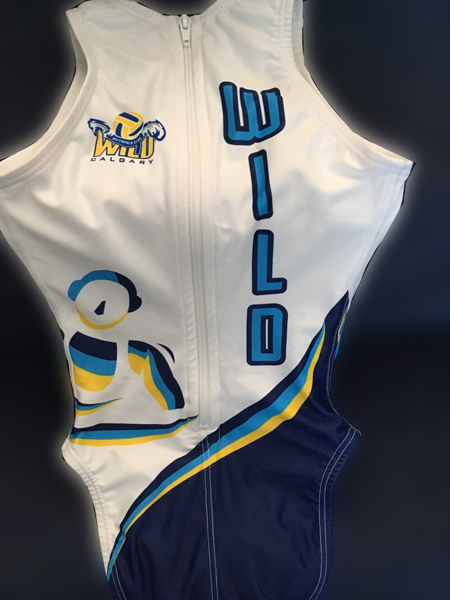 Hello Wild members - we kindly ask that you use the attached measurement guide (button below) to let us know your athlete's swim suit and t-shirt size. One shirt and one suit are included in your registration fees. If you wish to purchase an additional shirt or suit please indicate that in your email. Parents may also purchase shirts if they wish at the same cost. Show your support for our club and please make sure to provide your size when emailing including the note that it is for the parent(s). Any additional orders must be paid in advance so a cheque can be brought to the pool by the Friday (Sept 29th) practice. If you wish to e-transfer or pay on visa please note that in the email (payments are made to pay@wildwaterpolo.com). If you do not find Shelby to provide payment please make sure to put it in the Wild folder at the Repsol desk. We will not be placing orders for any additional merchandise that is not prepaid. Hi Wild members - please note there will be no practices on Saturday, Sep 23, 2017 - all teams are affected. Click on the button below to check the current schedule and calendars for all Wild squads. 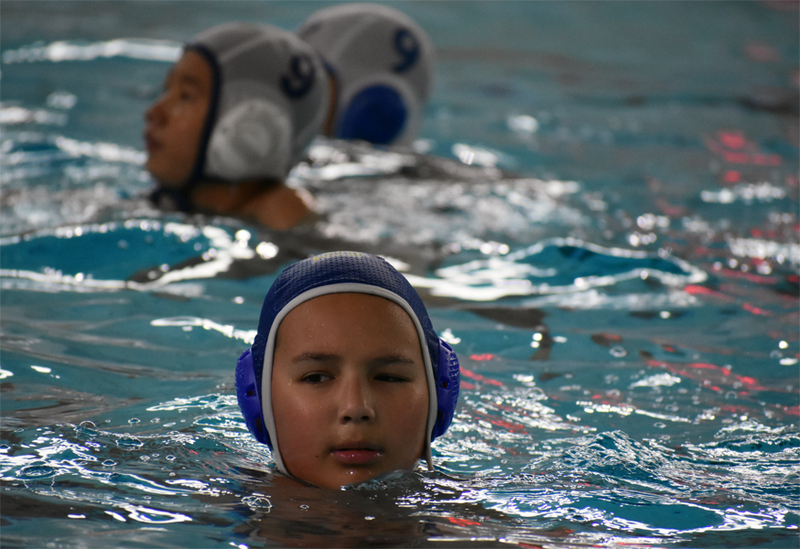 New gallery added - combined U10, U12, U14, U16 & U19 practice! Check out the latest photos from our combined and enhanced training. Click on the button below to see the galery. Parent meetings schedule has been posted on the InstaTeam! Tuesday, September 19, 2017 at 7:30 PM - 8:00 PM. We will cover coaches expectations and vision for the squads this season, NCL and tournament dates, as well as estimated costs attached to those. We will cover coaches expectations and vision for the squads this season, tournament dates, as well as estimated costs attached to Alberta Open and HaBa WaBa weekend. Thursday, September 21, 2017 at 6:30 PM - 7:00 PM in the Parkview Room, Repsol Centre. We will cover coaches expectations and vision for the squad this season, tournament dates, and NCL Western Finals, as well as estimated costs attached to those. 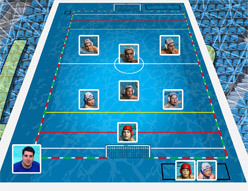 InstaTeam calendar has been integrated with the Wild Water Polo website! To view calendar for a particular team squad, navigate to the team of interest in the Teams menu, hover the team and when new menu pops down - select and click 'Calendar'. Friendy reminder to install the InstaTeam application (see post below) - to always be up to date with scheduling / instant messaging / reminders. Team rosters for 2017-2018 season are coming soon! Wild Water Polo Club will be using InstaTeam mobile app in 2017-2018 season (instead of TeamSnap) - InstaTeam app lets you access our team schedules, messages, photos and many more other features. Please install the InstaTeam app and start using it at your earliest convenience. It would be appreciated if you mark player's availability for practices / games a week or so in advance. Click the button below to familiarize yourself with InstaTeam app. 2017-2018 SEASON KICKS OFF TODAY! Only a few spots left - register your athlete now! 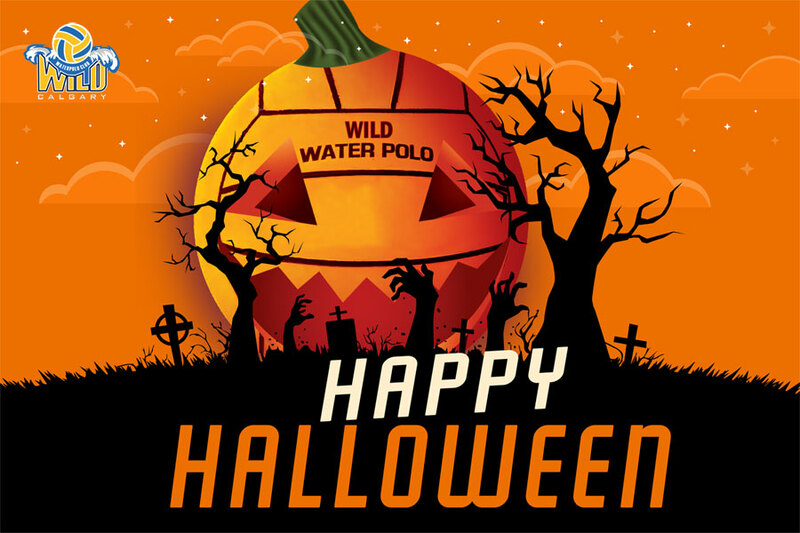 Wild Water Polo would like to wish the very best of luck to our fantastic athletes, and to their wonderful committed coaches, volunteers and supporters in new 2017-2018 season! Practice schedule has been posted at. A friendly reminder that we have the casino coming up August 7 and 8. Everyone is expected to work at least one shift or find a replacement. If anyone needs a replacement, please take a look at the replacement list on the bingo instructions. This is an important source of funds for the club so please do what you can. 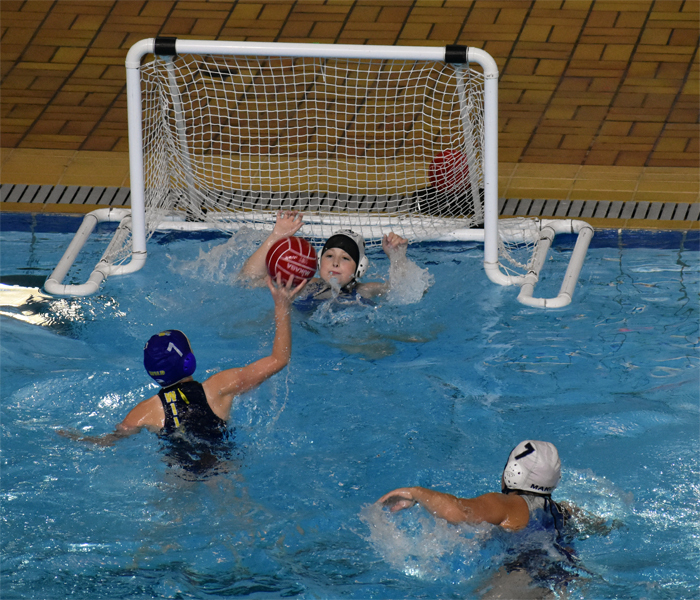 All Wild Water Polo members (athletes / parents) should receive email from 'mailing list manager' to confirm subscription to the Wild Water Polo mailing list. 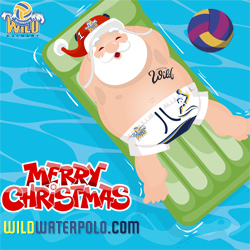 Mailing list will be used for informing all members about current activities within Wild Water Polo Club. If you have not received this email please contact us from email address you would like to add to the mailing list. 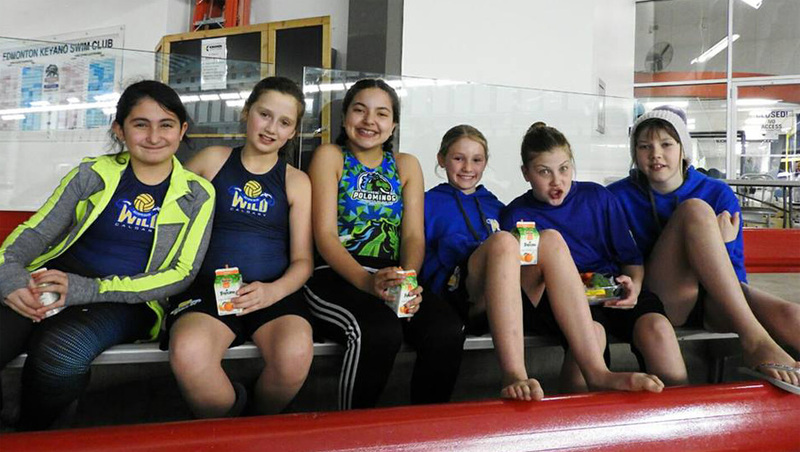 We will be holding a season wrap up Parent Meeting on Tuesday, June 20 from 7:00-8:00pm in the Riverview room at Repsol Centre. 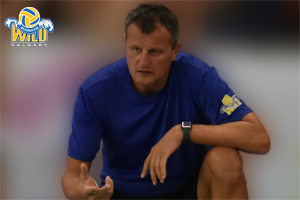 Along with the Board, our Athletic Director, Dragan Jovanović and our coaching staff will be in attendance. and let us know whether you will be attending and how many people will be attending from your family. Click button below for agenda and registration information. 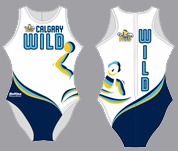 Calgary Wild Water Polo Club is organizing summer swim program from Aug 8 - 31, 2017. 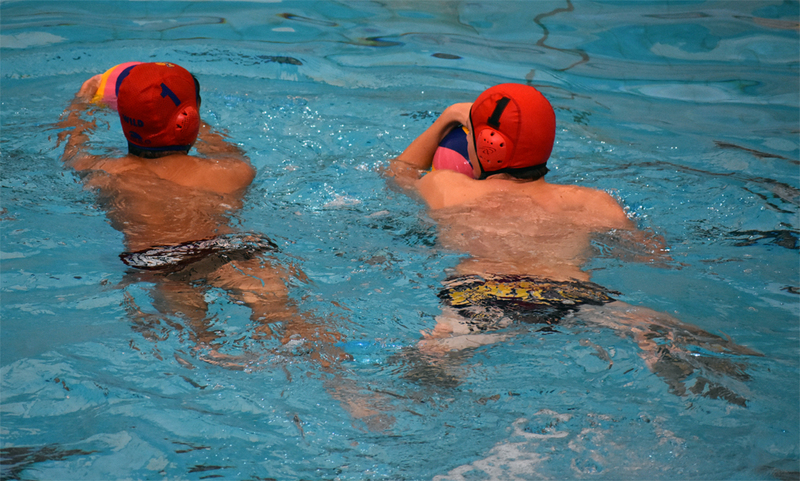 Swimming is always strongly recommended during summer for water polo athletes. 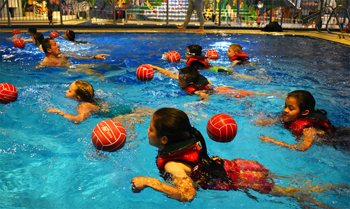 To keep them in great condition and improve their overall swim skills. 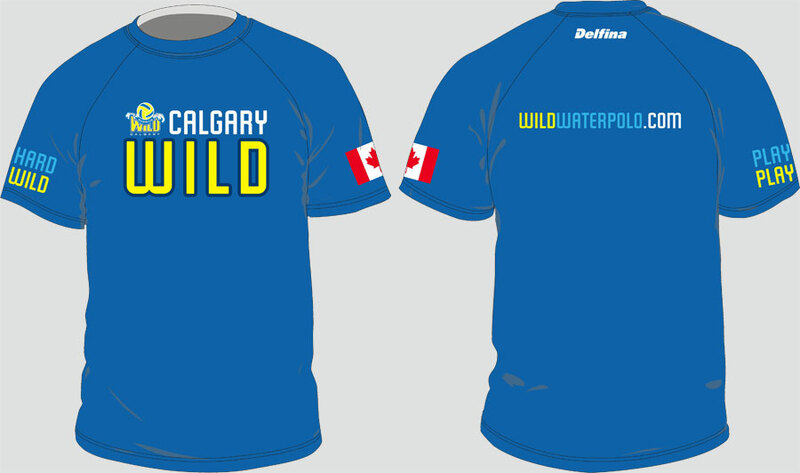 Hi Calgary Wild Water Polo Club Members! Final request and reminder about this week's Fri May 26 Wine Raffle Draw. IF you haven't yet participating, it's not too late and we strongly encourage all members who have not yet participated in fundraising efforts this year to do so now to meet your season's commitments! 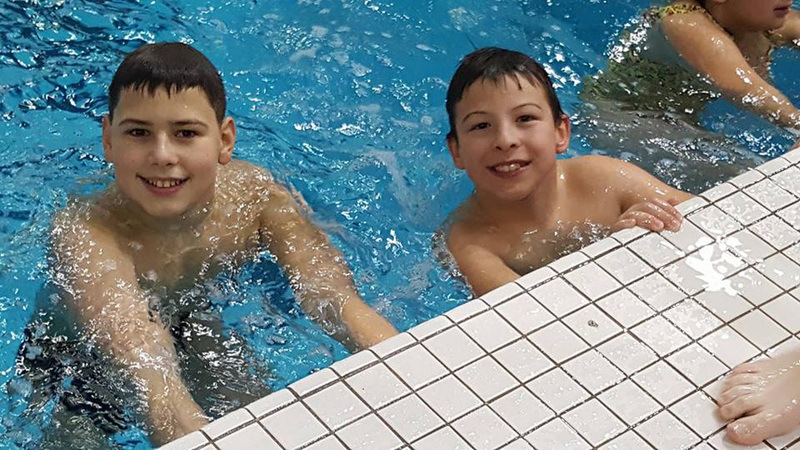 Laura Hartwell (cell 403-589-5454) or Jelka Knežević (cell 403-992-2608) will be at the Repsol pool practices this Wednesday and Thursday to collected your donations and sell you your tickets! Click button below to read more. Please make sure to RSVP to your email invite (evite) by this coming Monday, May 22nd. Lunch is free for athletes and coaches — $14.25 for everyone else. Click button below for Chianti's location. 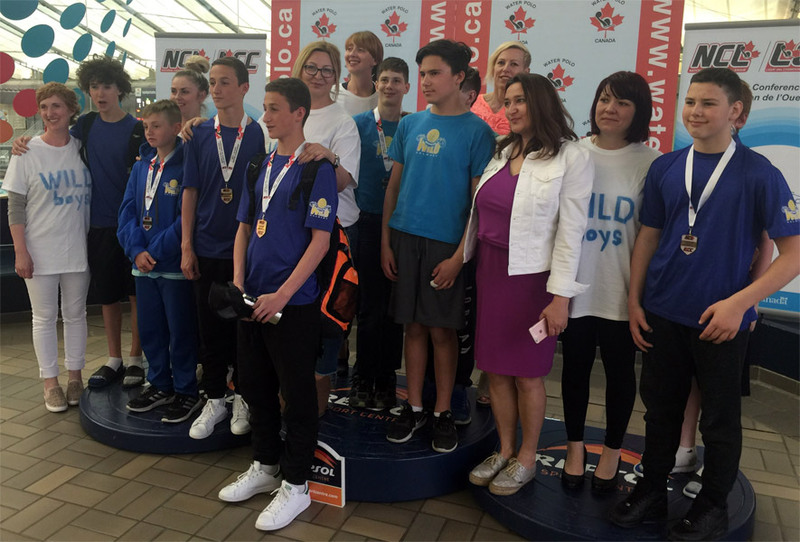 Calgary Wild Water Polo U14 boys team is new Western Canada Champion!!! Another dramatic match! Wild managed to score in the last seconds to defeat Fraser Valley 7:6 ! 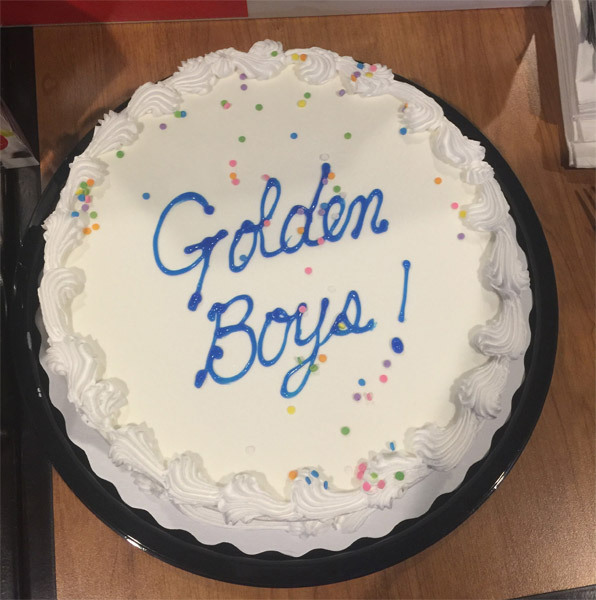 Congratulations to all of our golden boys and lets make it to the final next year and claim Canada championship! Finally, we wish to express our gratitude to our coaches who led the game at the highest profesional level - one and only Benji Brunner and legendary Gyula Toth. Wild progresses to the finals of Western National Championship League! Wild comes back from 3 goals down to beat Surrey Orcas in dramatic match - Final score 10:6 for Wild. 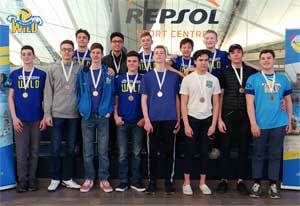 Our boys will play Fraser Valley in the finals tomorrow, May 14, in Repsol Centre at 2 pm. GO WILD GO! Goalkeeper Thomas Dunlop scored incredible goal, Nikola Blanuša and Marko Jeftić scored 3 goals each. Don't miss to watch this game - link to the video is provided below. Wild goes to semi-finals after defeating Manitoba! Third win in a row for U14 boys. Wild - Manitoba 12:3. Wild plays Surrey Orcas in semi-finals. 4 goals by Luka Jeftić who also played excellent defense and stole 9 balls. 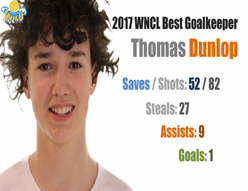 Astonishing 11 saves by Thomas Dunlop! 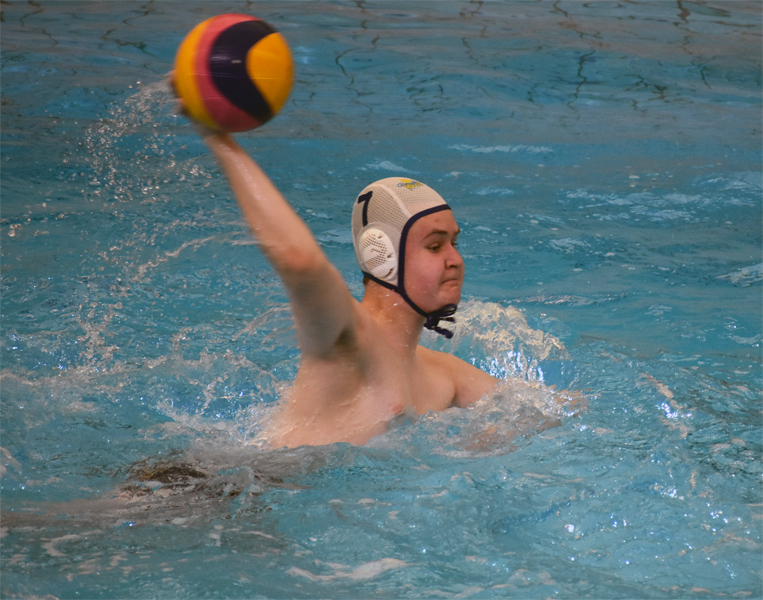 Compliments to feisty Nicholas Clarke who scored 2 goals - see the full game by clicking the link below. If you want to see the sunshine you have to weather the Storm! The toughest game of the season for Wild but our boys showed great team spirit and defeated Storm 13:12. 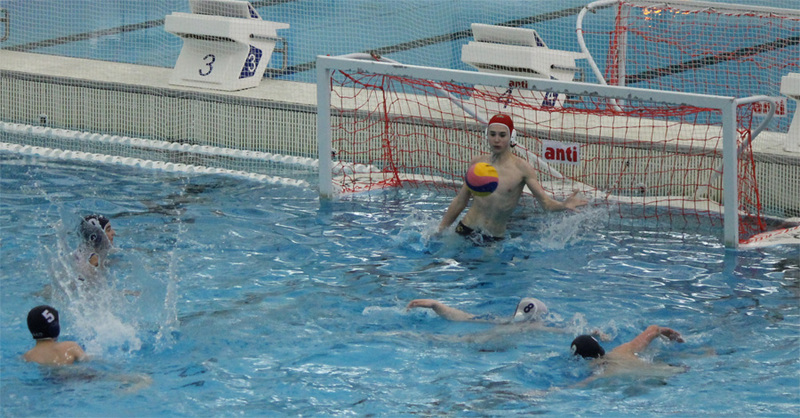 Great defense was the key to success - Thomas Dunlop saved 13 shots while Luka Jeftić stole 7 balls. Marko Ninković put 5 goals into the Storm's net. Thumbs up to courageus Troy Lester-Olivier who scored late in the fourth quarter to give Wild 12:11 lead - to feel the excitment check the video below. Wild defeated Tsunami 19:4 in opening game - top scorers were Marko Ninković with 7 and Marko Jeftić with 6 goals. Big kudos to Nikola Blanuša who managed to score 4 goals in 2 minutes while not fully recovered from illness. Click below to see the game/stats. Countdown to U14 Western National Finals is on! Please cheer out loud for our boys in opening game against Edmonton Tsunami on May 12 at 1:15 pm, at Repsol Center, Calgary. 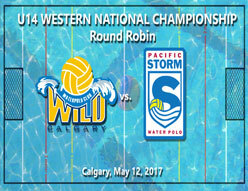 Second game starts at 6:15 pm when Wild will be playing versus Pacific Storm. Good luck boys! GO WILD! 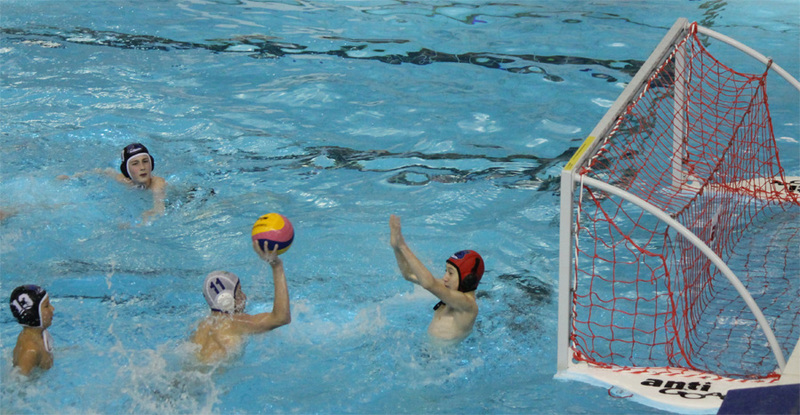 On behalf of Wild Water Polo Club, congratulations to Tom Fitzpatrick and Luka Govedarica who have been selected on the player long-list for 2017 Water Polo Canada National 17U Men's Team. Two new videos from Winter League Games have been added to the Media Library. 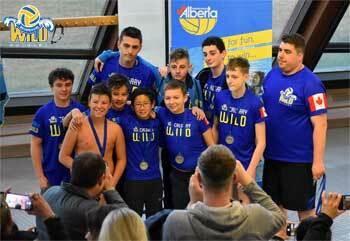 Alberta Water Polo Association has issued an apology to Wild Water Polo Club due to series of events that took place after the game vs. Destroyers was completed (and won by Wild) that led to last 7 seconds of games being replayed which changed the outcome of this game and prevented U12 boys team to play in semifinals at Provincial tournament held in Edmonton on Apr 08, 2017. NCL 16U Western Nationals start today in Calgary! Click below for Live Stream / Schedule and Results. U14 NCL schedule has just been released - please click on the link above for the complete schedule of games. All families are expected to volunteer for this weekend. At this point there is no google document for it, but please consider volunteering for 3-4 games around the Wild games. Some of the schedule will be determined by wins and loses, so please make sure to keep yourselves available throughout the weekend. HaBaWaBa is an acronym that stands for Happy Baby Water Ball, words that want to represent the joy of a child when playing the a ball in the water. Athletes between the ages of 6 and 13 interested in this Festival can register at the link below. 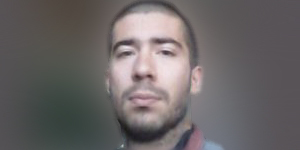 Vestibulum vel pede at sapien sodales mat tis. Quisque pretium, lacus nec iaculis vehi cula, arcu libero consectetuer massa, auctor aliquet mauris ligula id ipsum. Vestibulum pede. Maecenas sit amet augue. Sed blandit lectus eget lectus pharetra ipsum condimentum elit. Mauris justo. Curabitur nibh lectus, dapibus id, tempor eu, tempor non, erat. Proin pede eros, pharetra ut, viverra sed, egestas nec, mauris. In pharetra ipsum condimentum elit. Suspendisse mattis turpis eget odio. Class aptent taciti sociosqu ad litora torquent per conubia nostra, per inceptos hymenaeos. Pellentesque tempus dictum urna. Sed consequat massa eget metus. Quisque mollis pretium nisl. Mauris venenatis porttitor risus. Phasellus accumsan turpis. Nam sagittis nulla quis orci. Vestibulum ante ipsum primis in faucibus orci luctus et ultrices posuere cubilia Curae; Donec vitae elit.